Congratulations to Amanda and Tyler on their recent marriage! 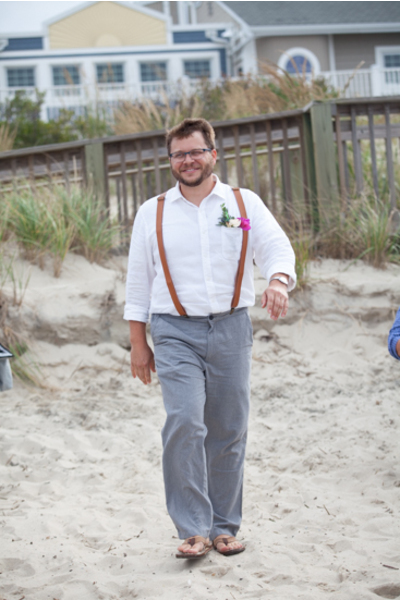 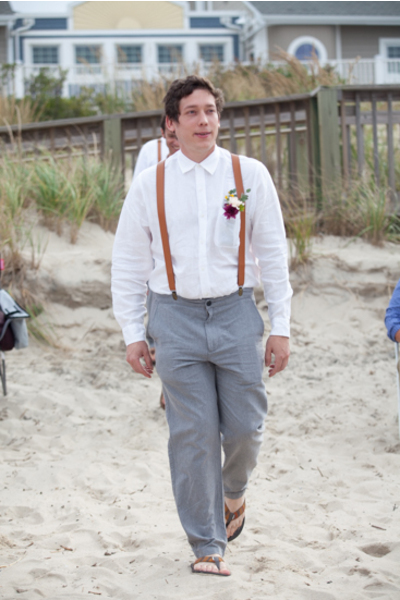 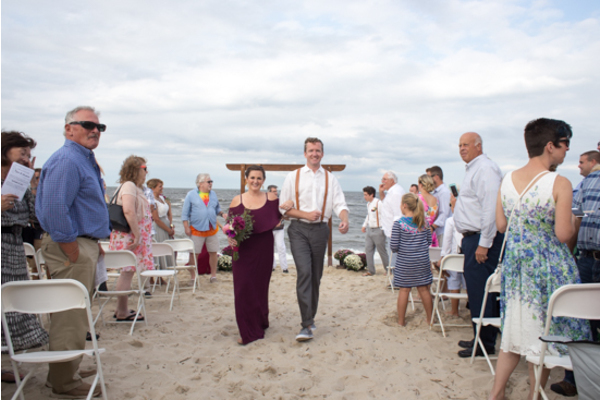 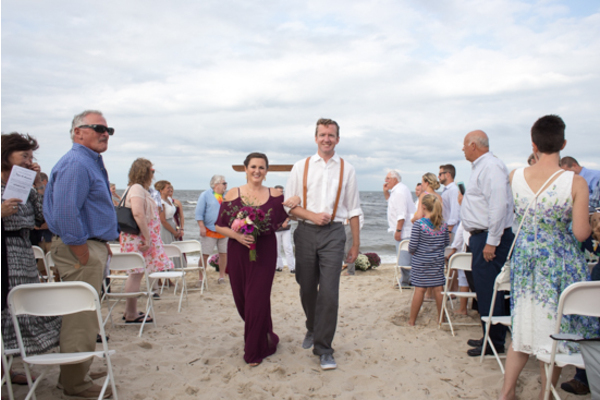 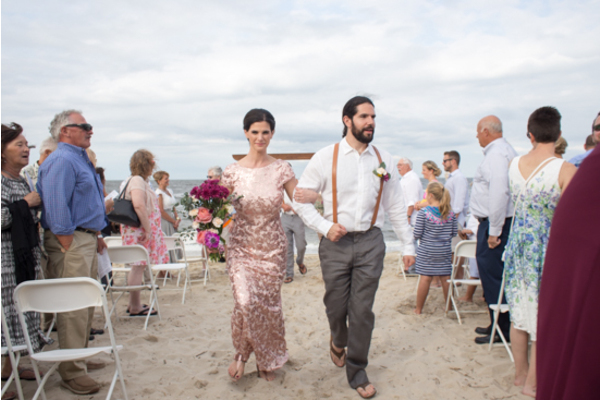 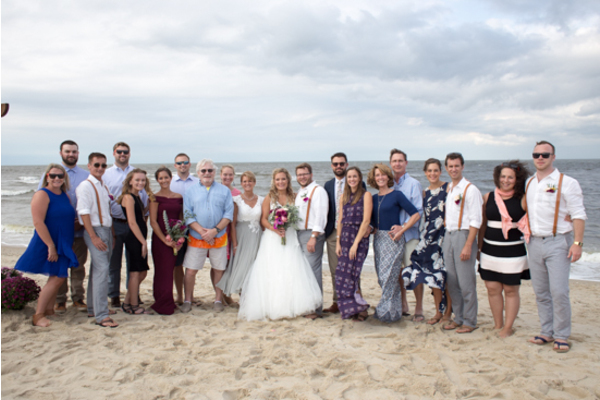 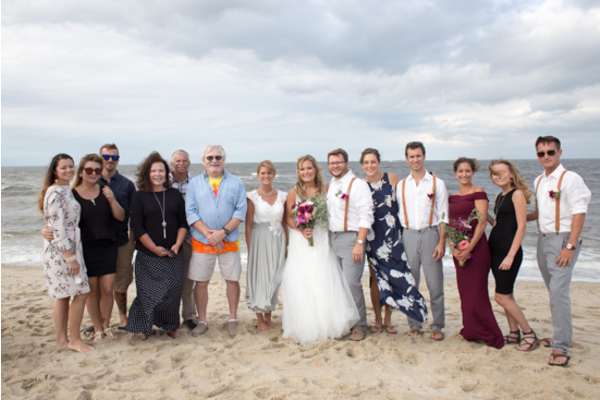 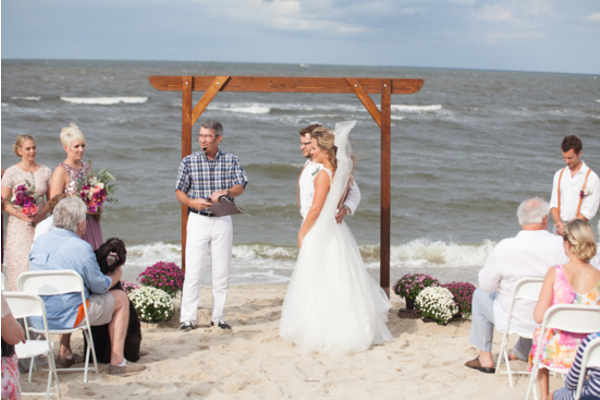 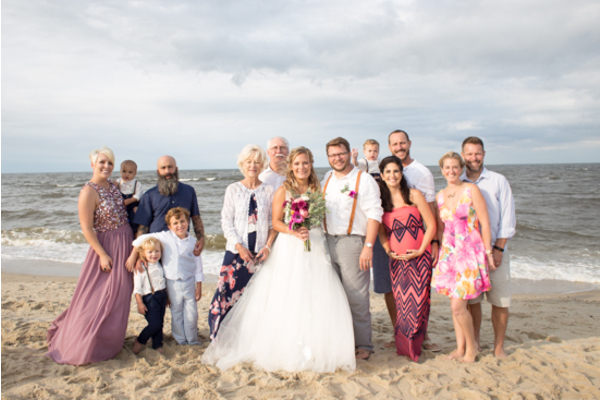 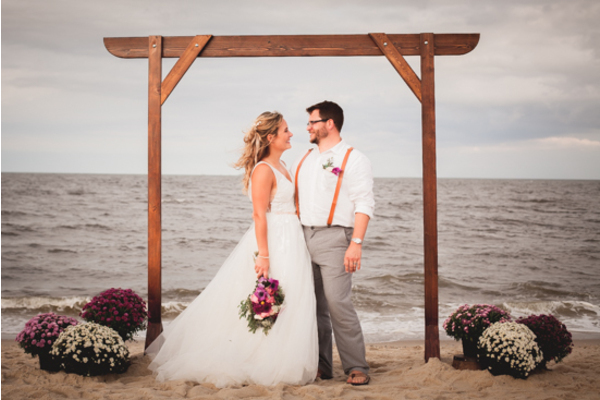 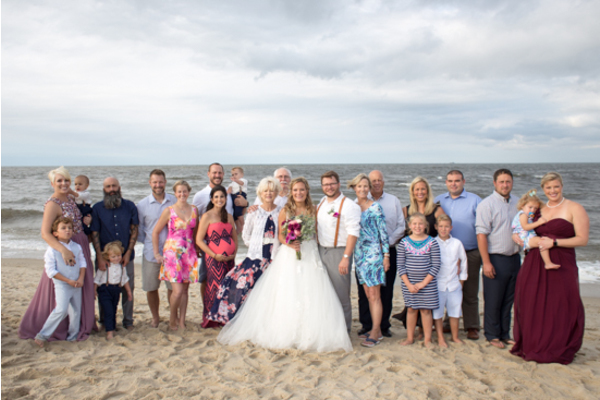 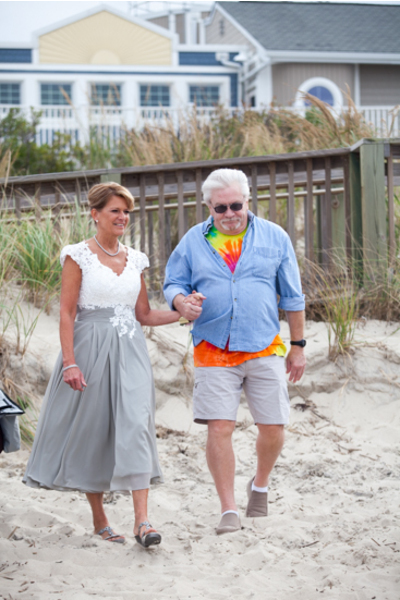 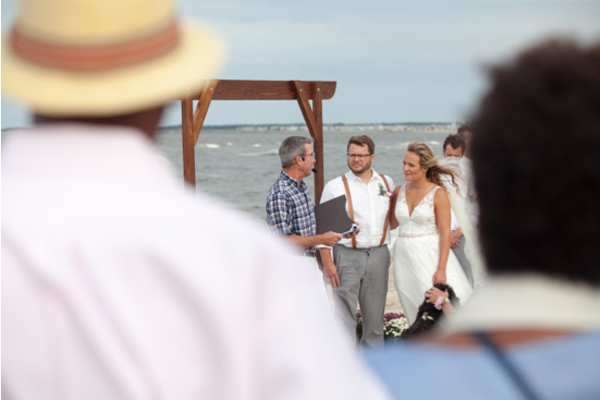 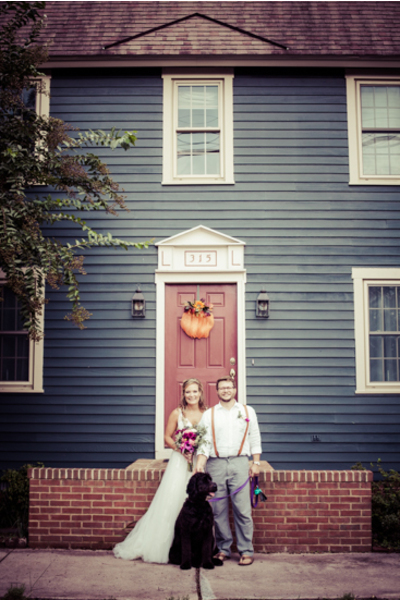 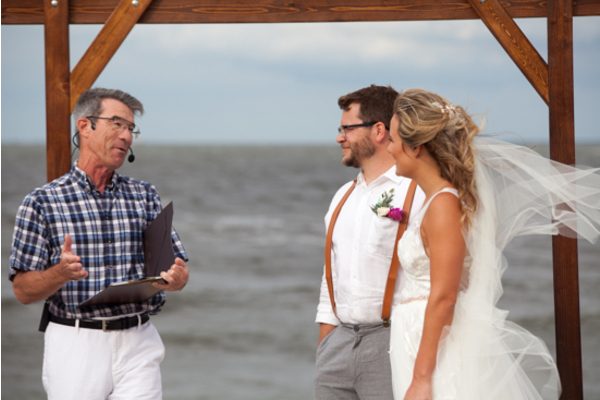 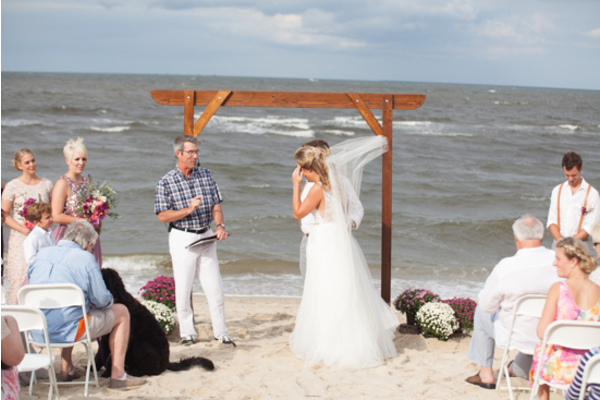 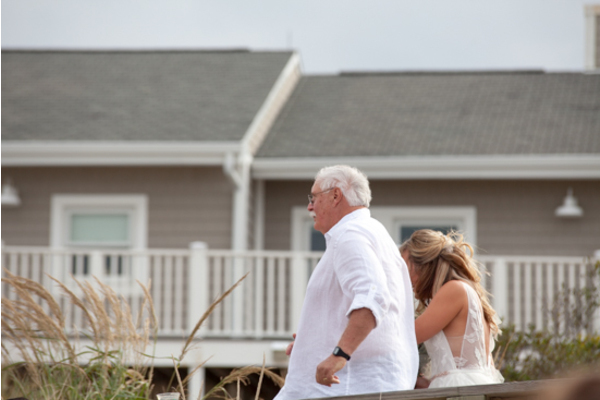 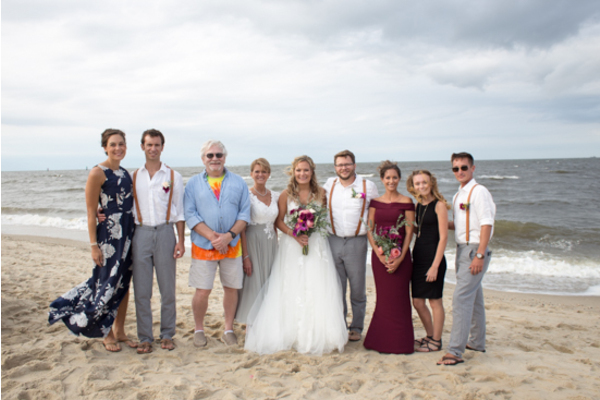 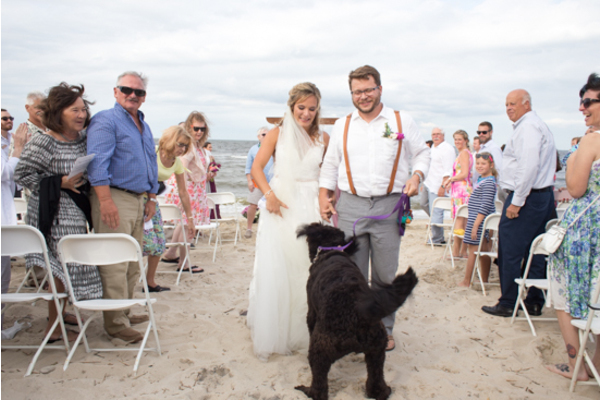 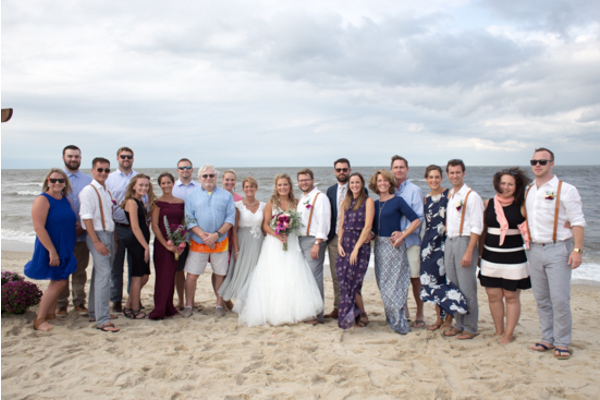 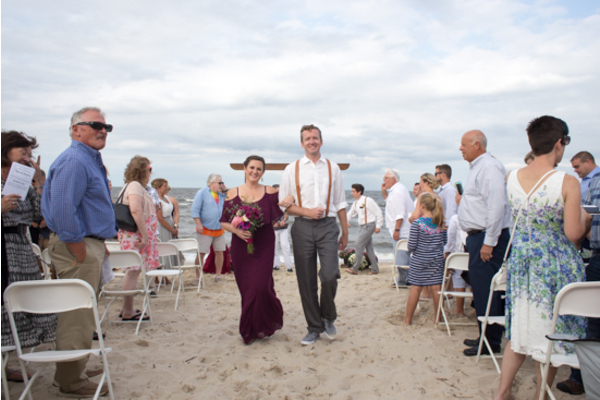 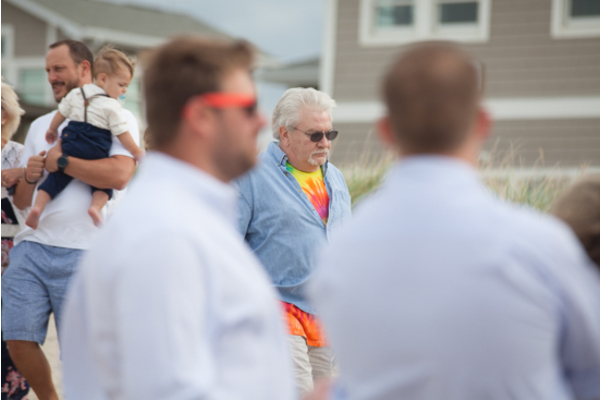 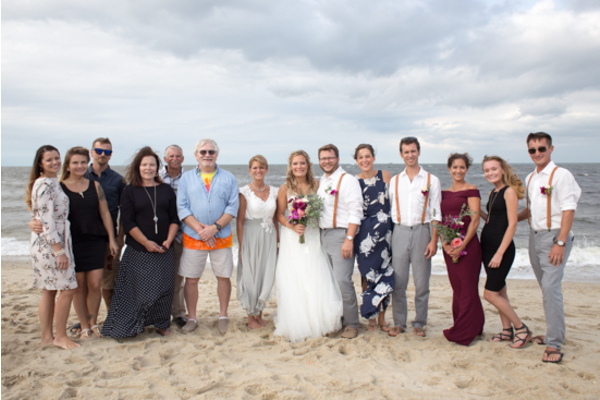 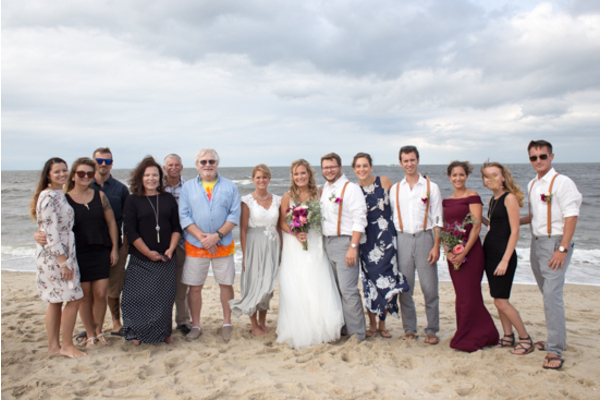 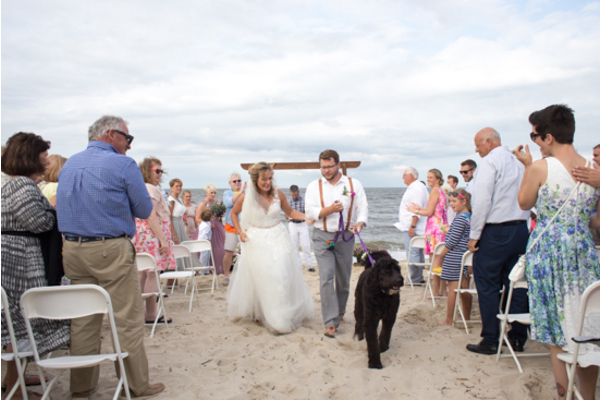 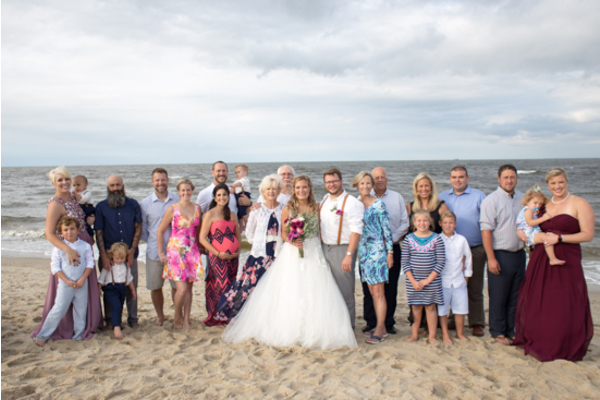 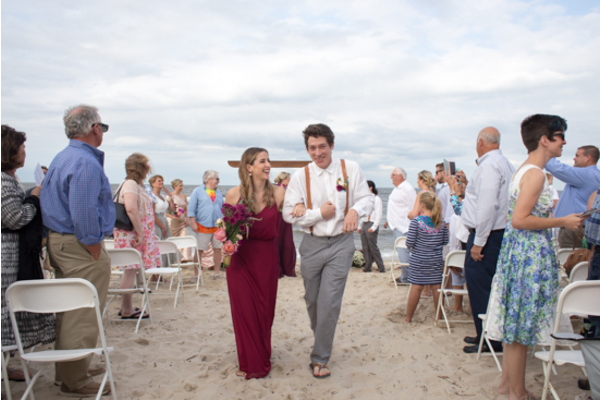 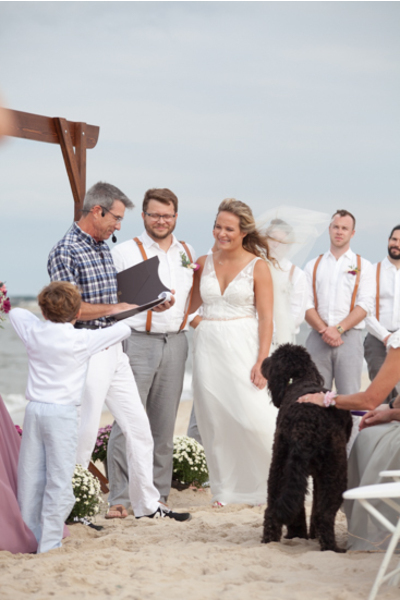 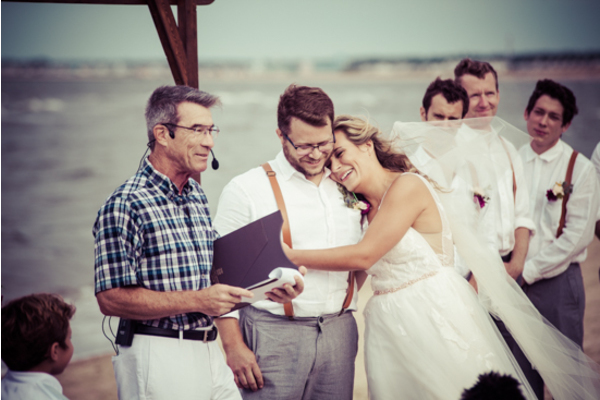 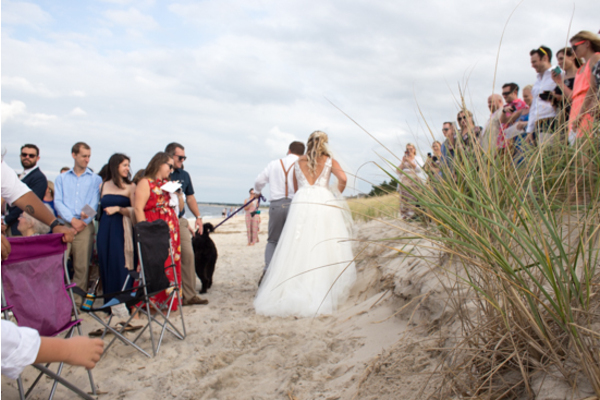 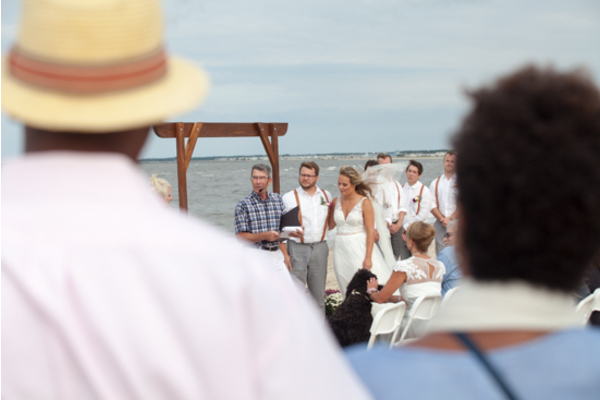 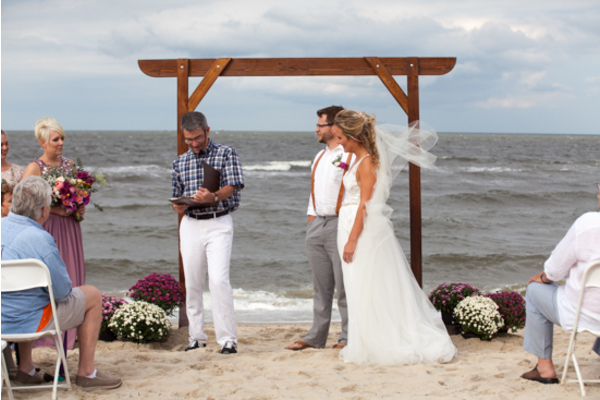 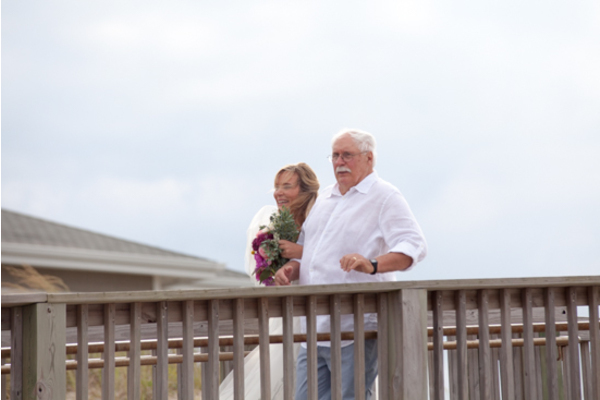 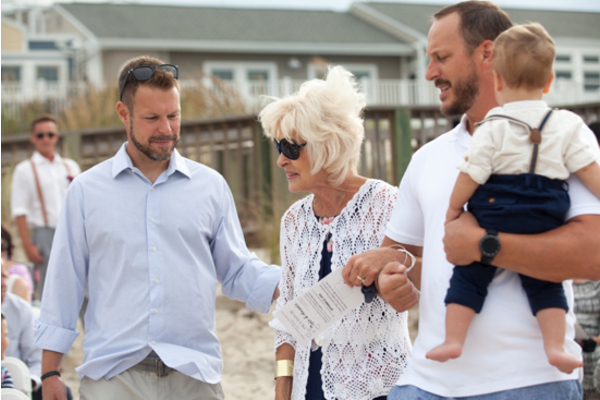 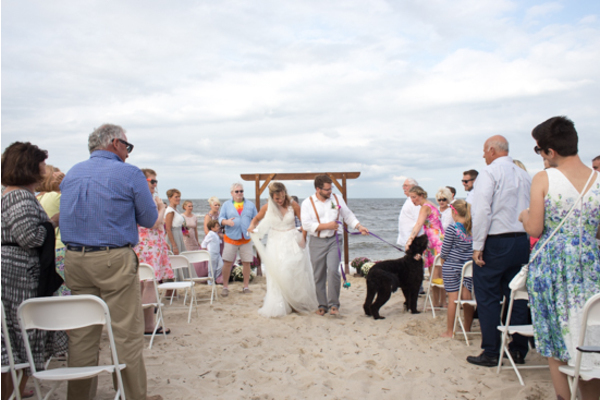 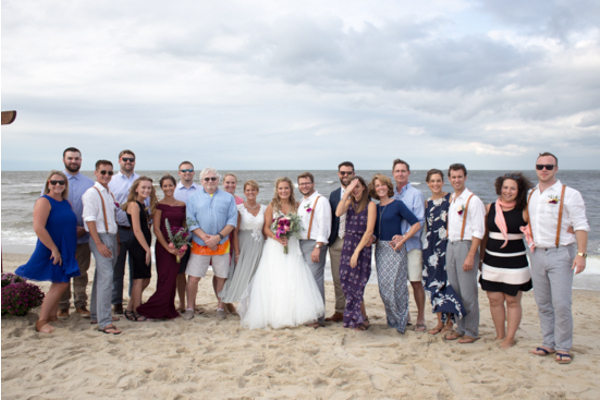 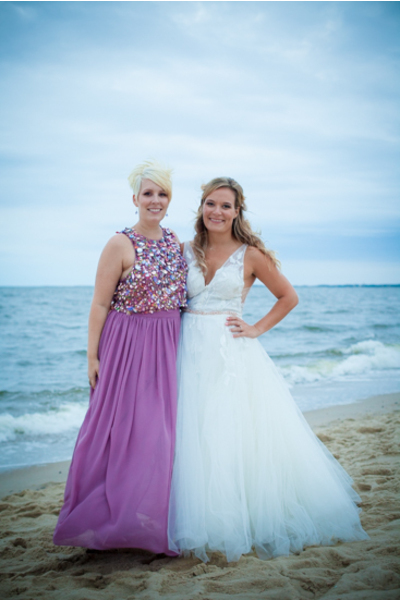 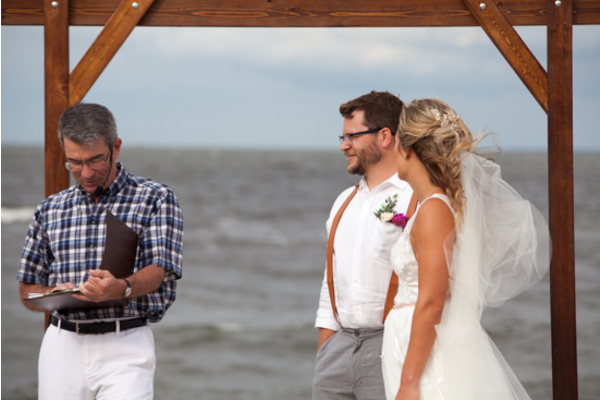 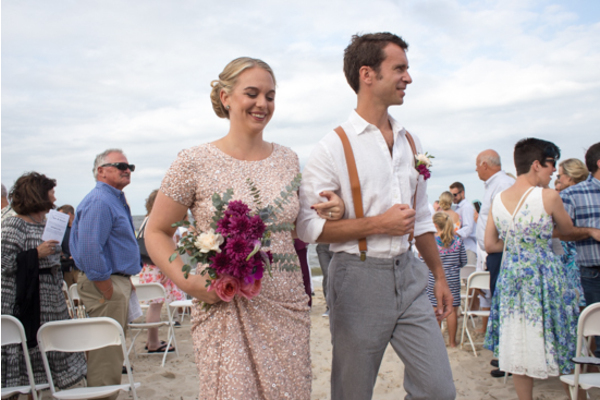 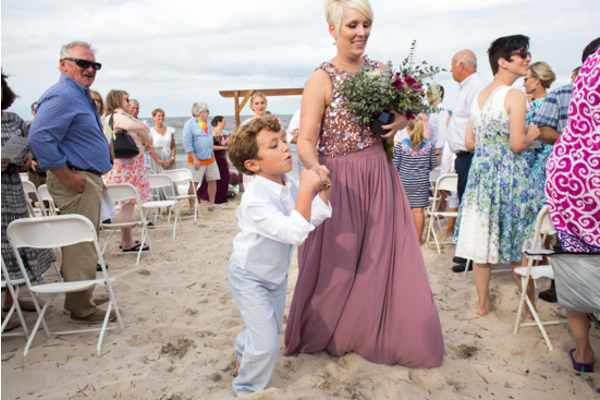 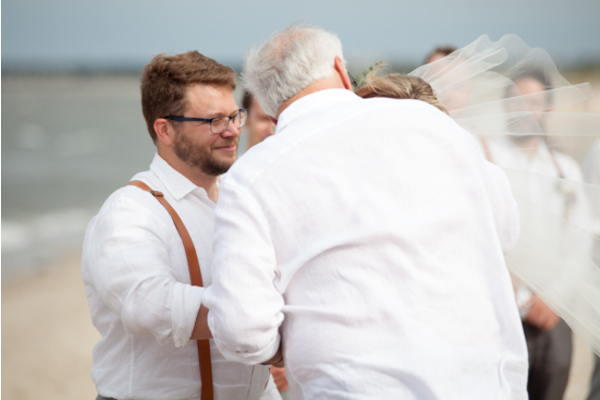 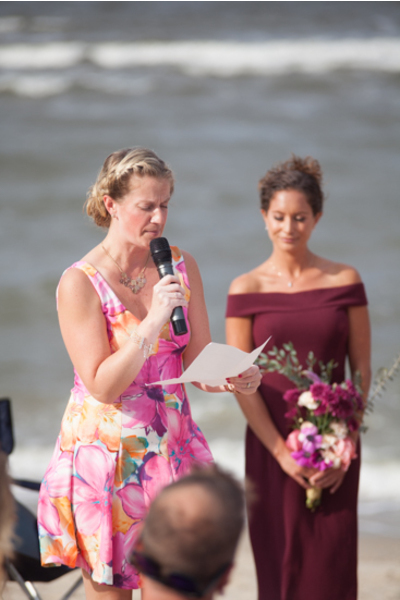 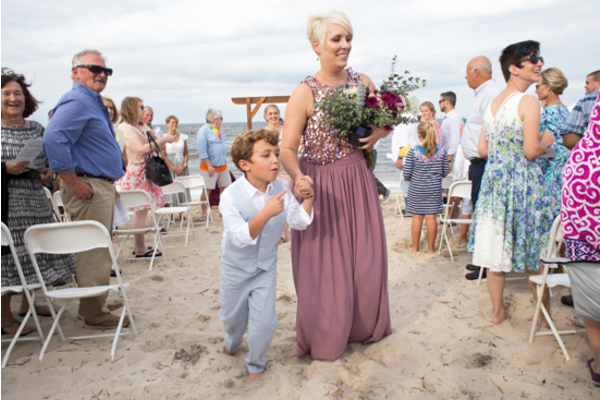 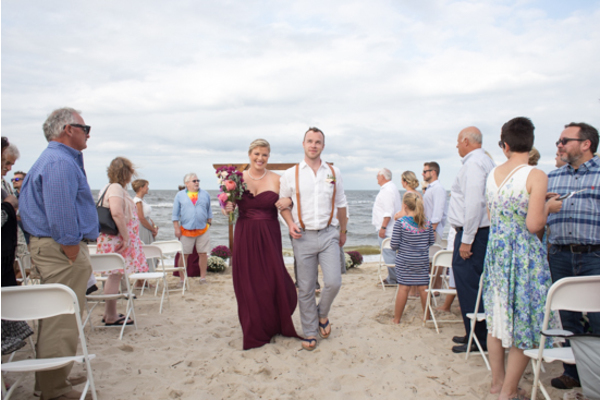 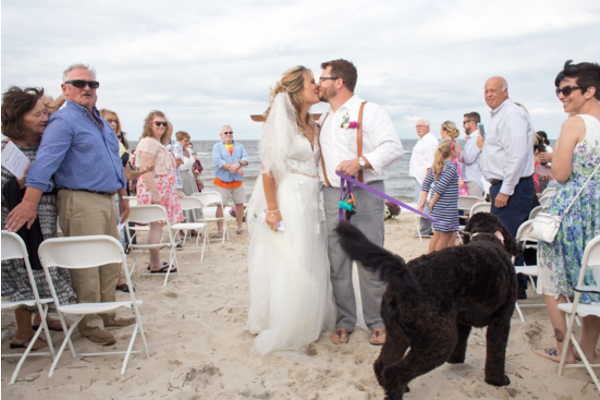 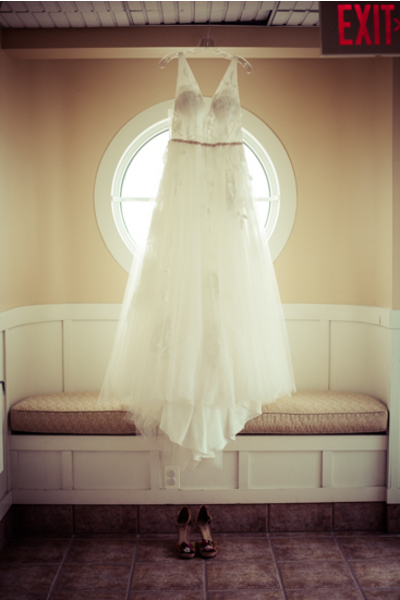 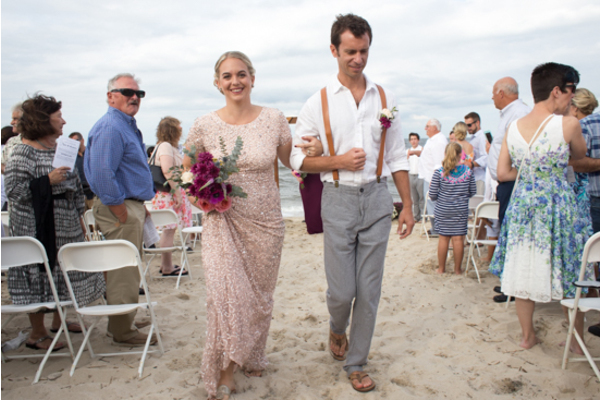 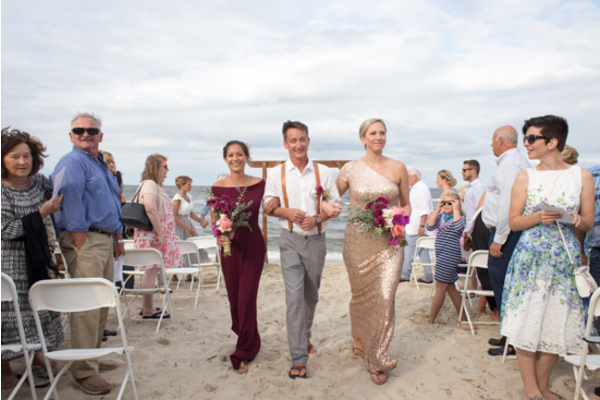 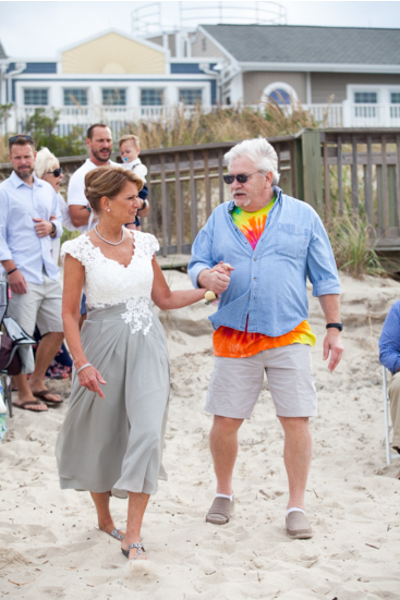 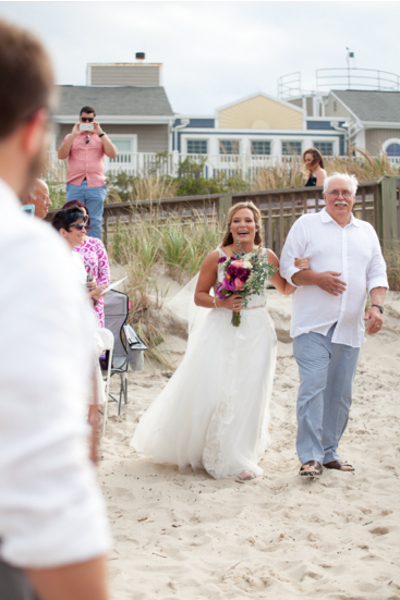 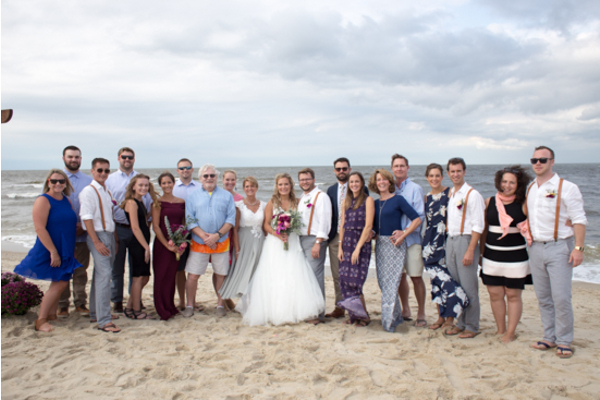 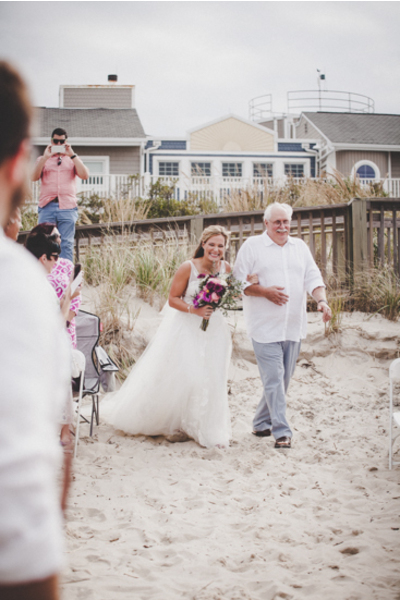 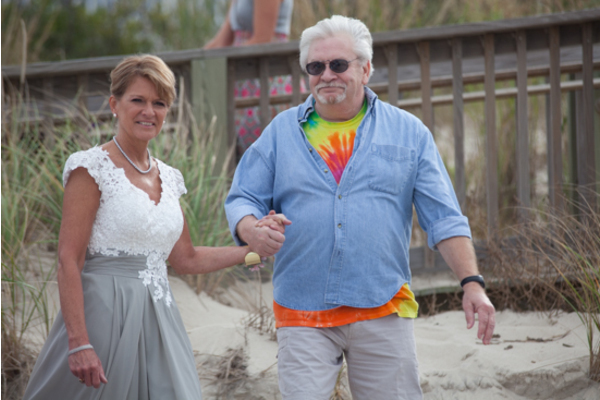 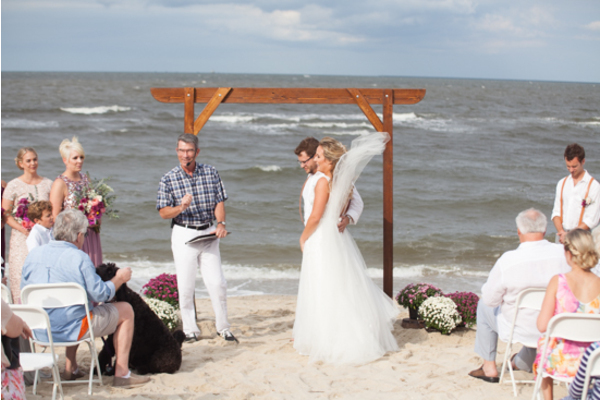 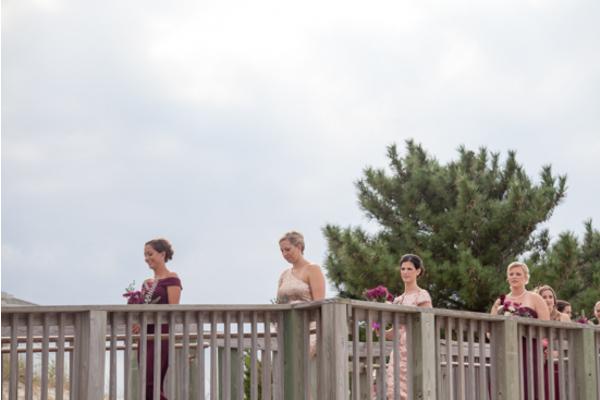 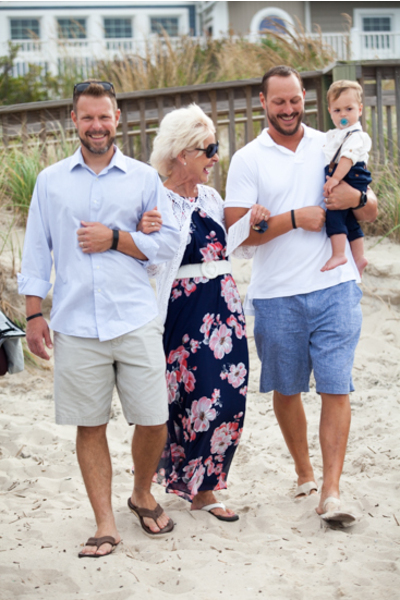 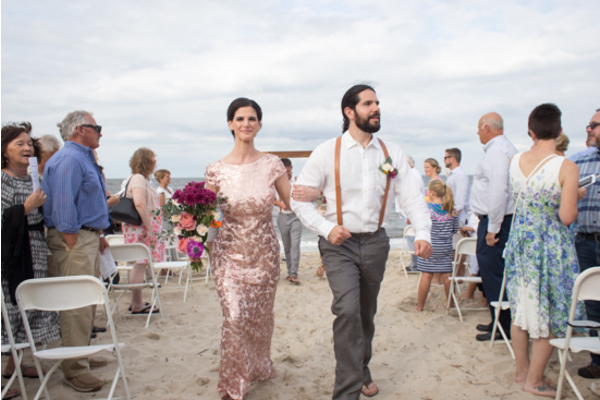 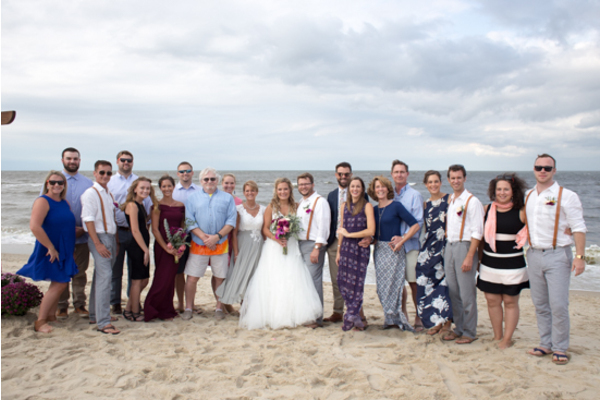 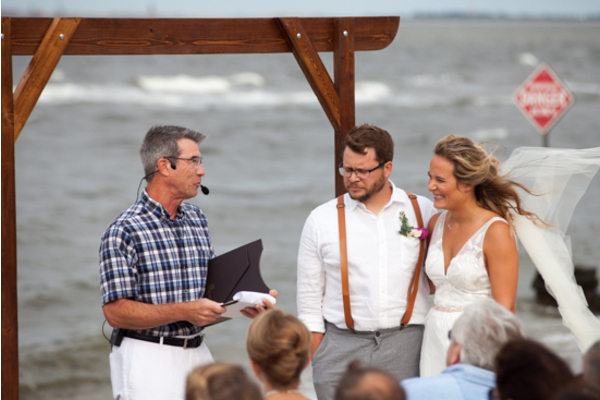 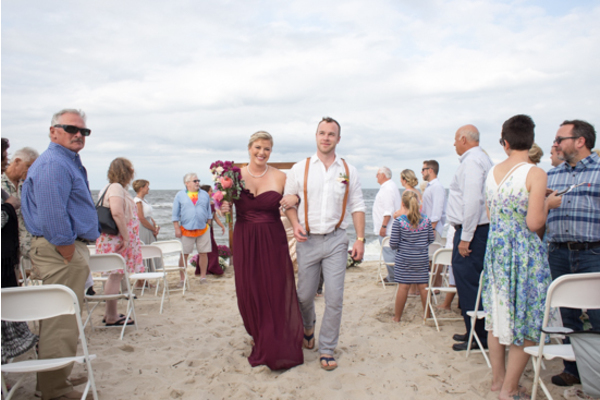 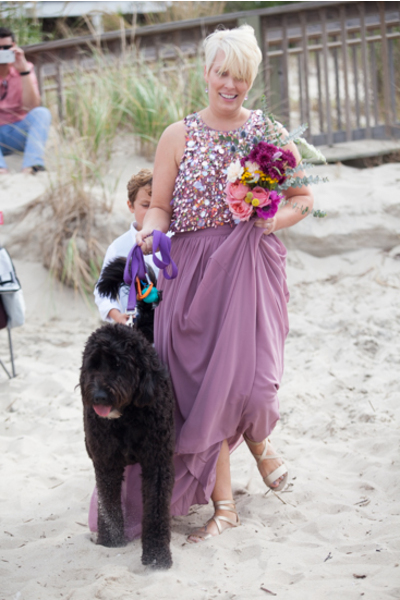 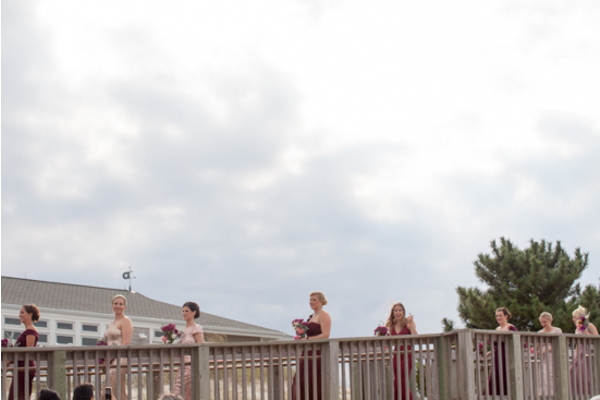 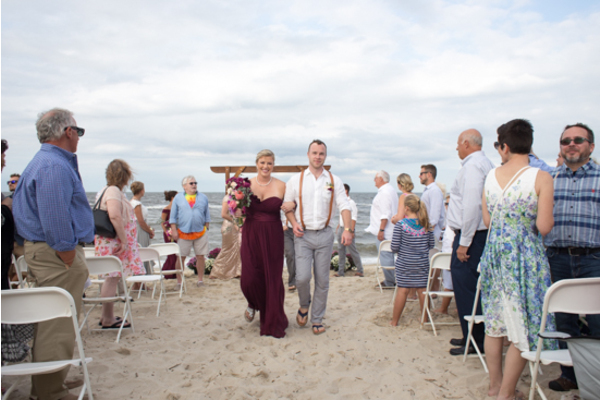 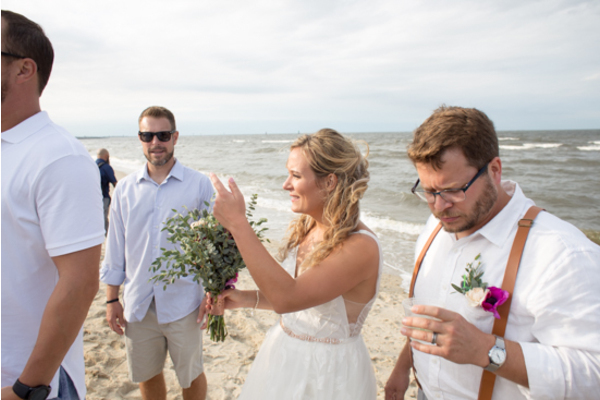 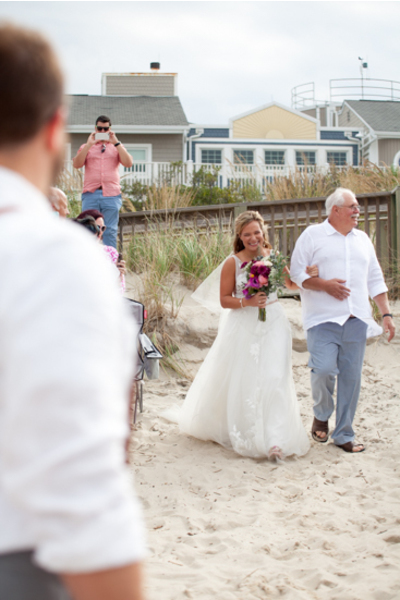 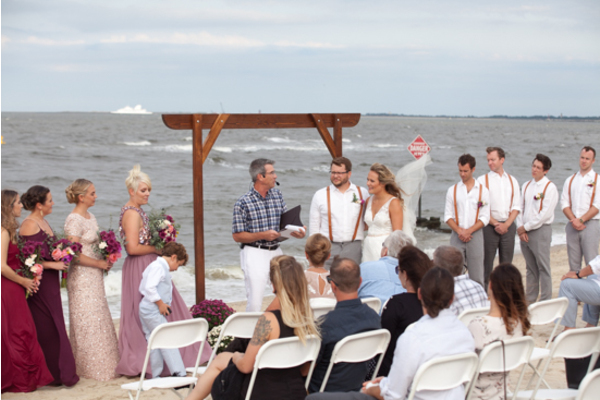 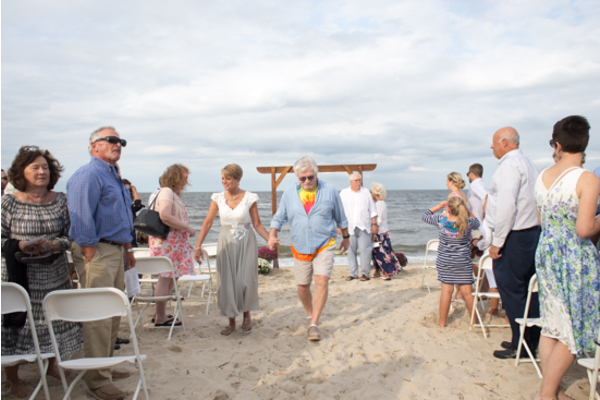 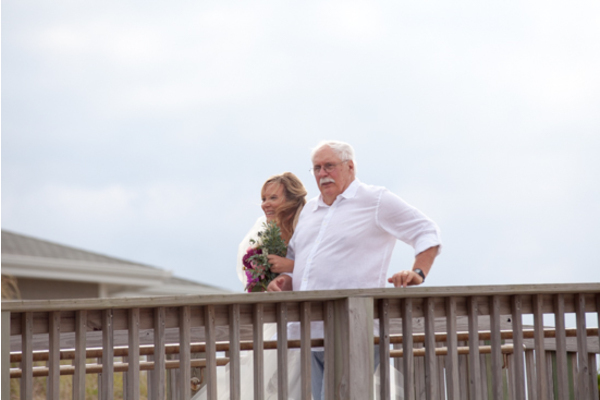 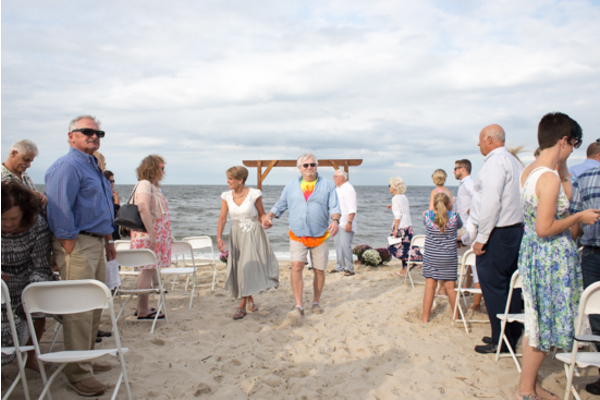 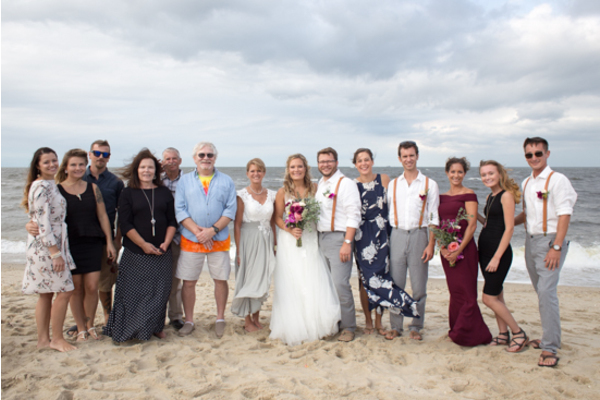 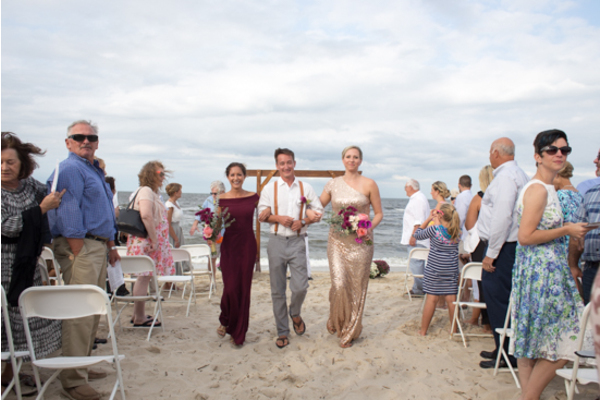 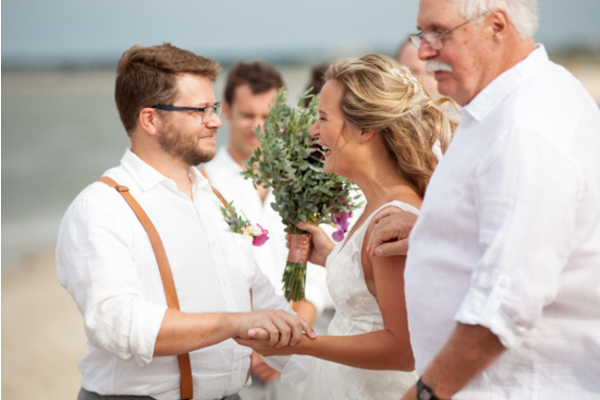 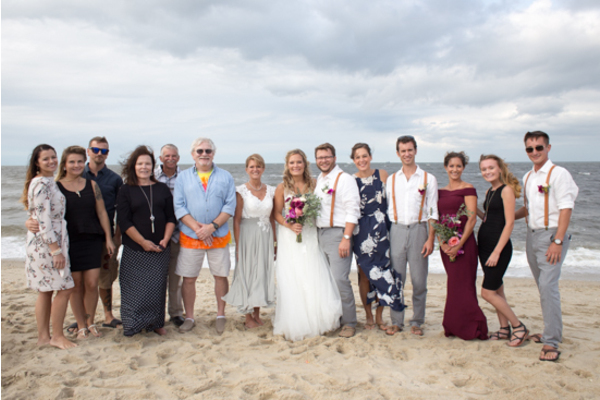 This lovely couple tied the knot on a beautiful September afternoon at the Children’s Beach House in Lewes, DE. 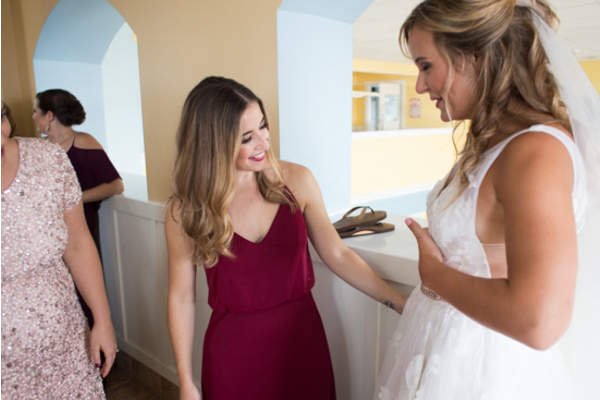 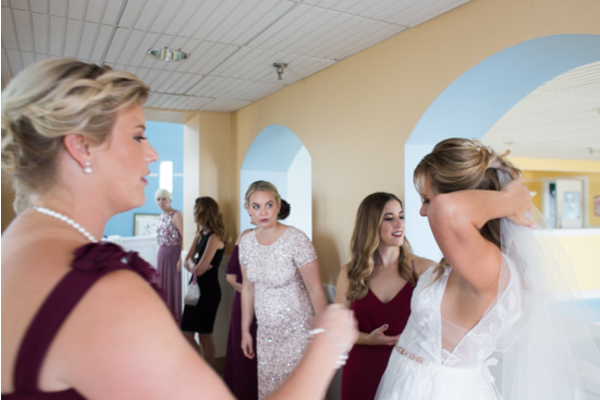 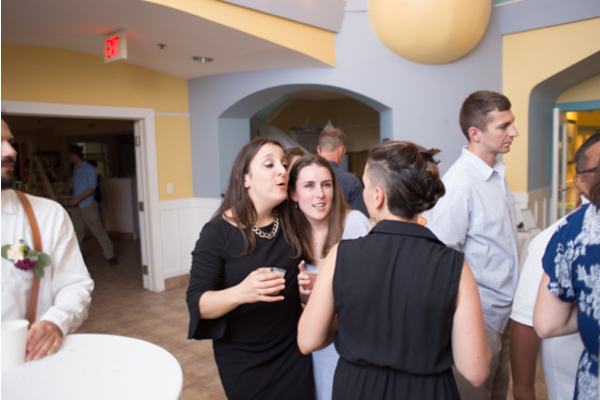 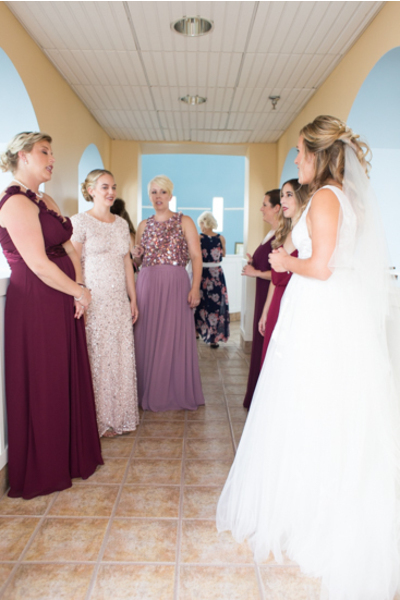 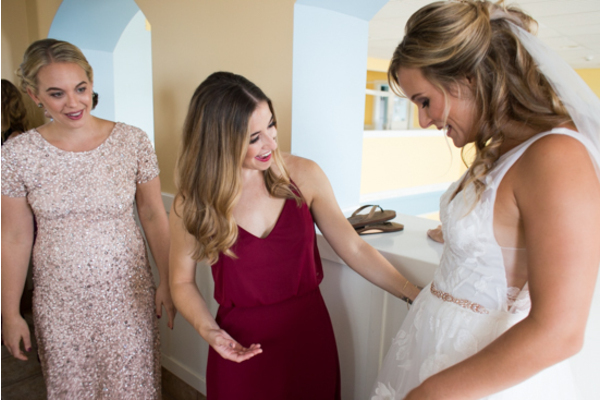 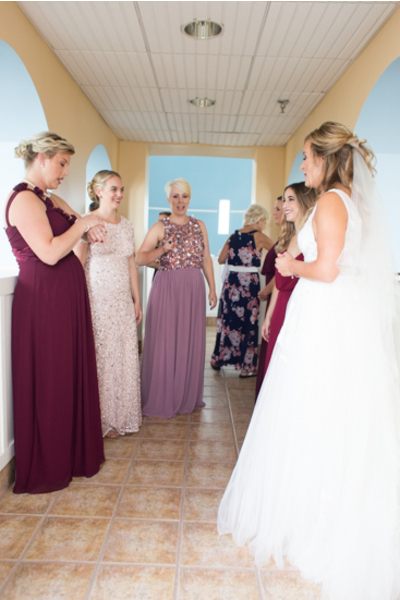 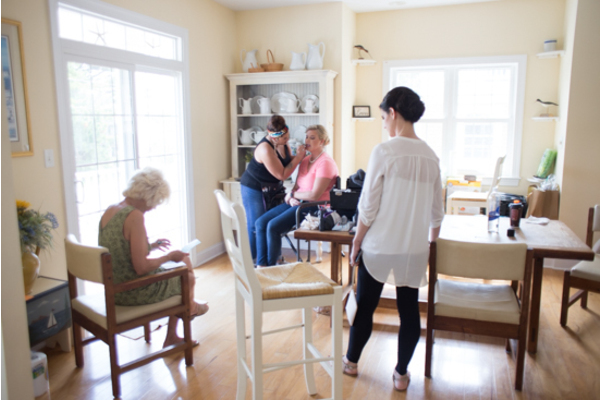 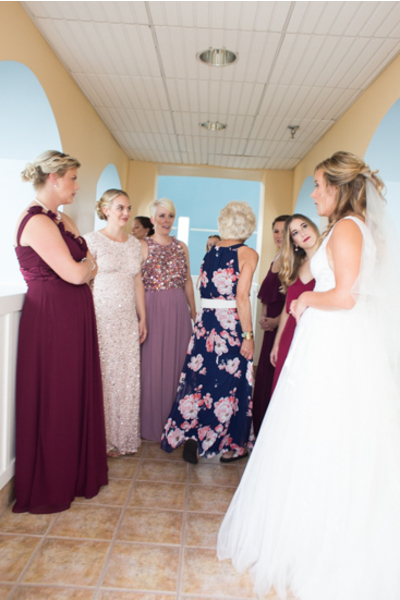 Before making her way down the aisle, Amanda received some help getting ready from her mother and beautiful bridesmaids. 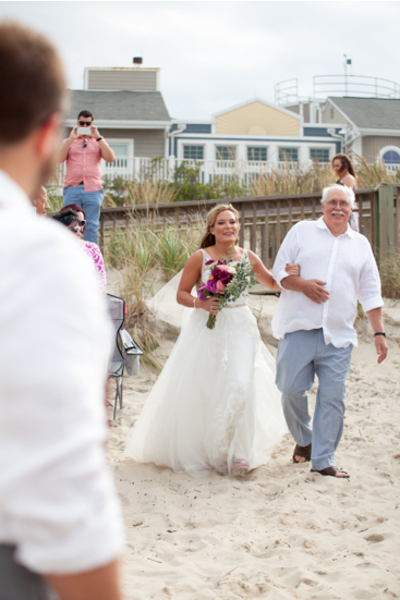 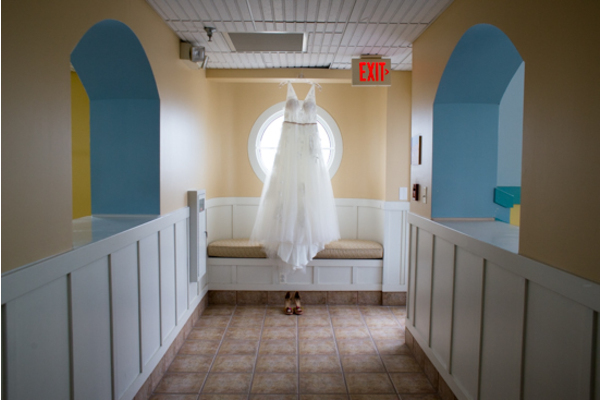 Our NJ Wedding Photographer was there to capture the sentimental moment Amanda shared with her father as she revealed her first look. 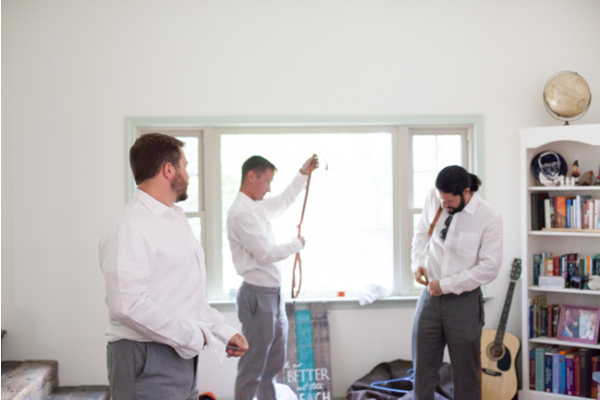 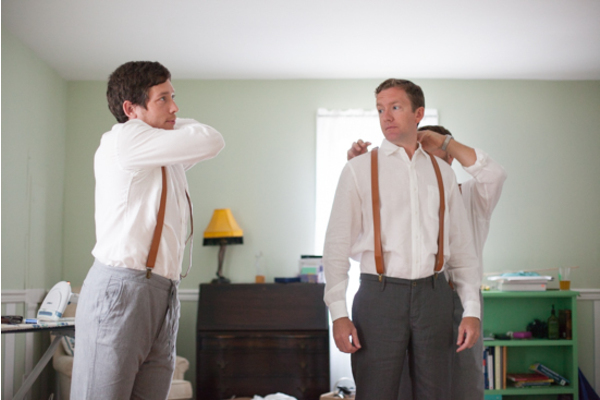 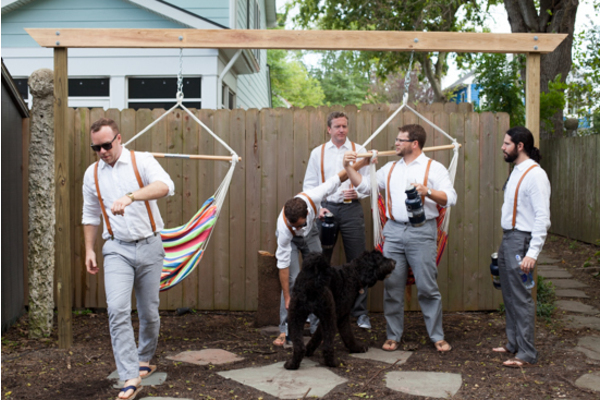 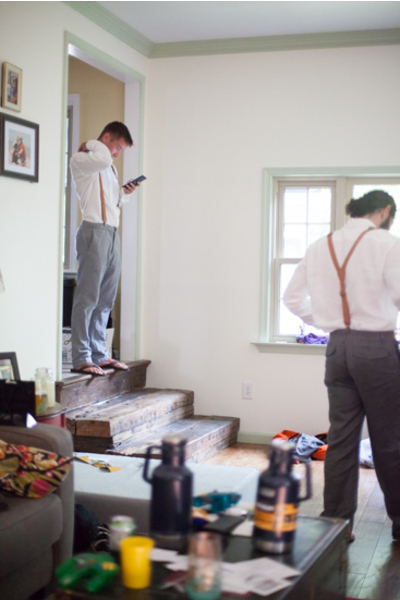 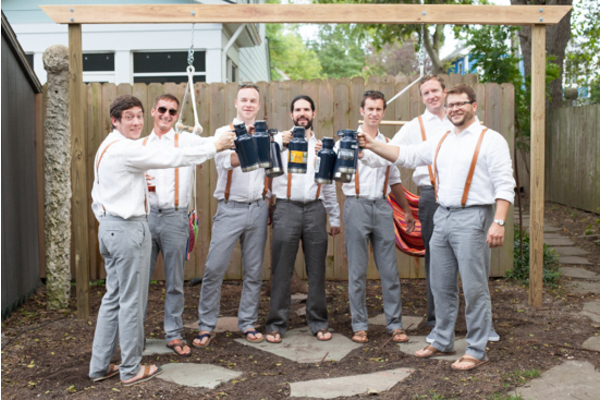 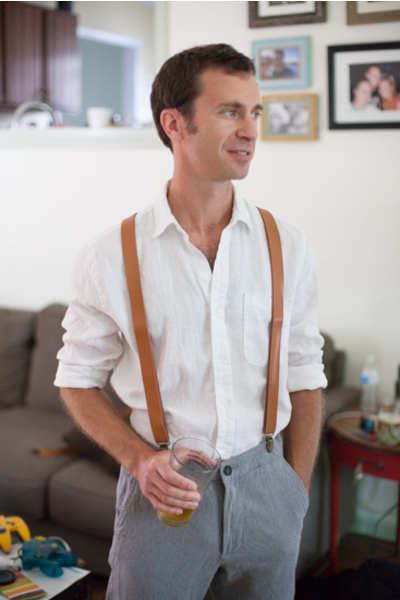 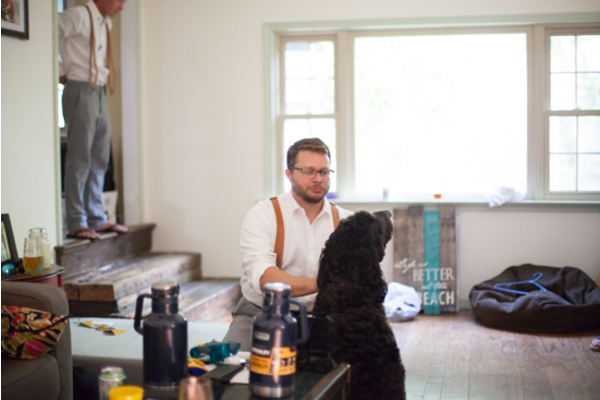 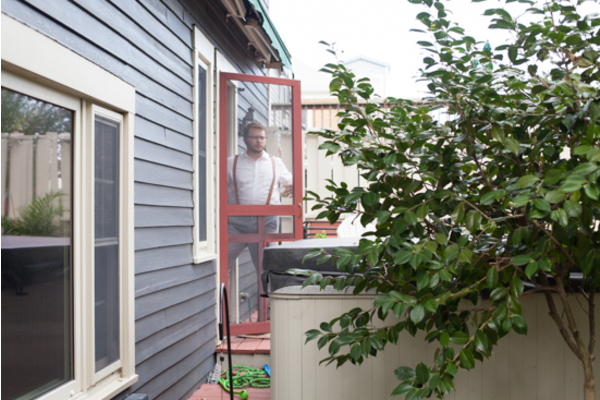 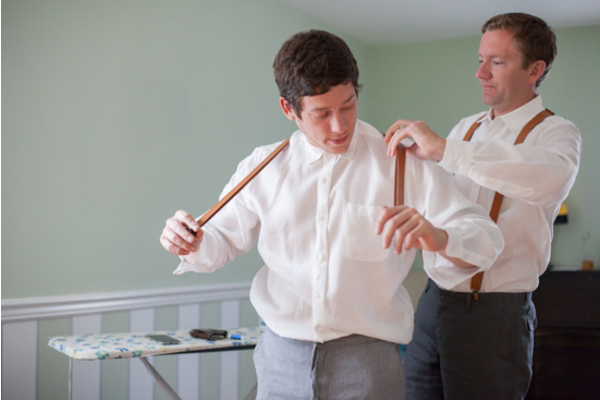 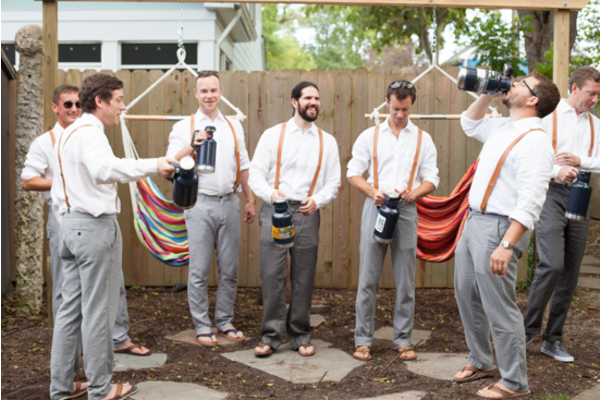 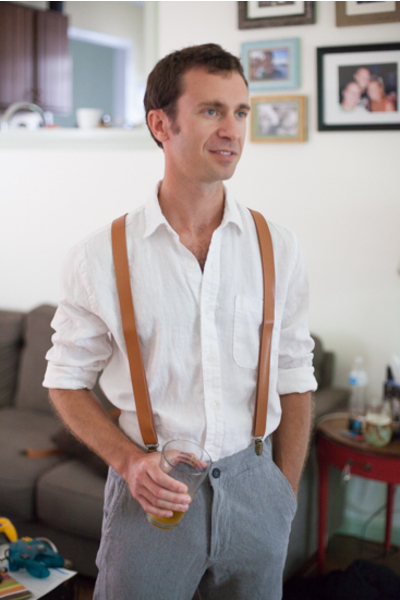 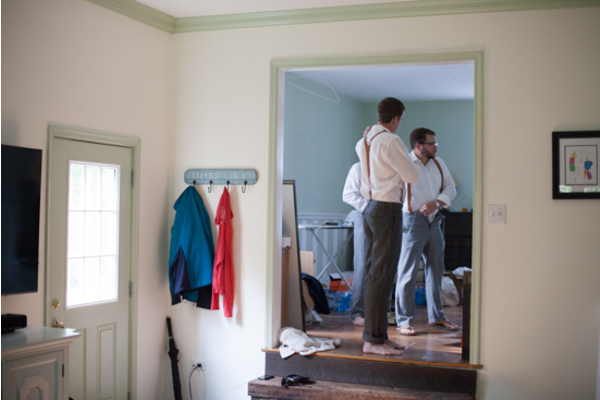 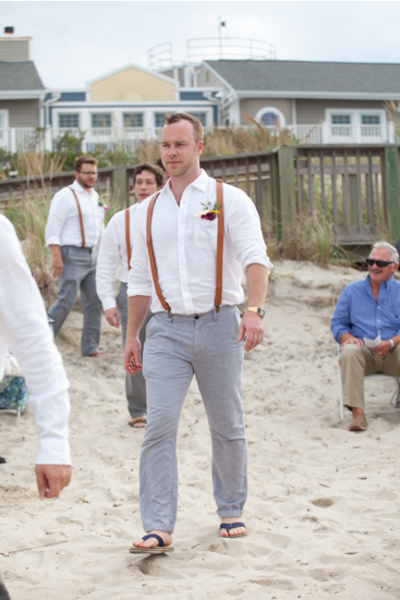 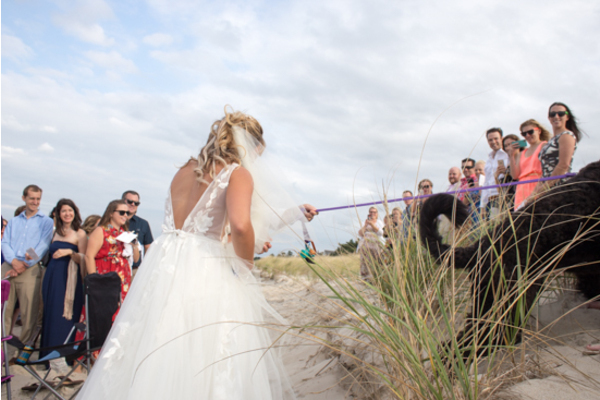 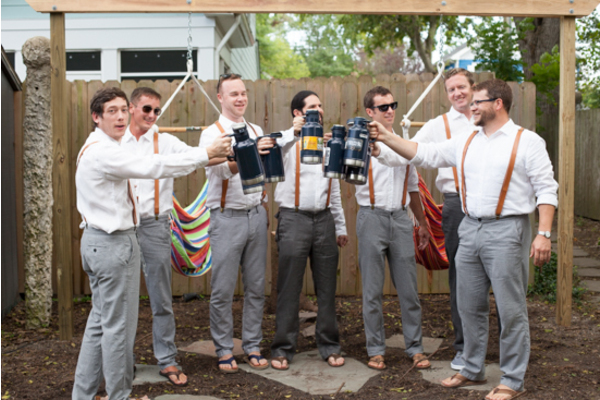 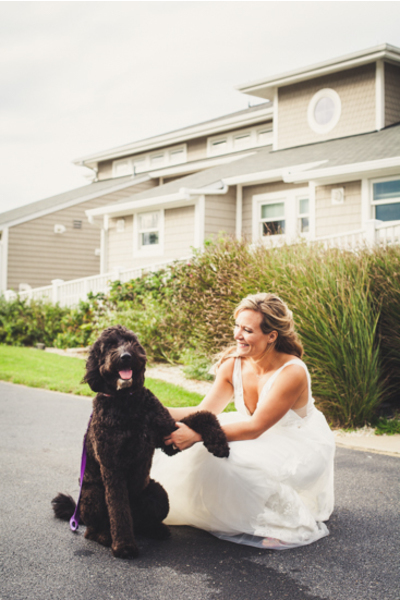 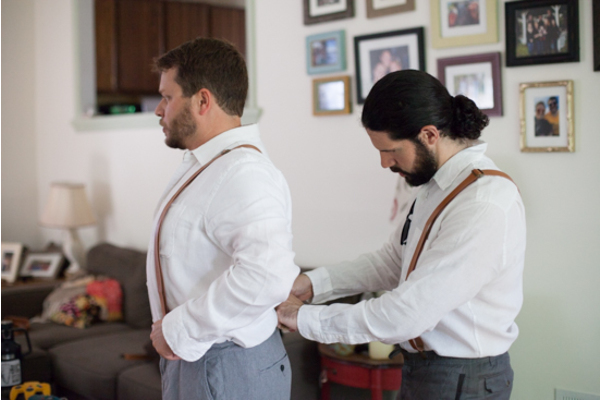 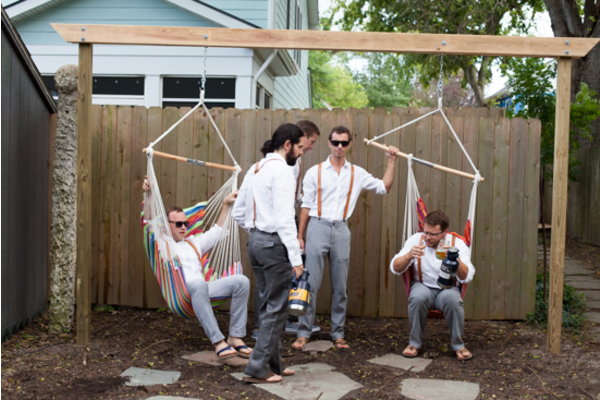 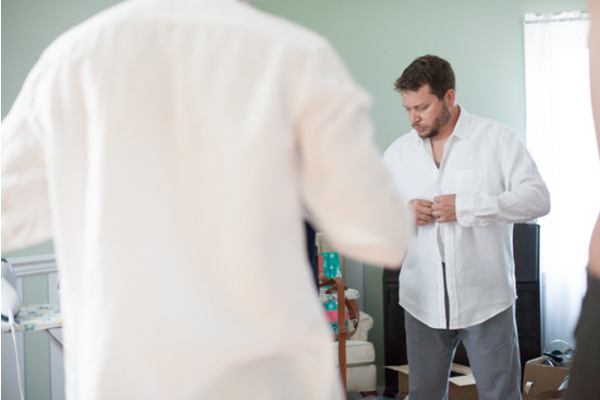 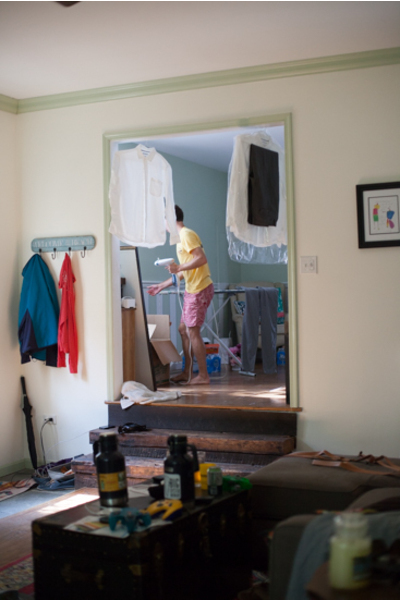 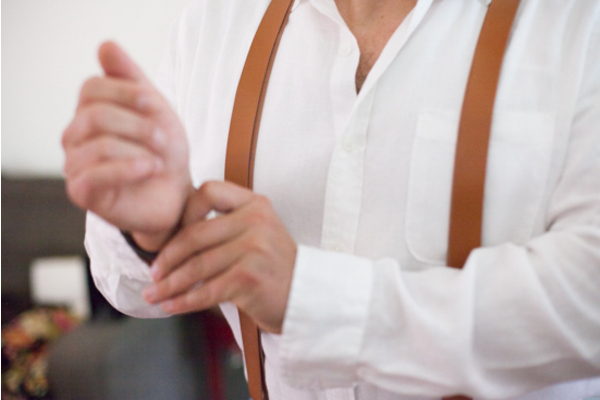 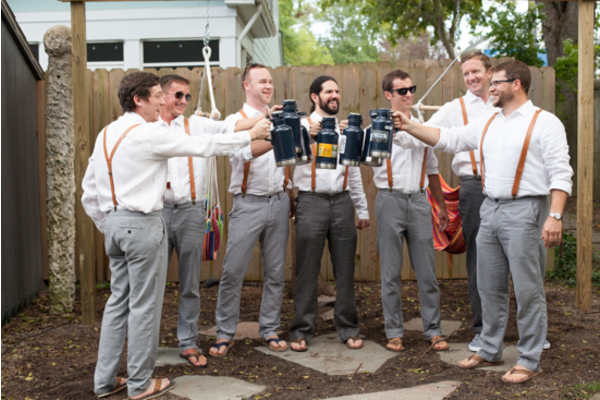 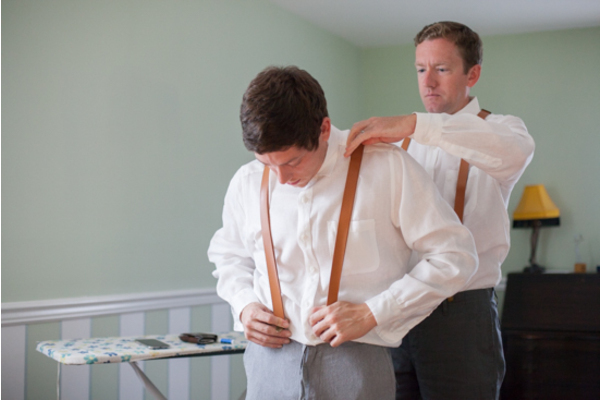 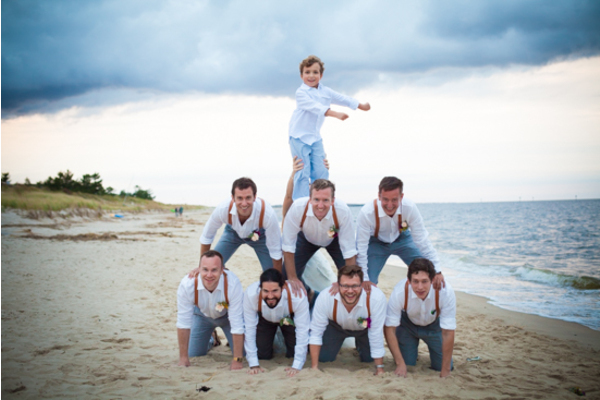 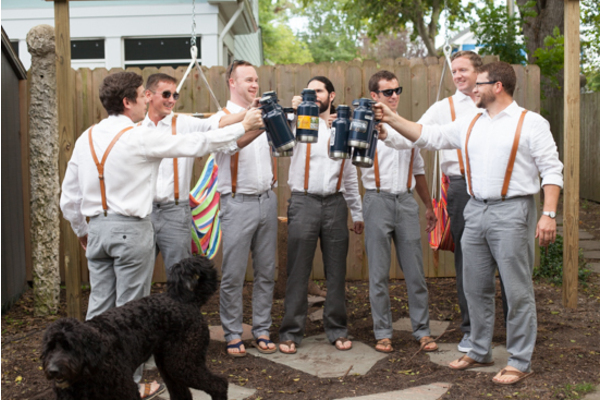 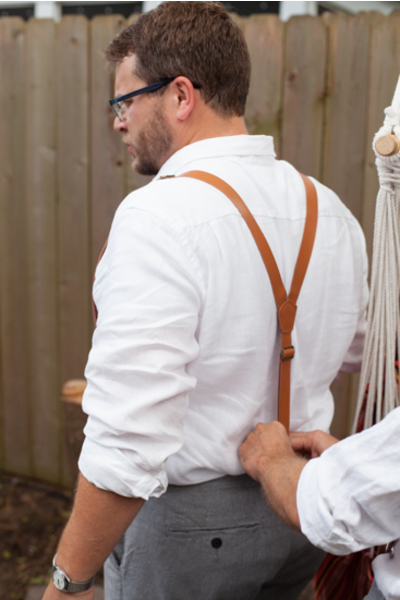 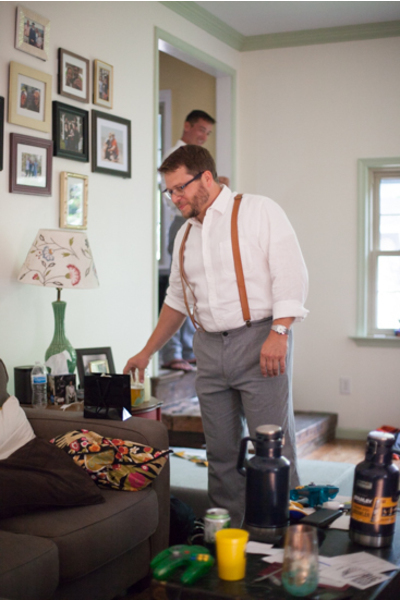 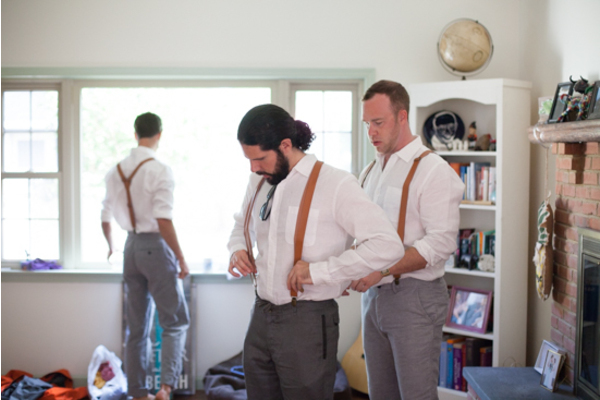 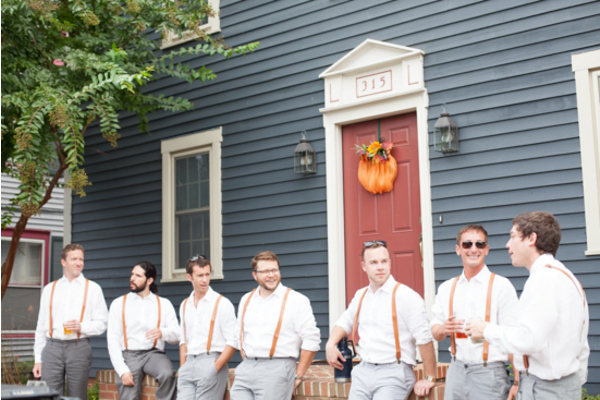 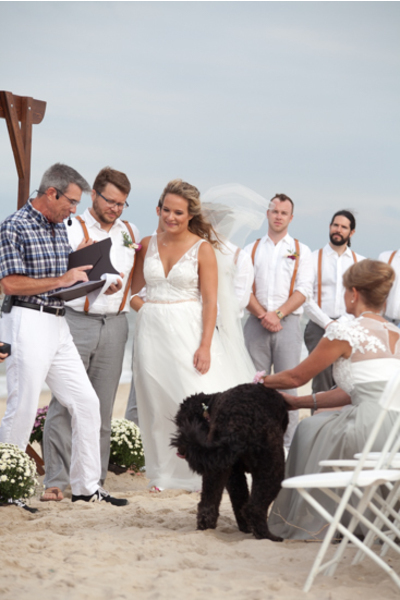 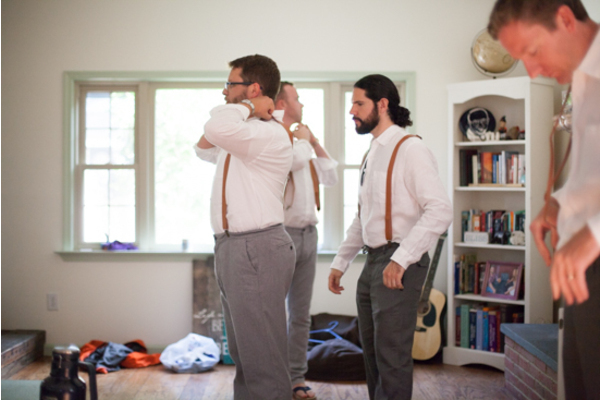 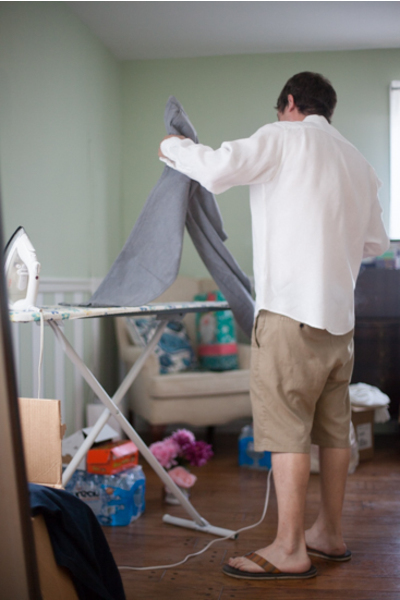 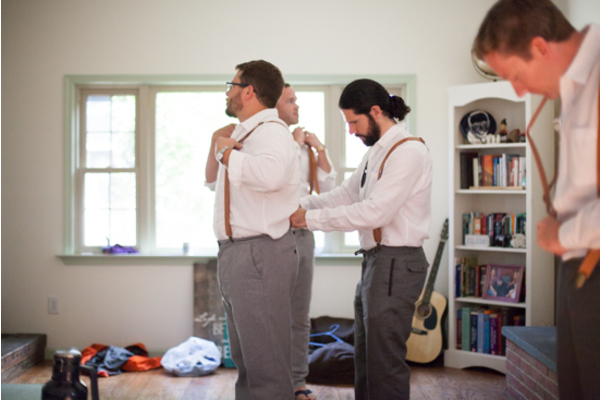 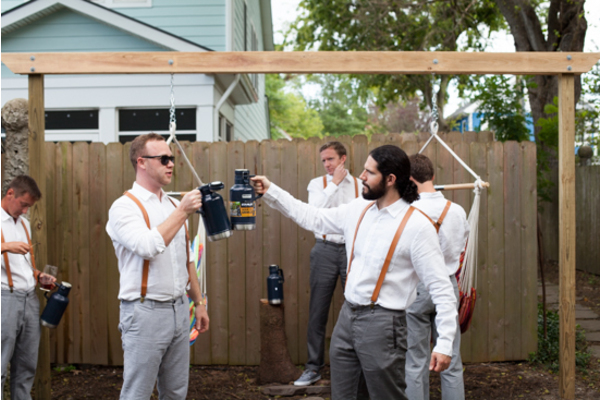 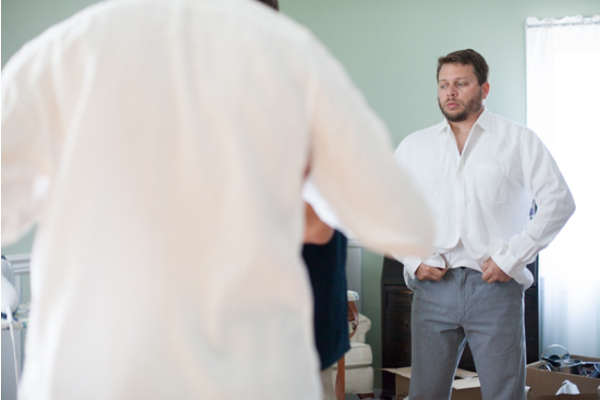 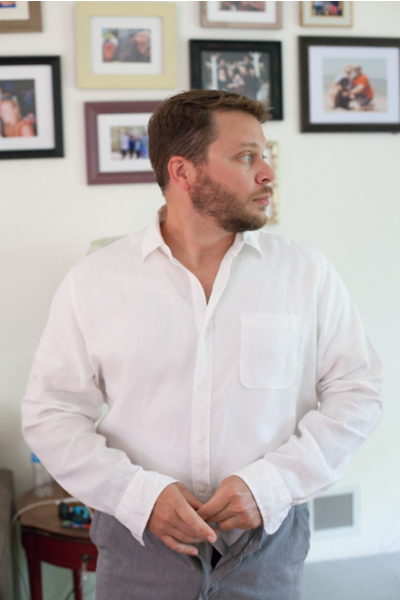 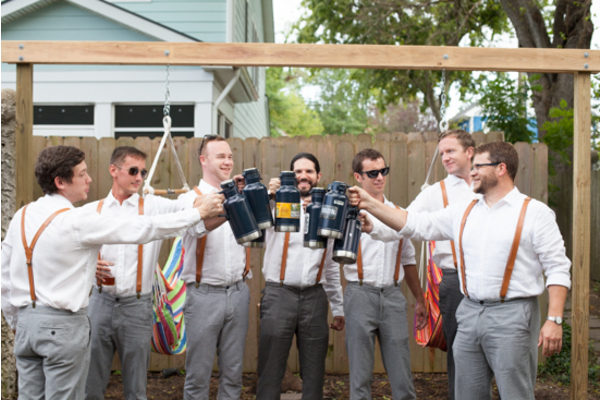 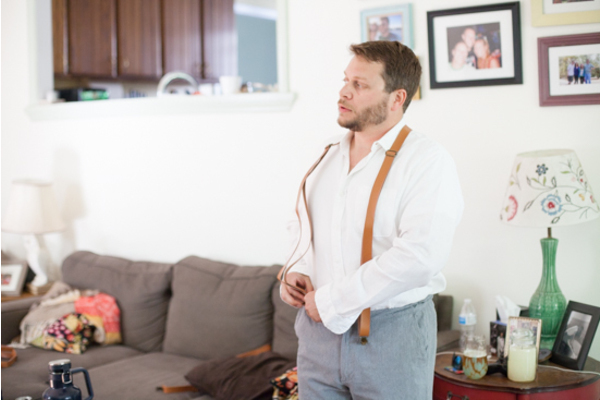 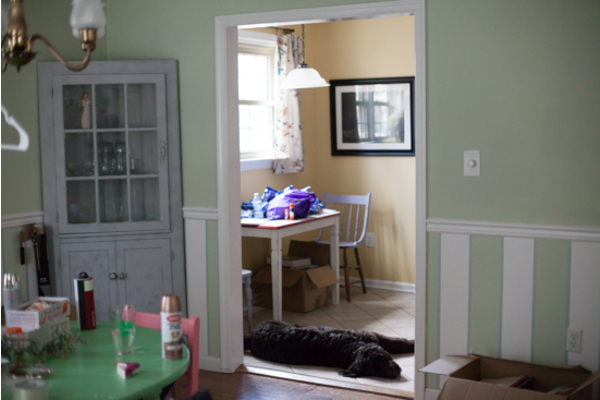 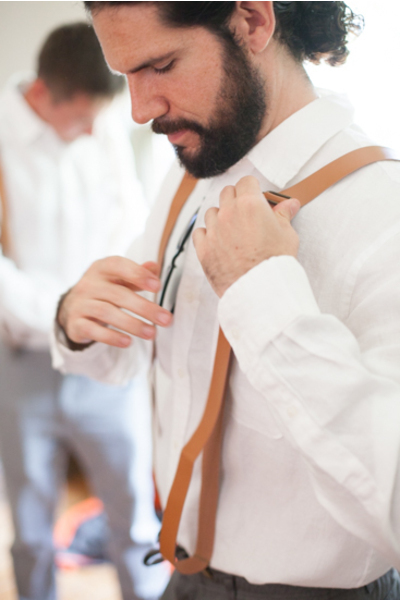 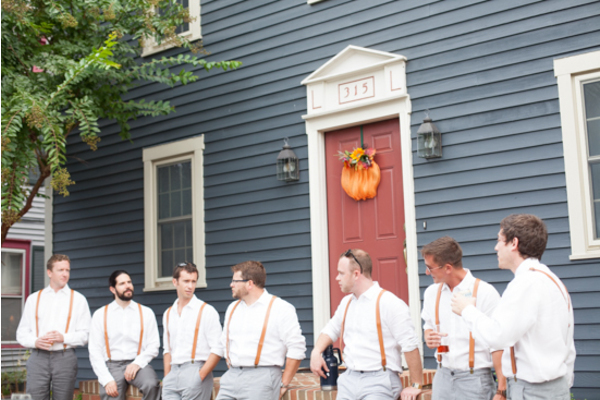 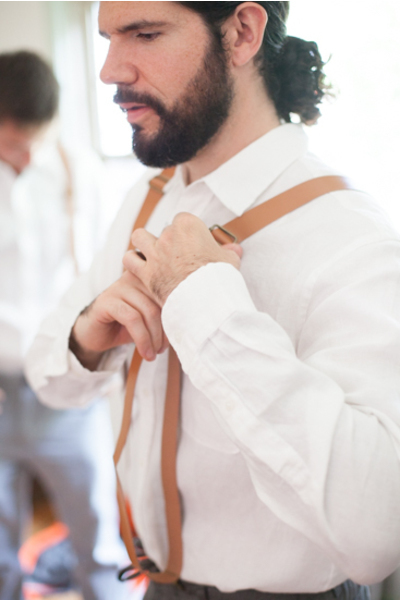 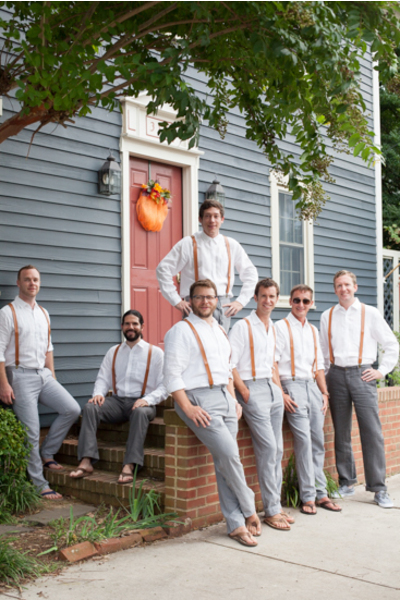 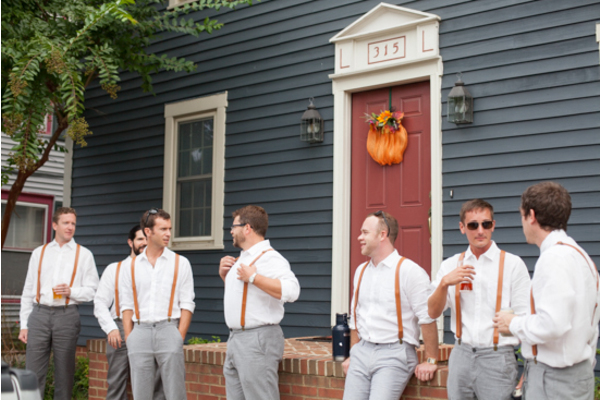 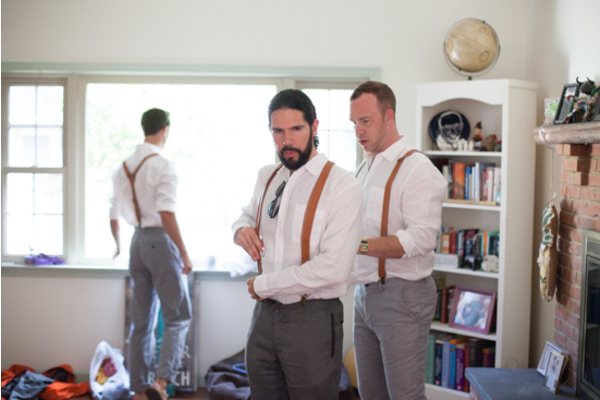 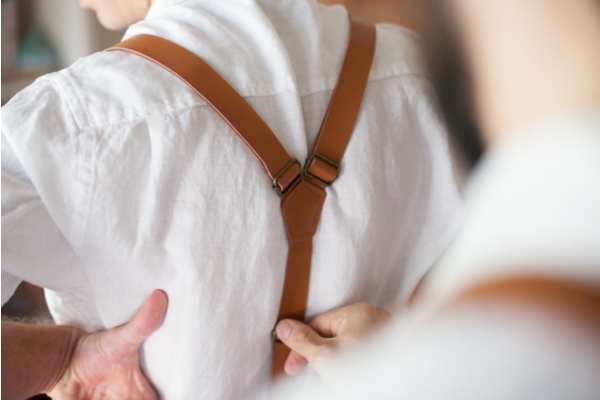 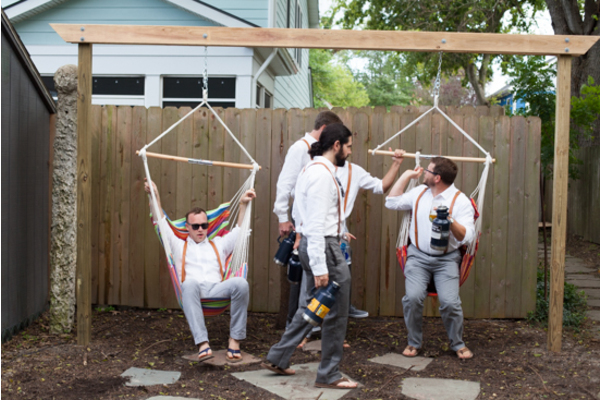 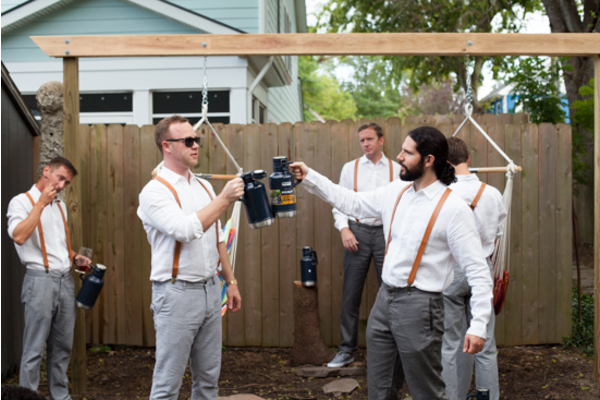 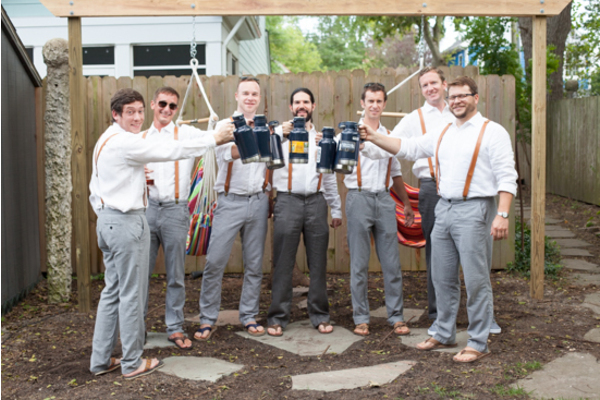 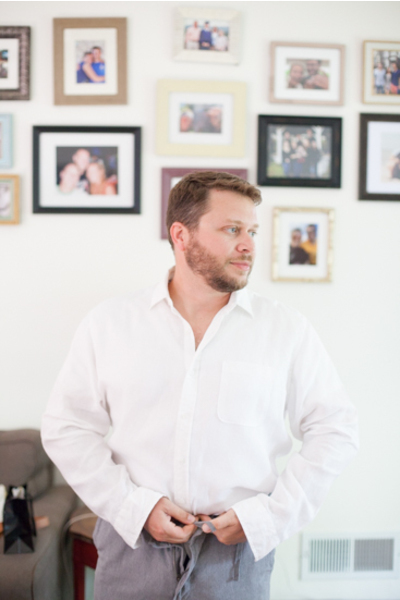 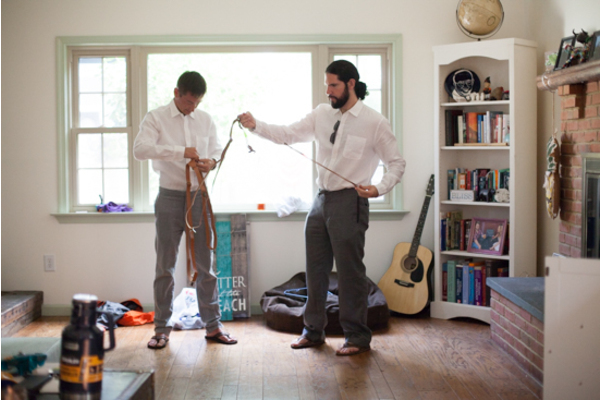 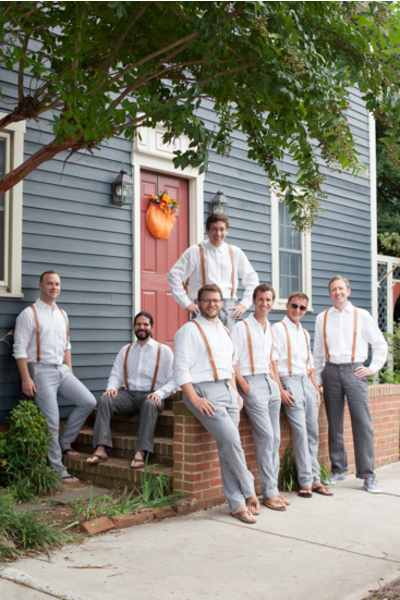 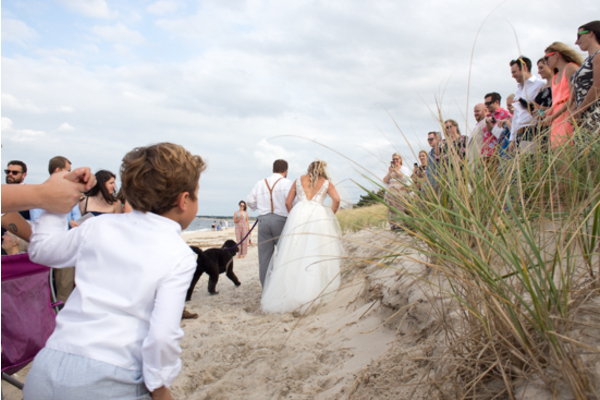 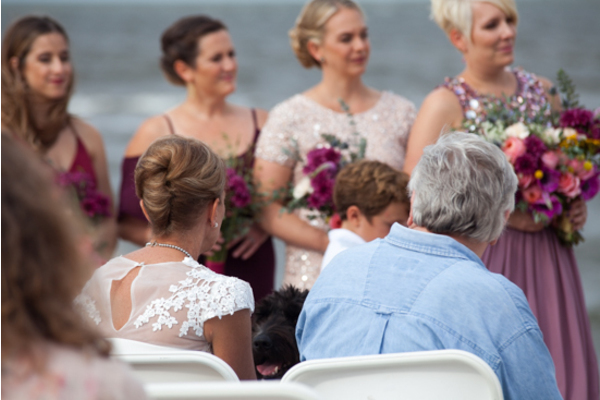 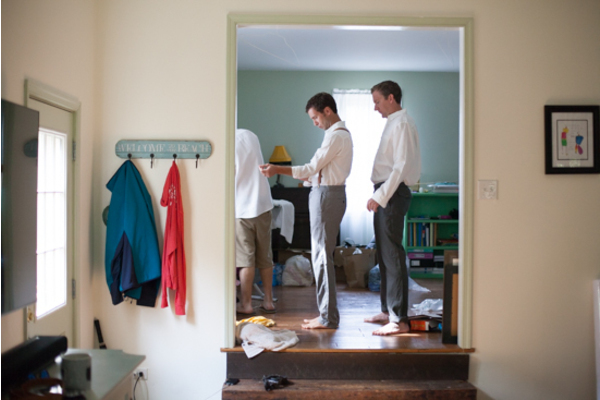 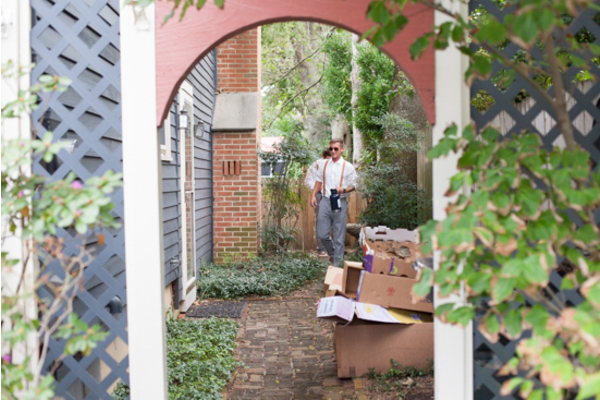 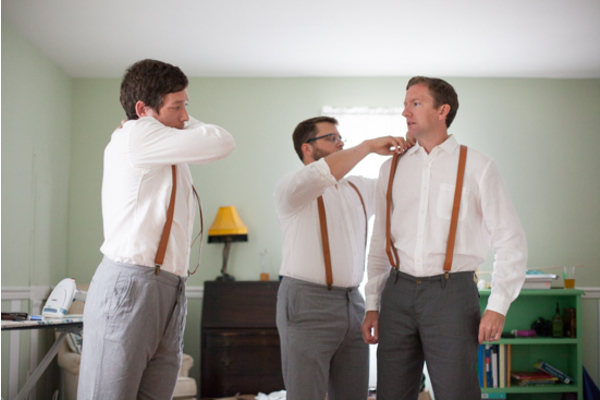 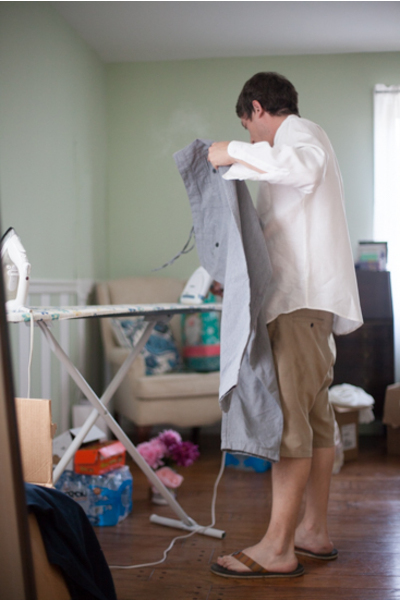 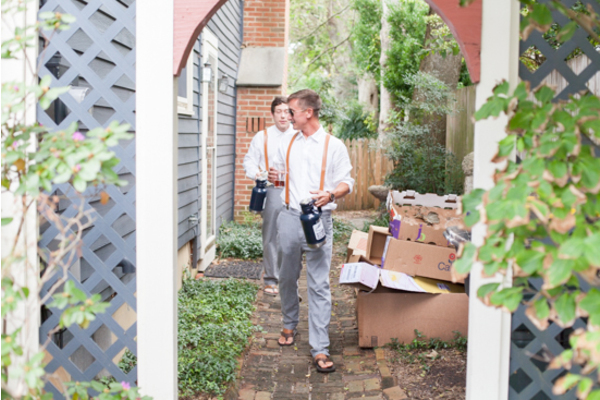 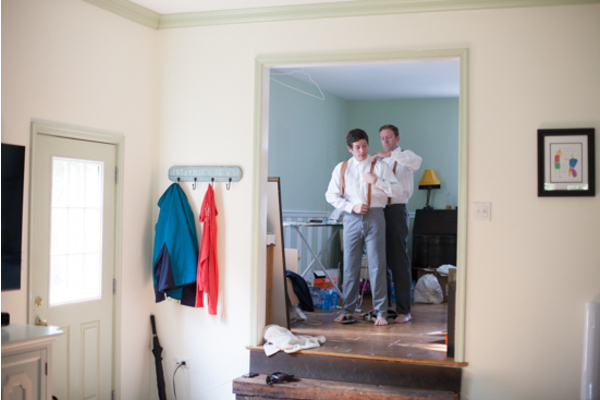 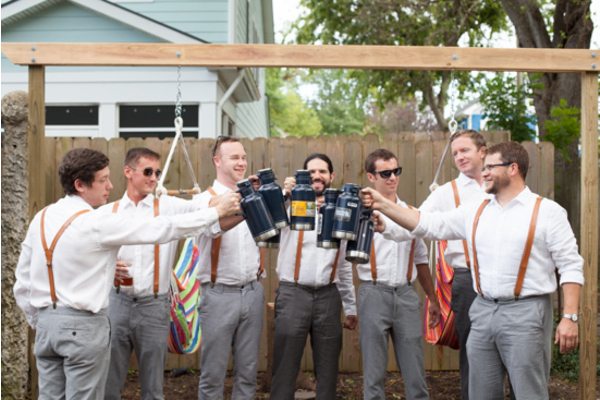 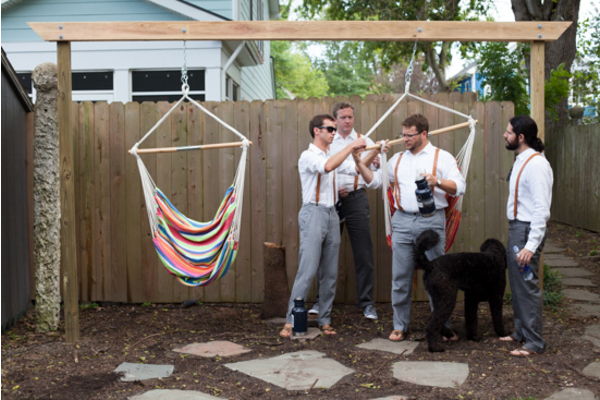 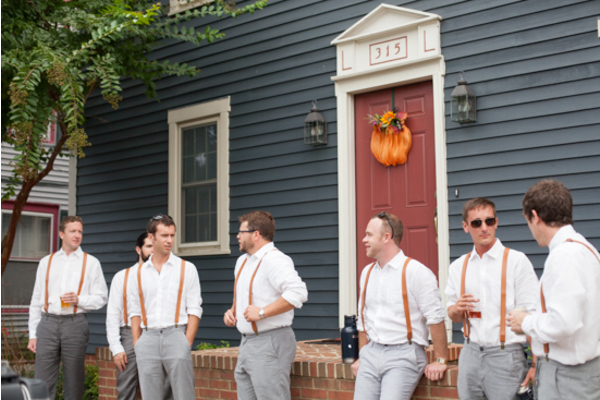 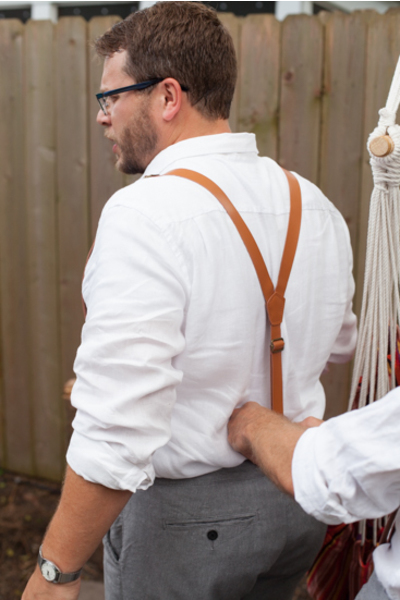 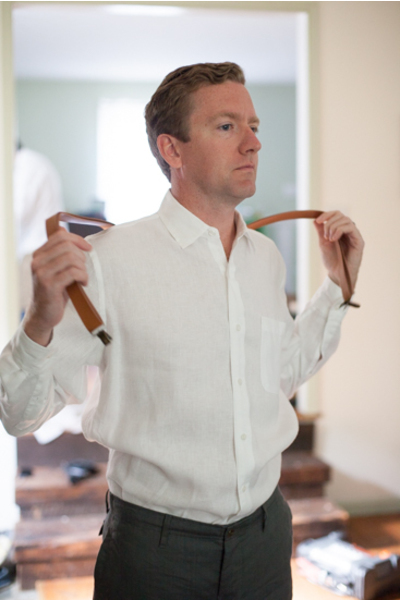 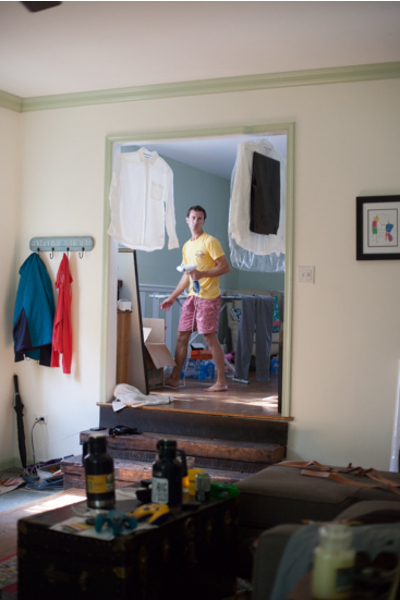 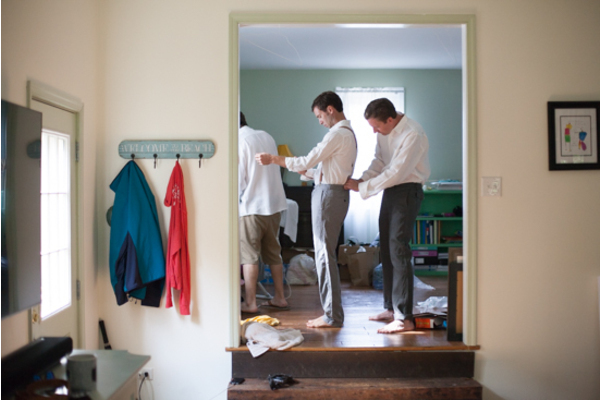 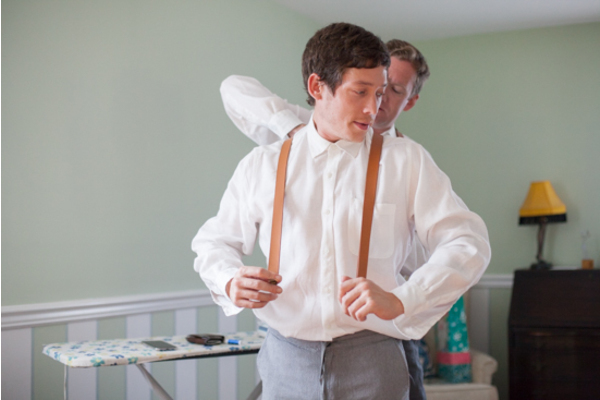 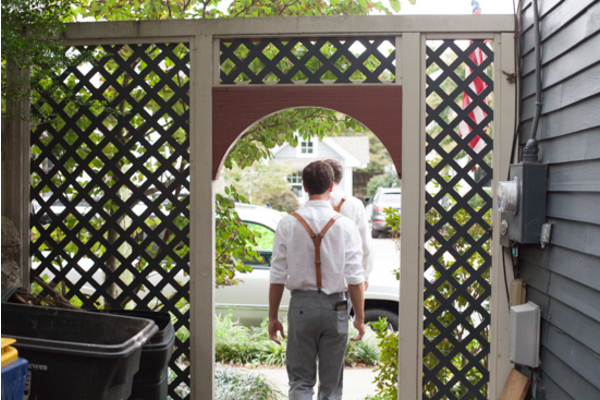 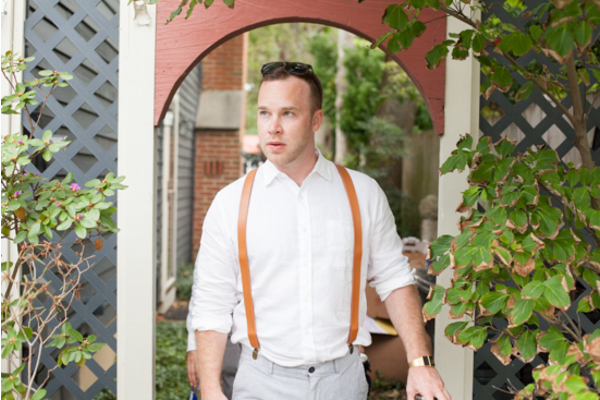 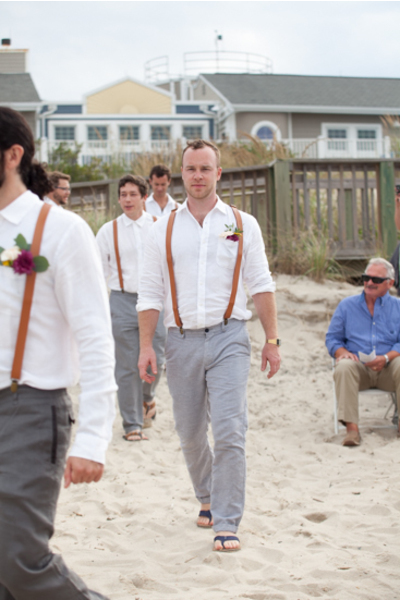 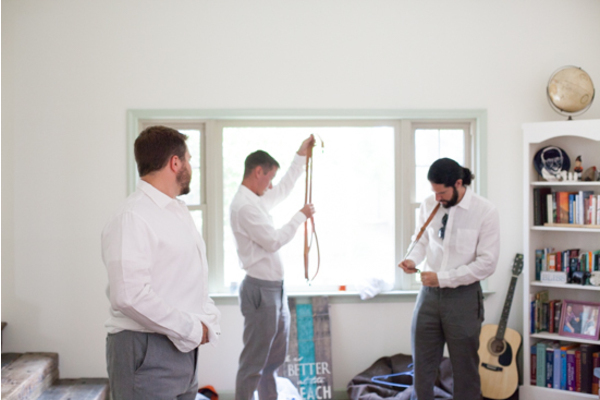 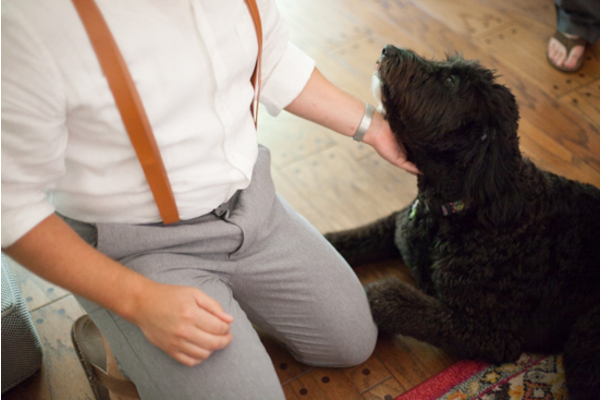 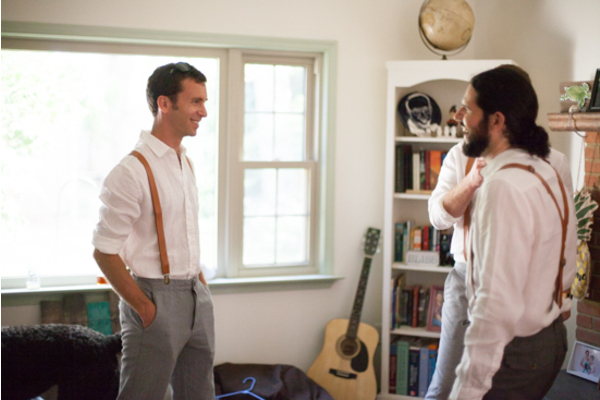 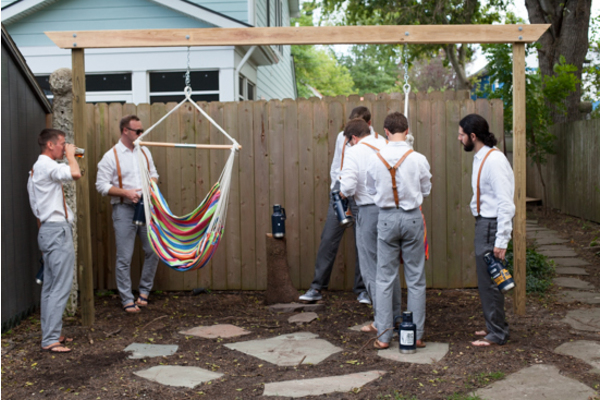 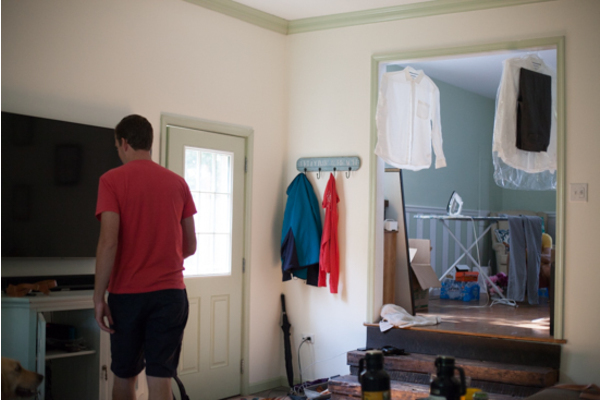 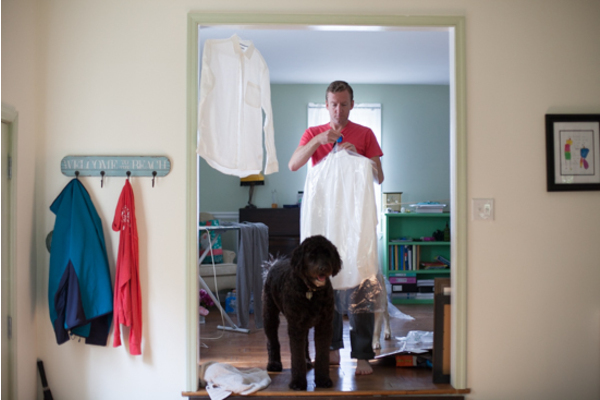 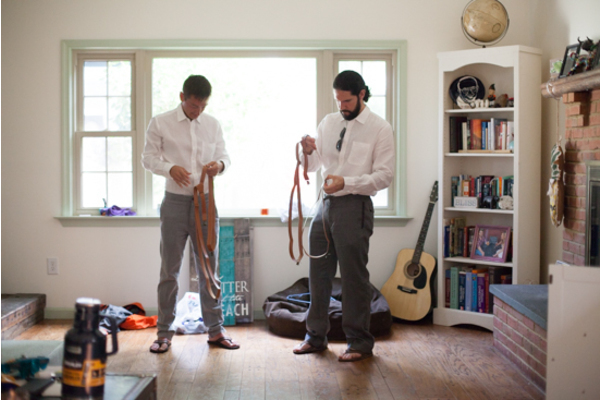 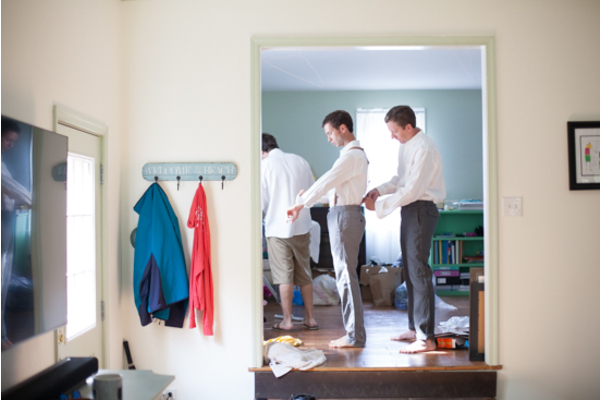 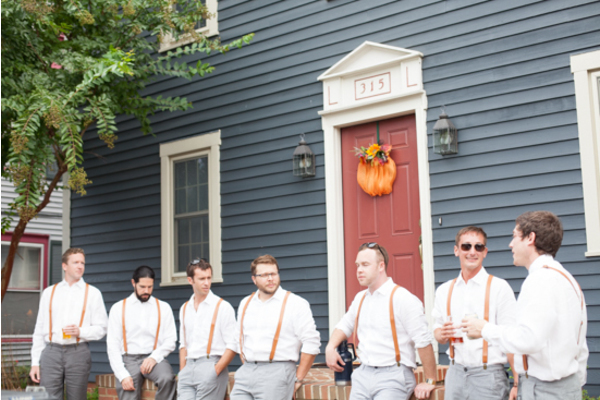 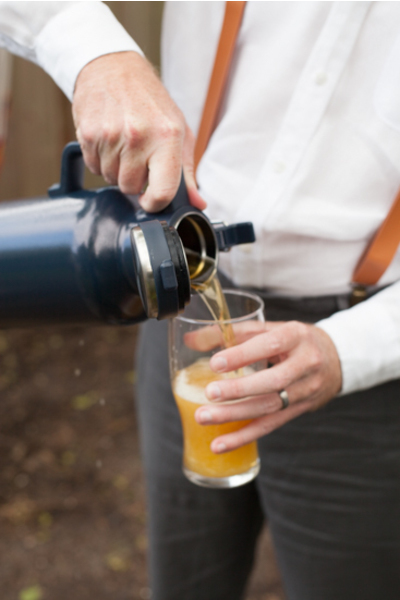 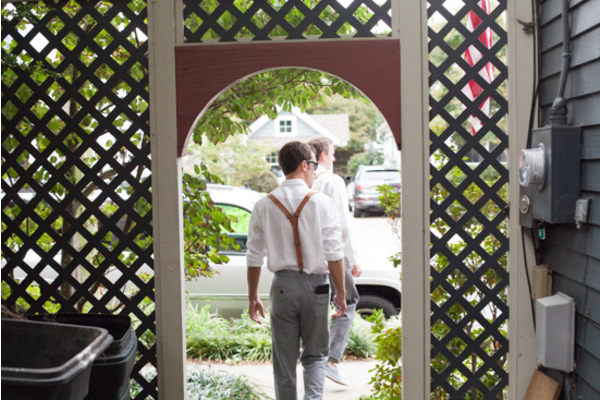 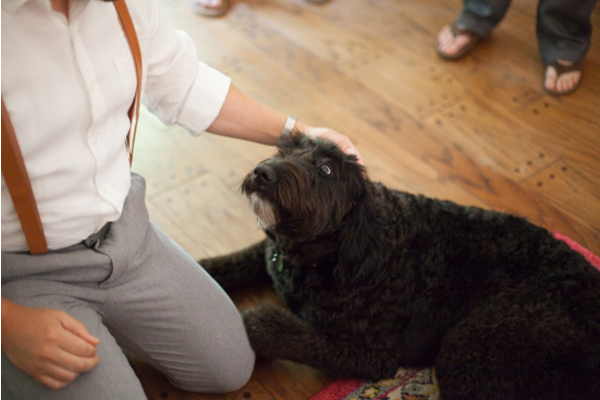 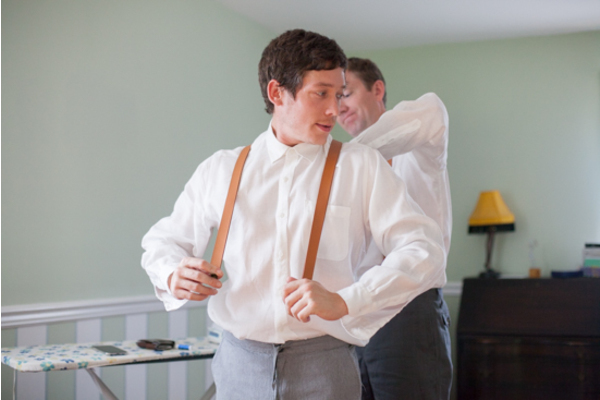 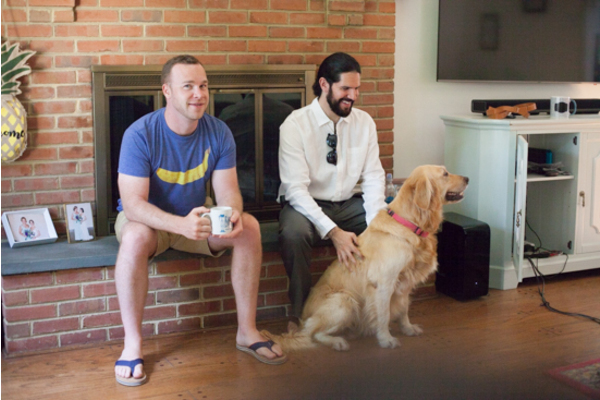 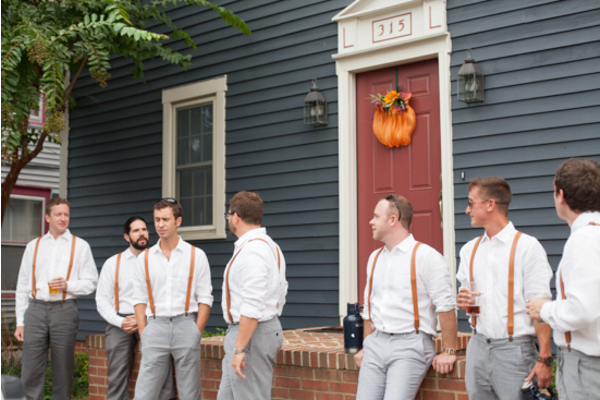 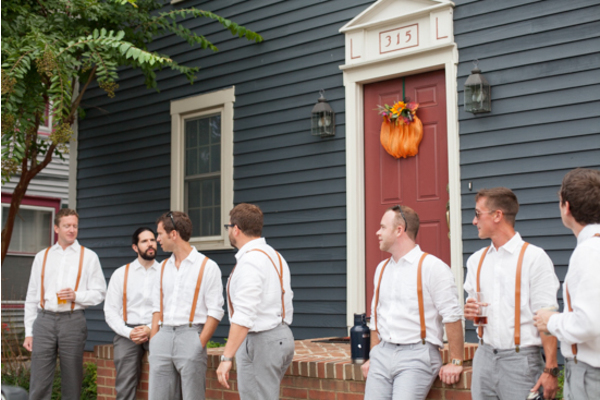 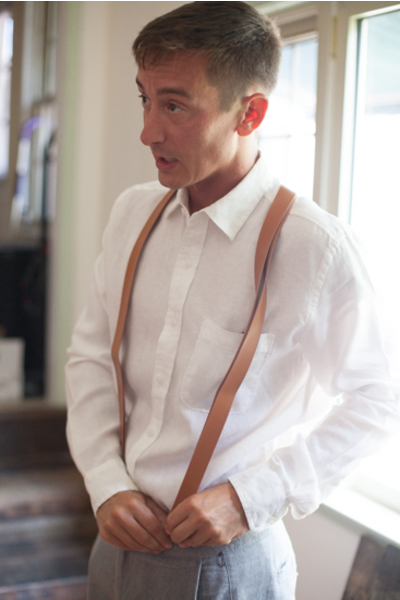 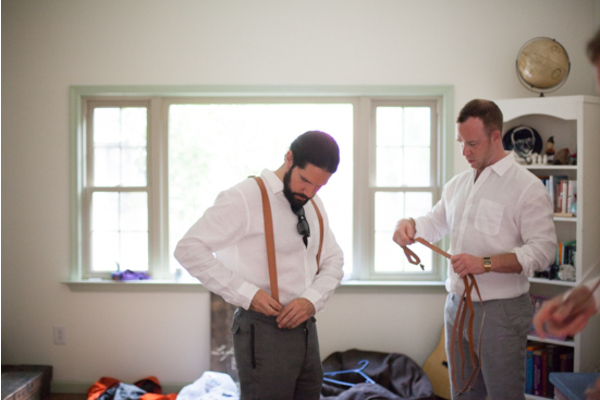 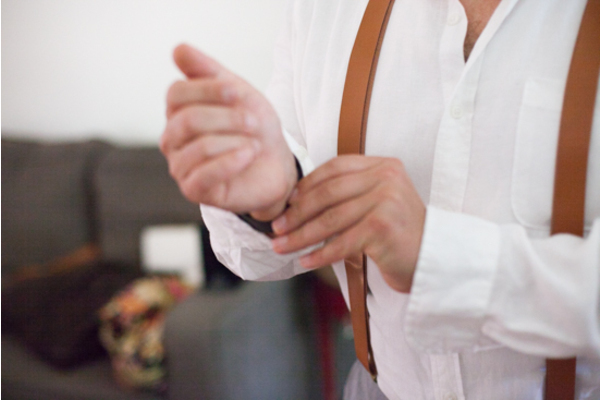 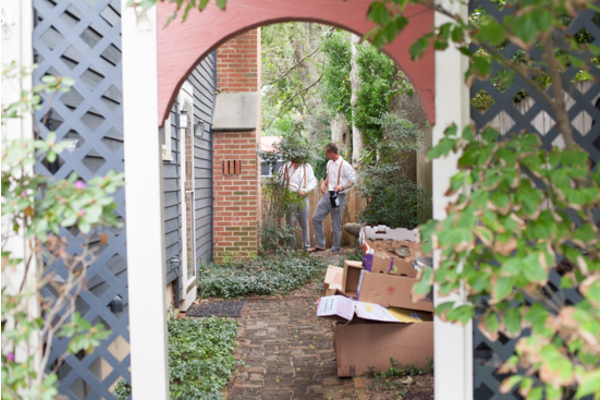 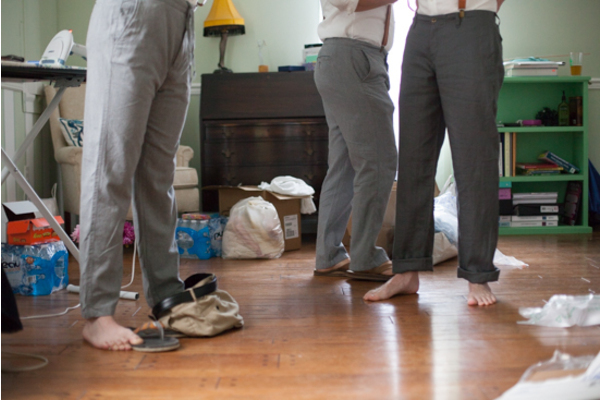 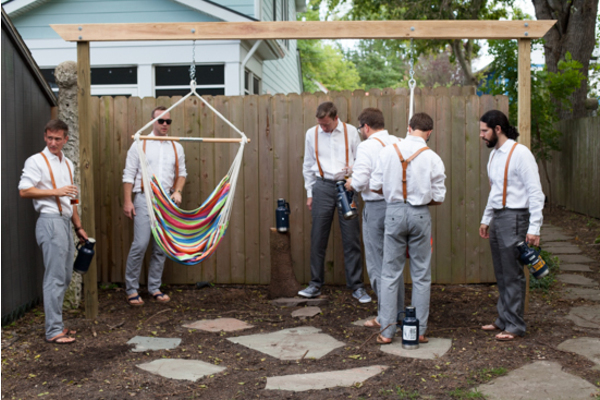 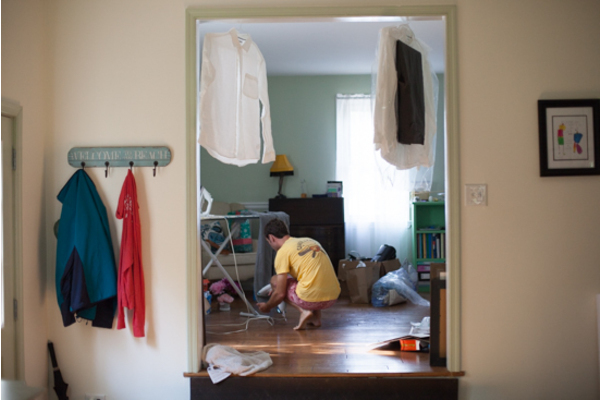 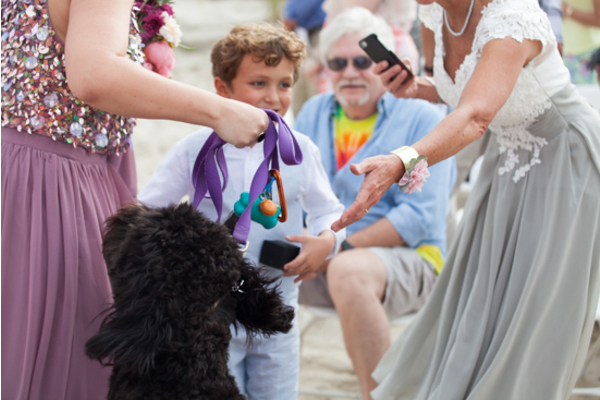 Close by, Tyler was preparing for the big day, thanks to his groomsmen and adorable furry friend! 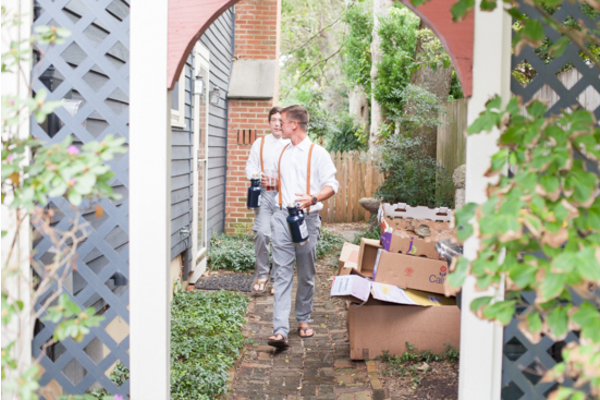 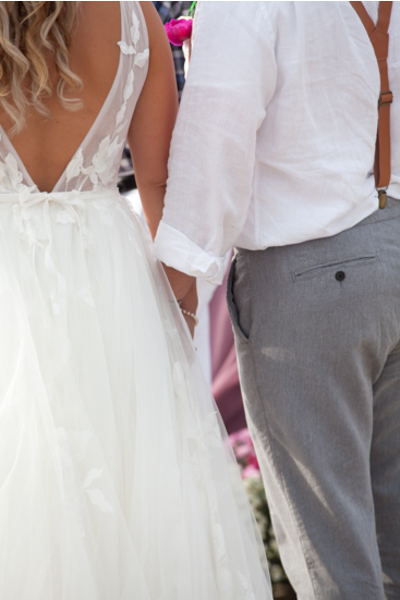 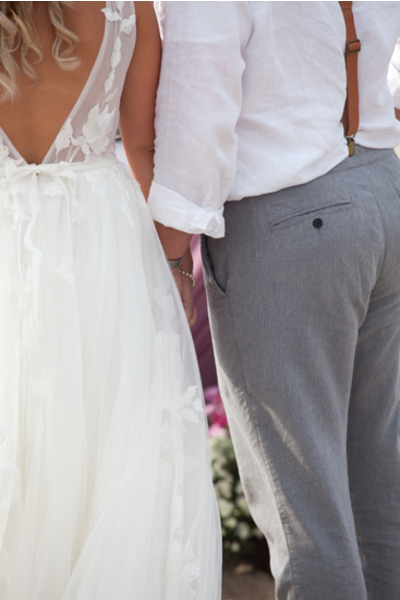 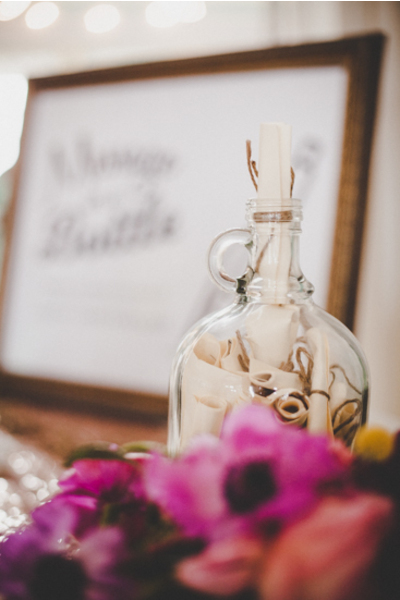 Filled with excitement, the couple was ready to make their way over to the ceremony! 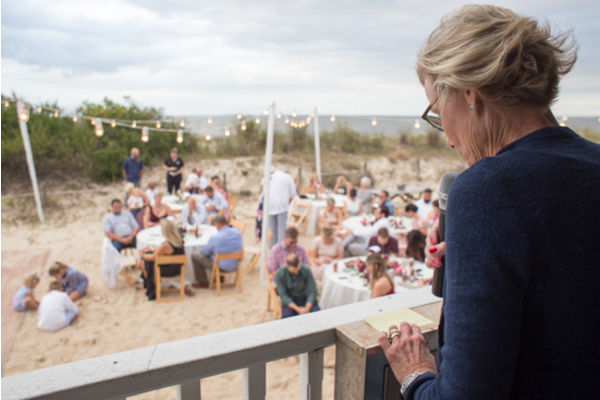 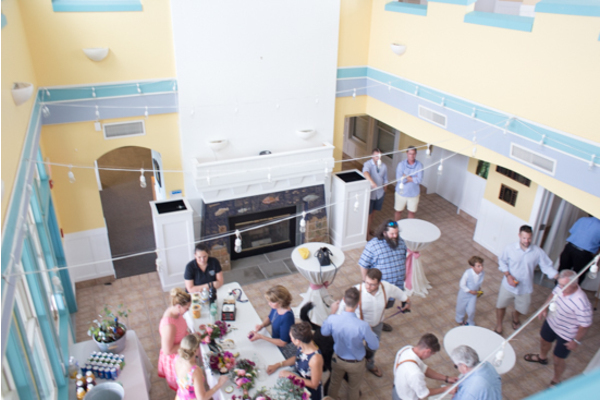 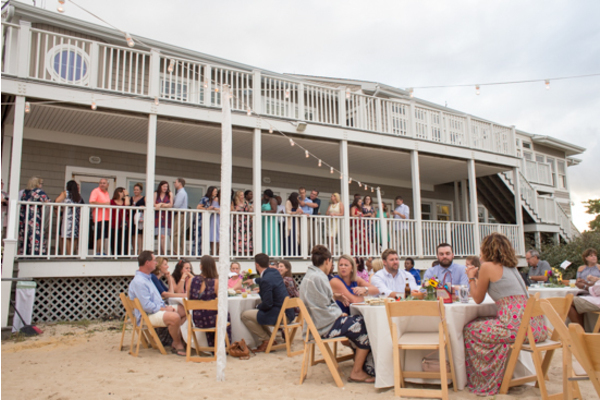 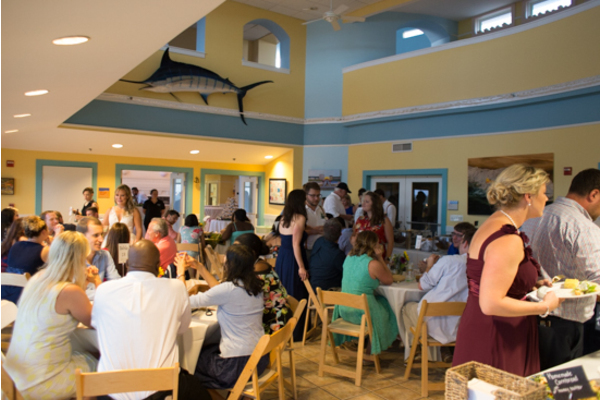 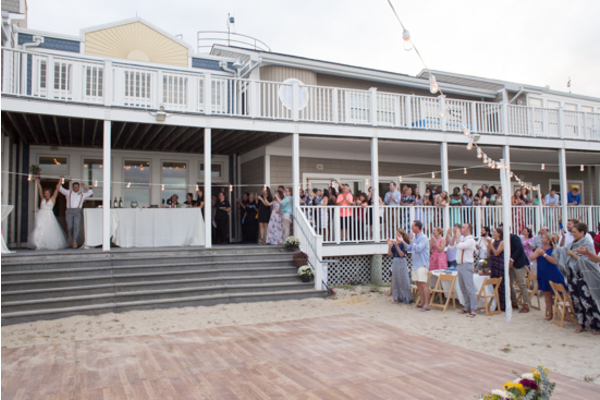 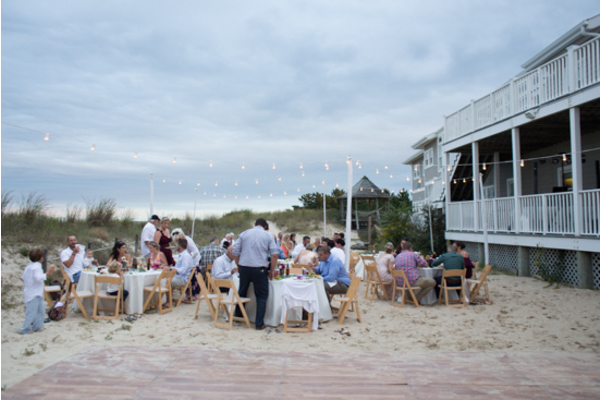 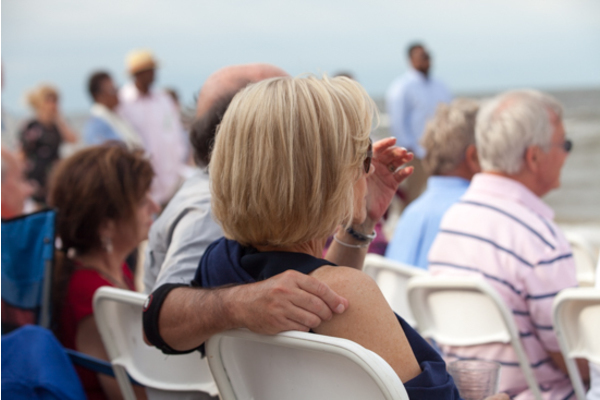 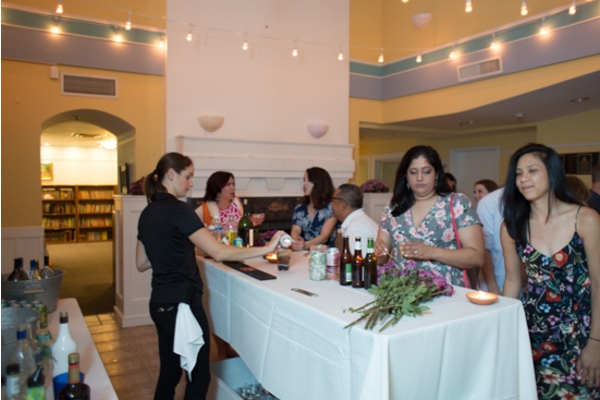 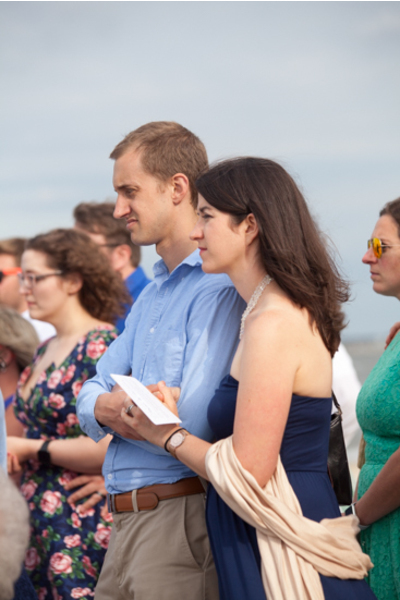 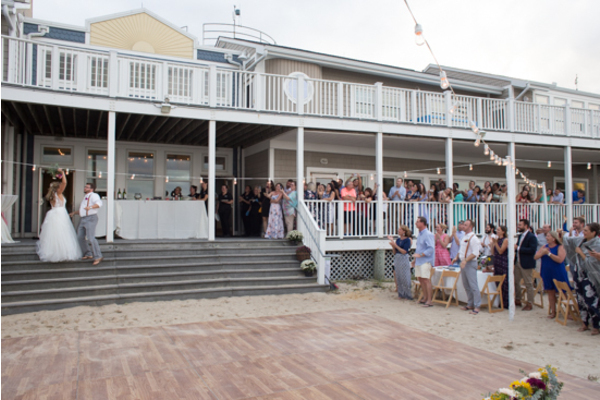 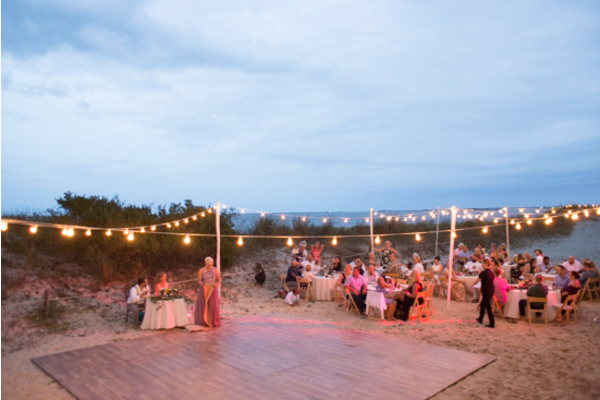 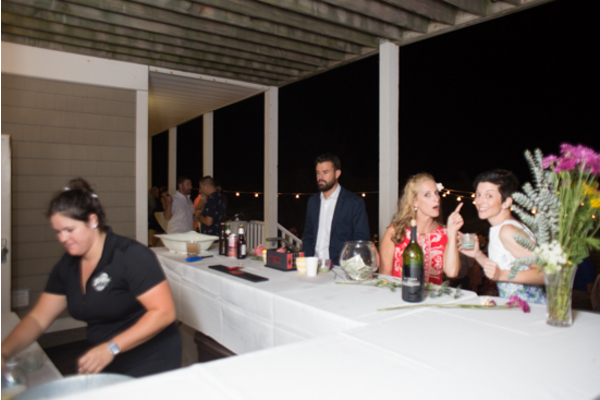 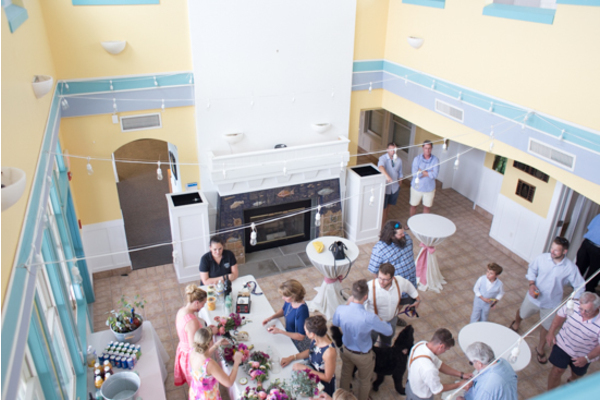 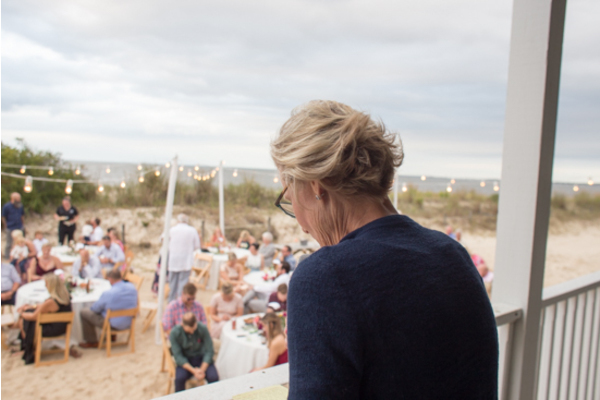 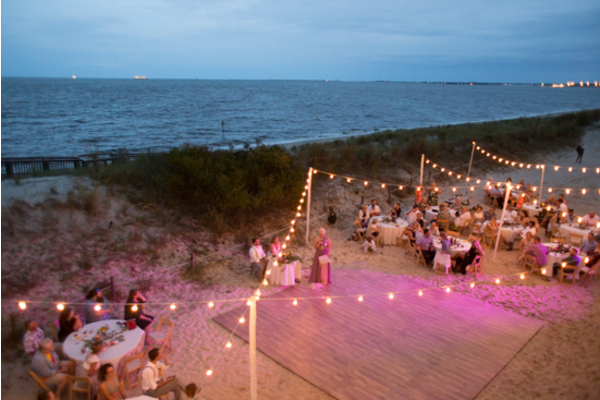 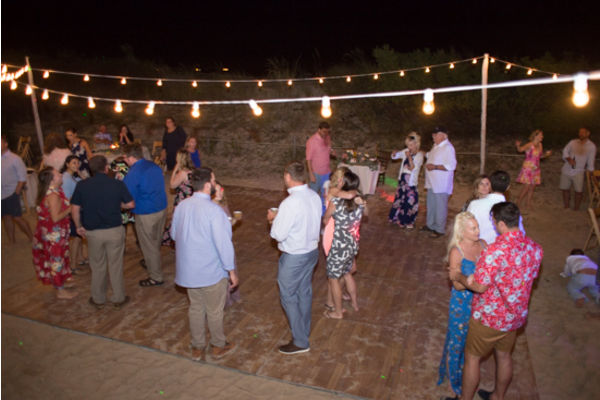 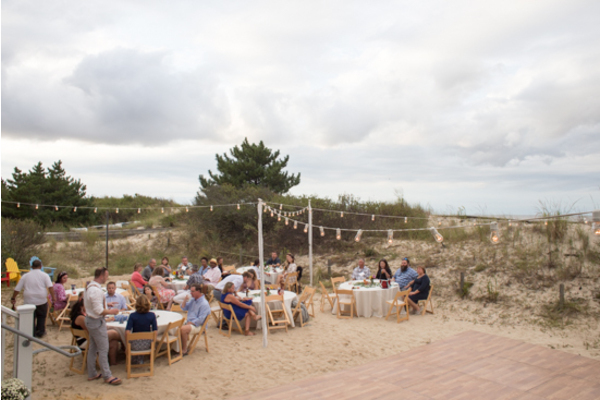 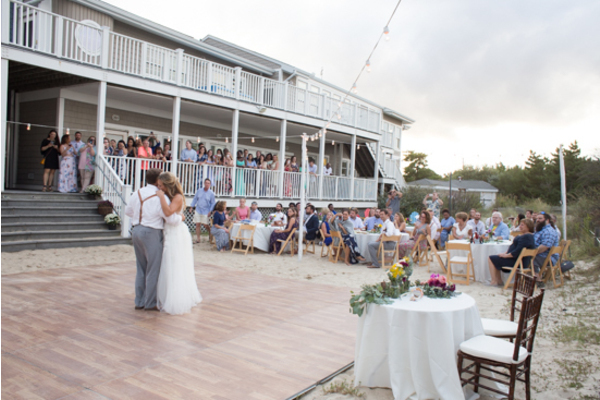 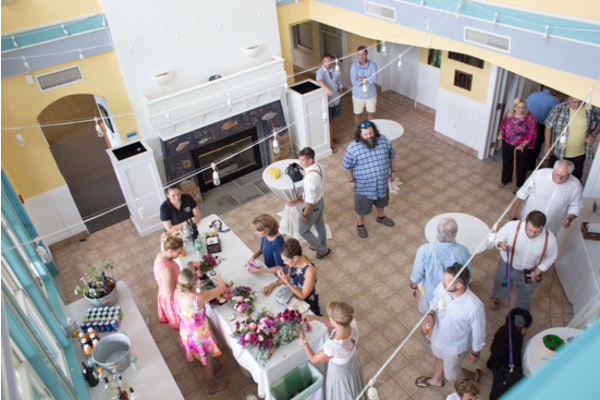 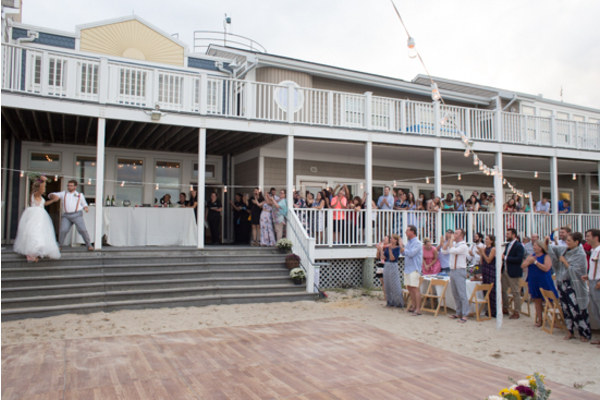 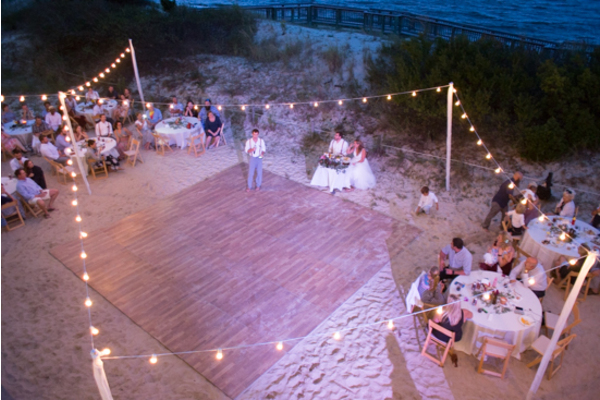 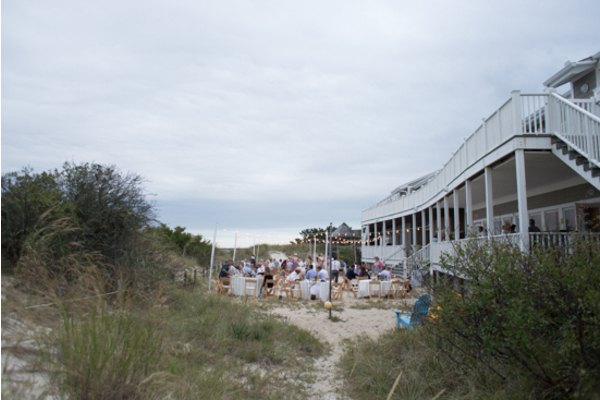 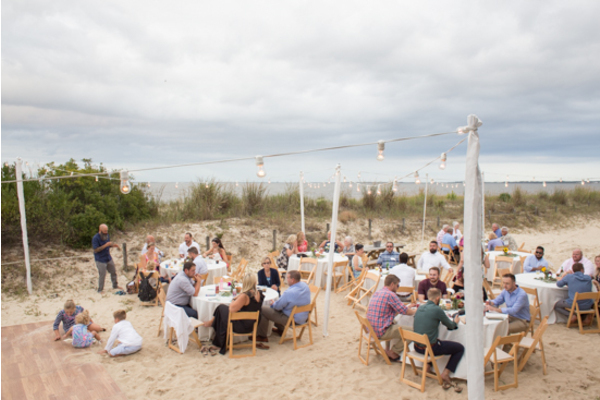 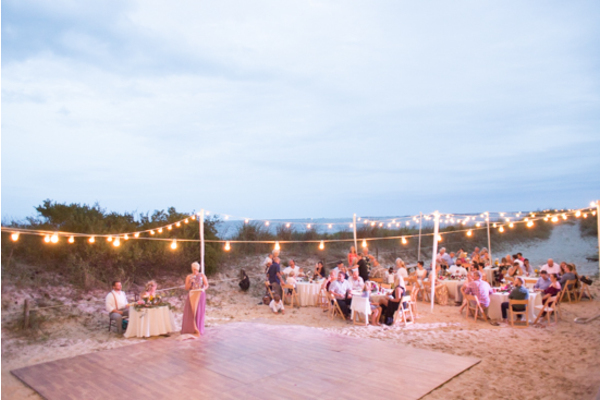 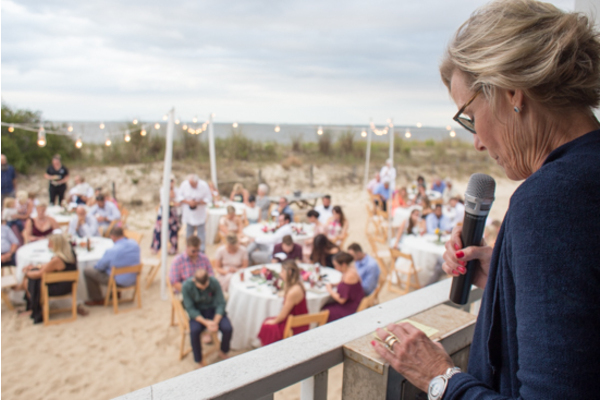 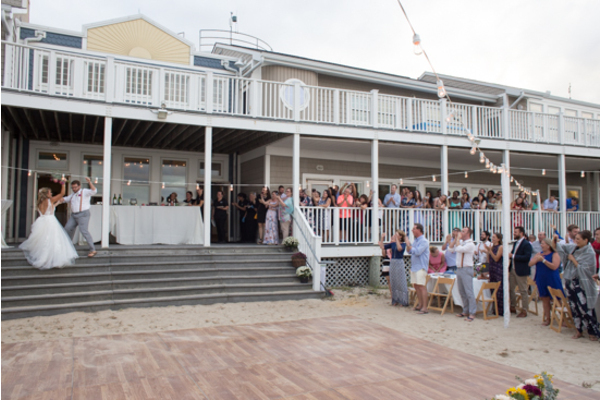 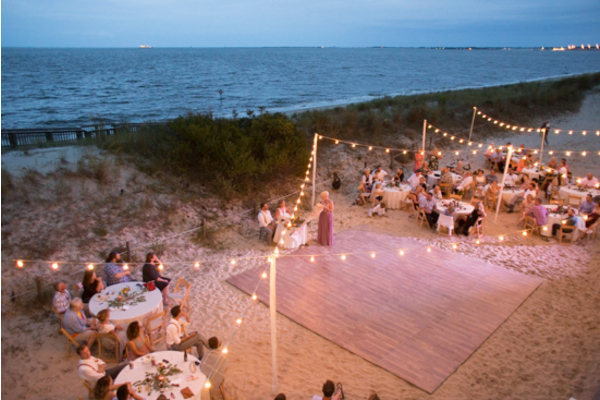 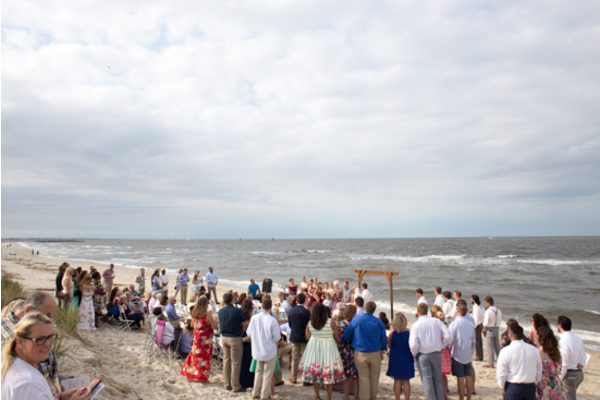 Guests gathered to find their seats at this gorgeous venue on the beach perfect for the mid September celebration. 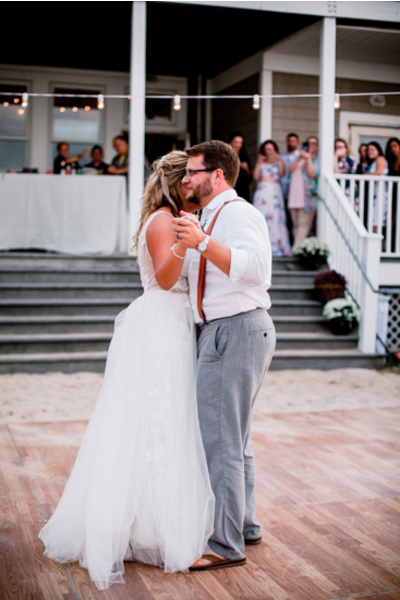 Our NJ Wedding Photographer captured all the emotions that filled the crowd as Amanda and Tyler shared their vows and kissed. 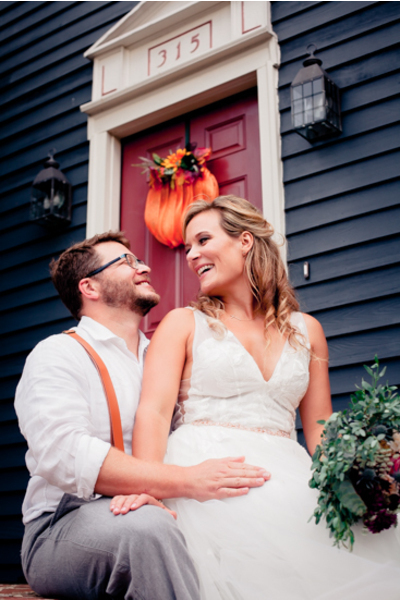 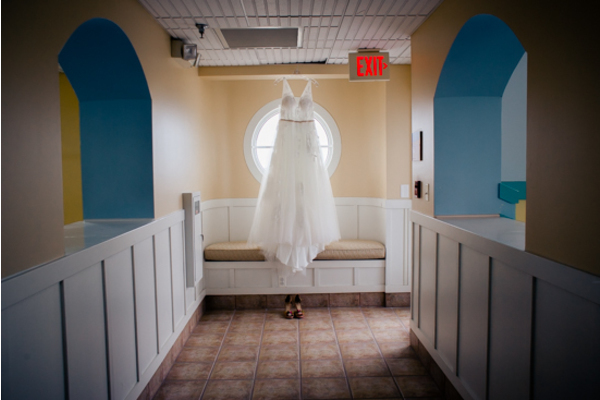 After a few group portraits with close friends and family, Amanda and Tyler were ready to head to the reception. 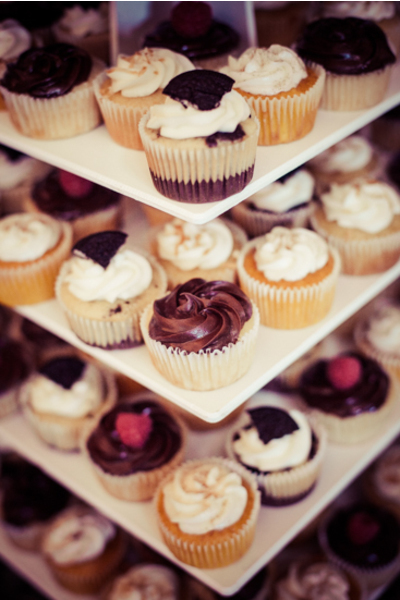 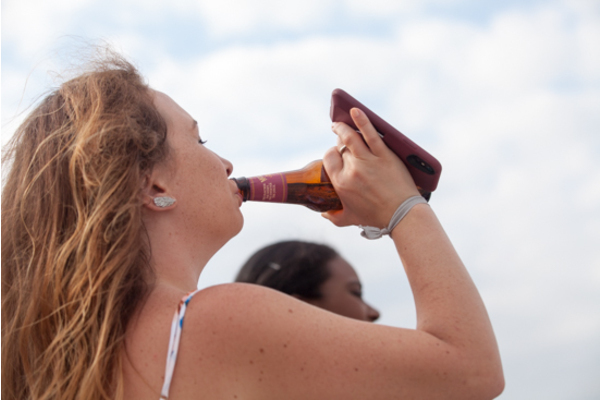 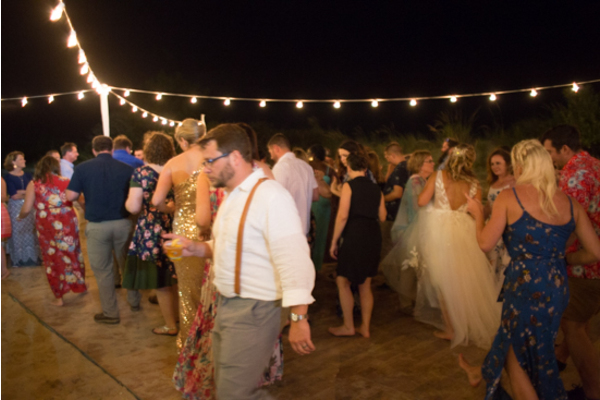 It was finally party time! 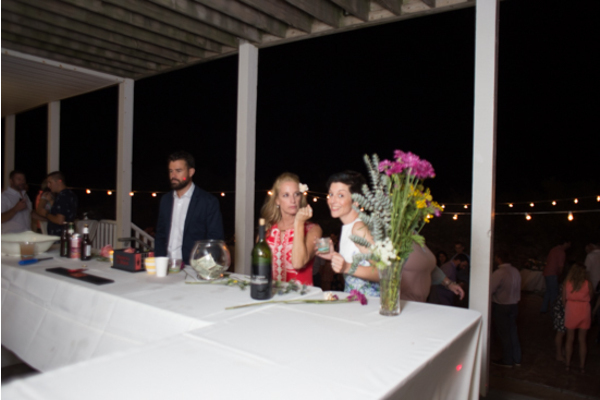 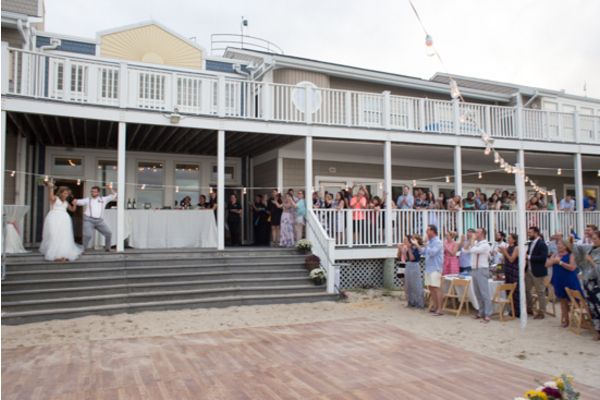 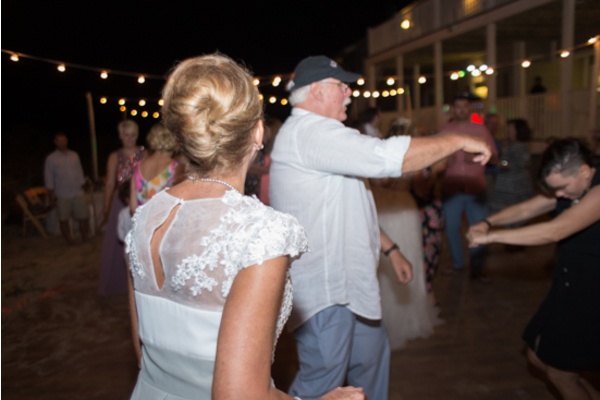 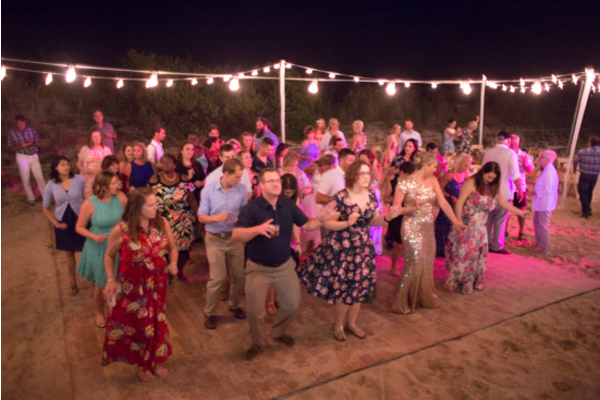 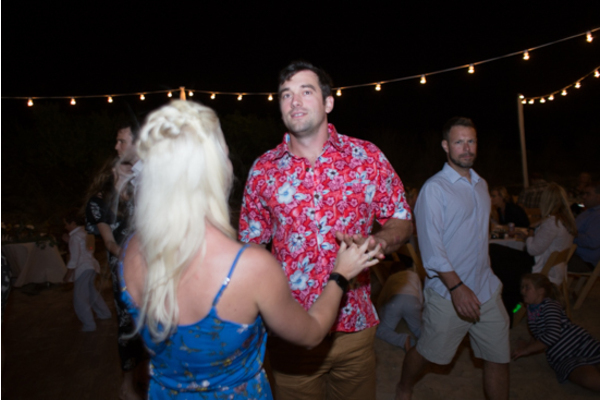 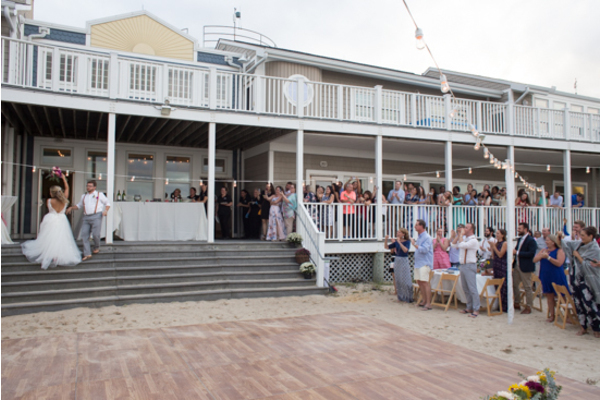 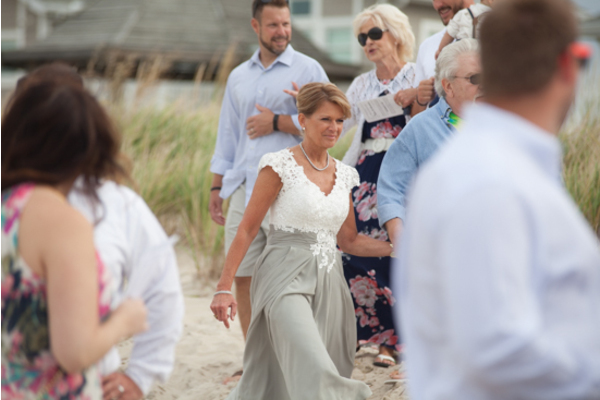 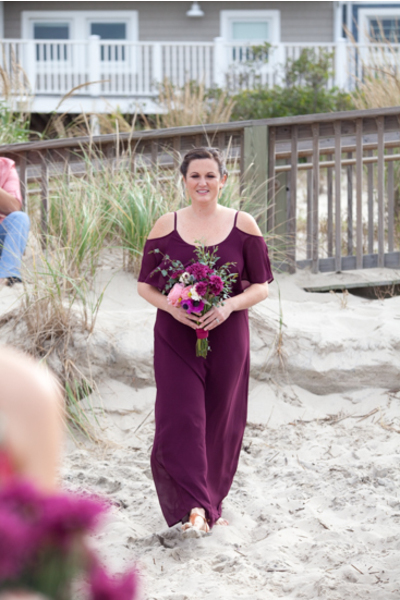 This reception was nothing short of magical, held outside on the beach guests had a blast watching the bridal party make their entrance. 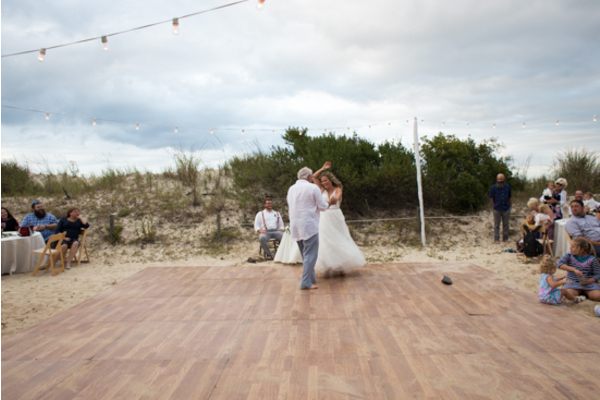 Amanda and Tyler shared their first dance together which was followed by Amanda and her father sharing one as well. 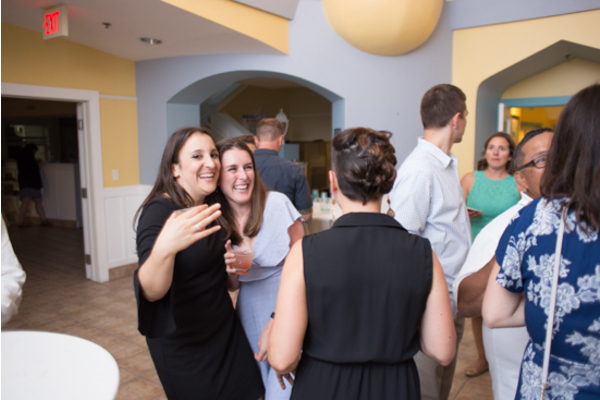 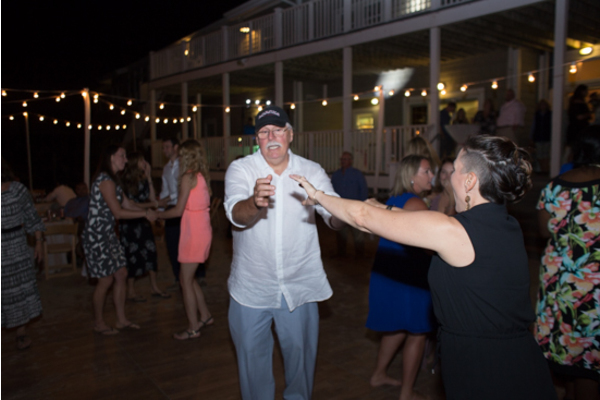 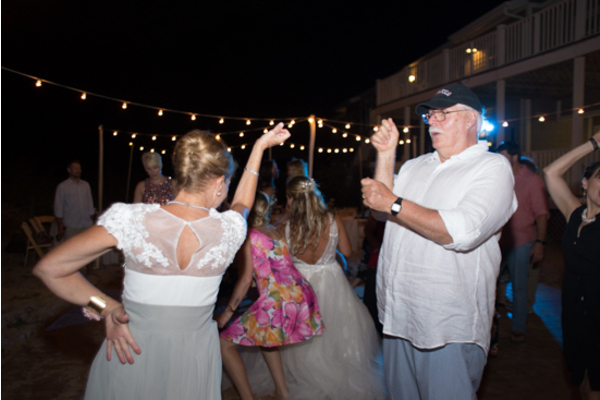 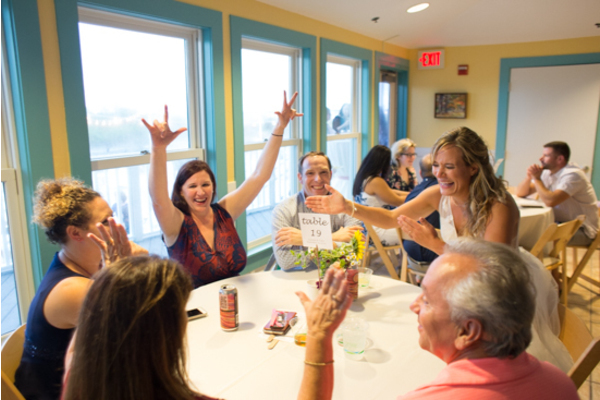 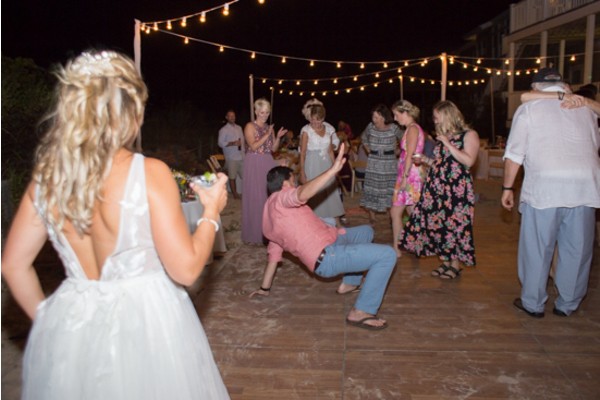 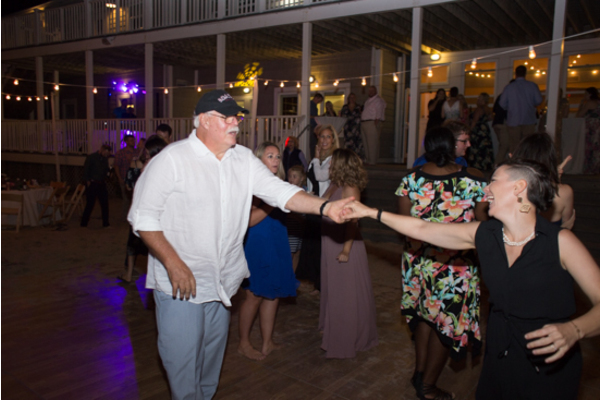 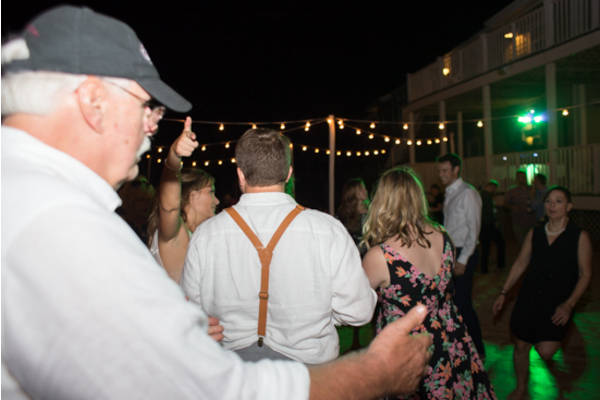 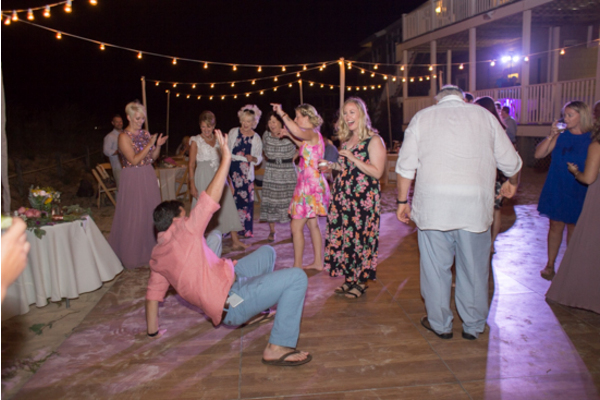 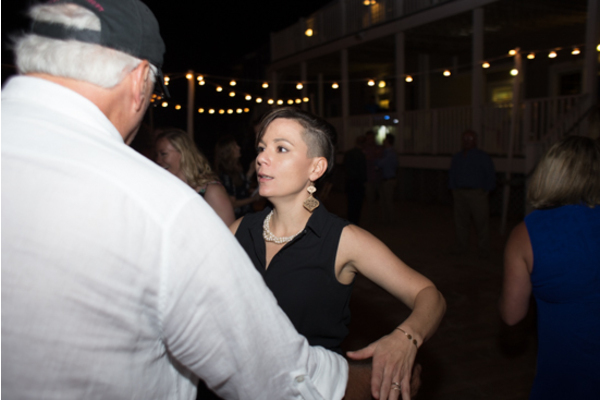 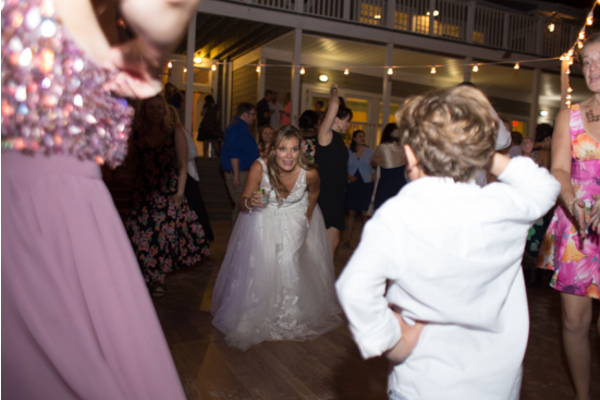 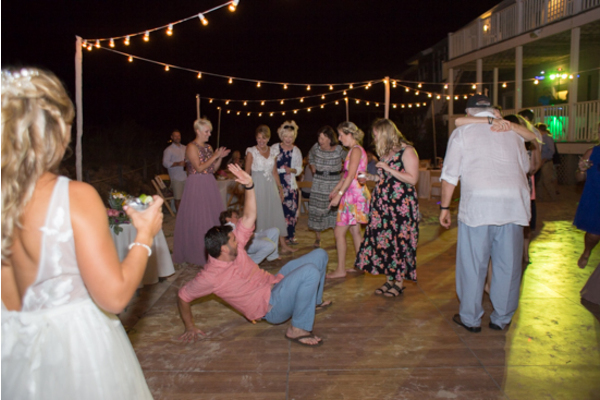 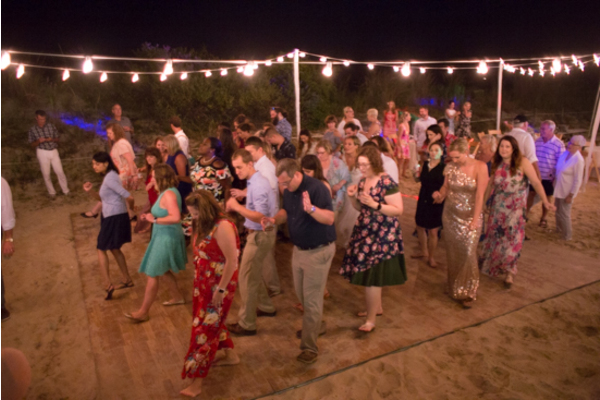 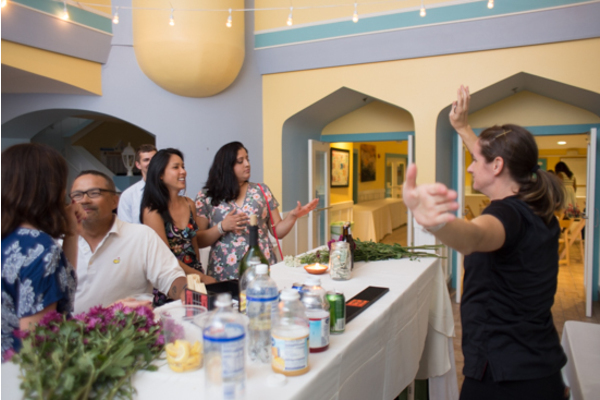 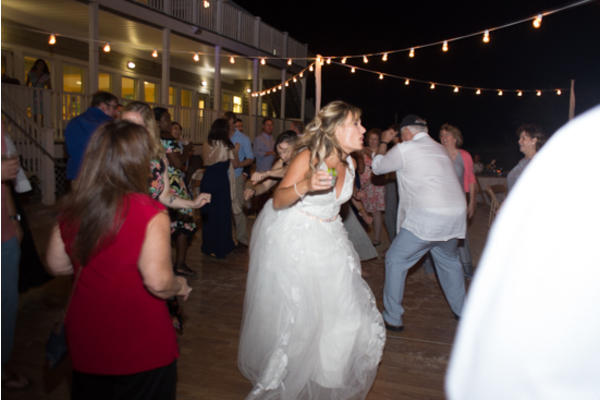 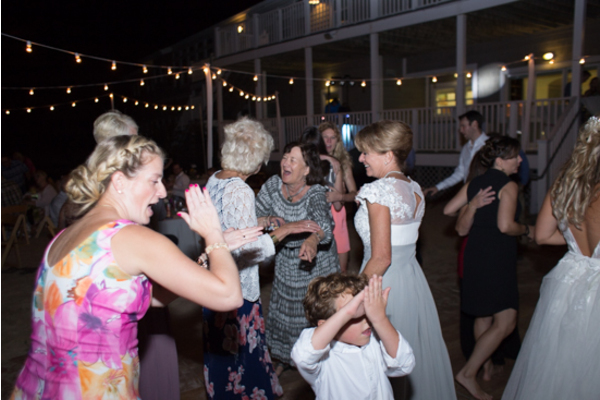 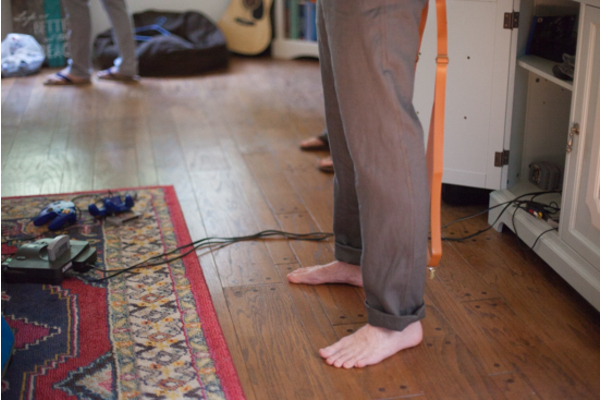 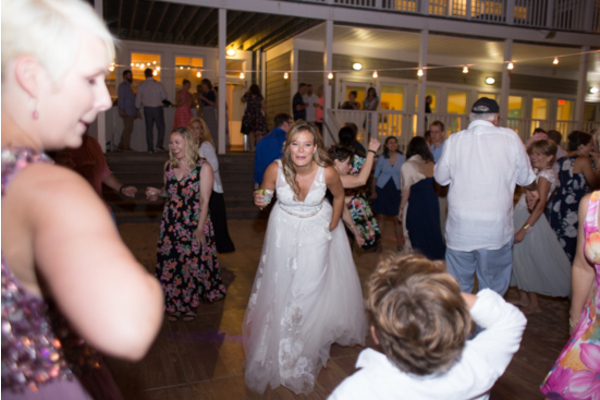 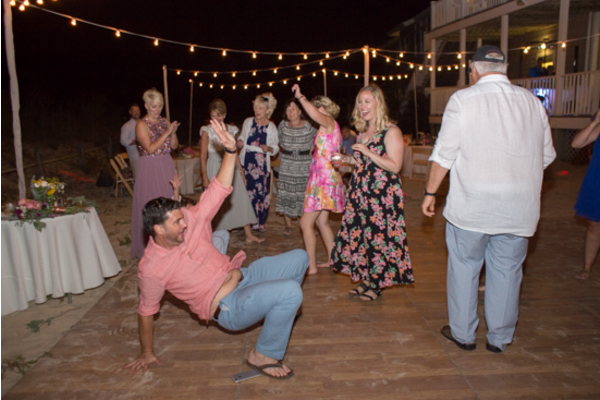 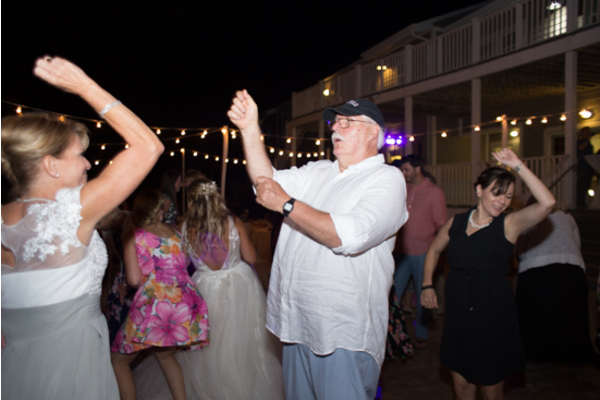 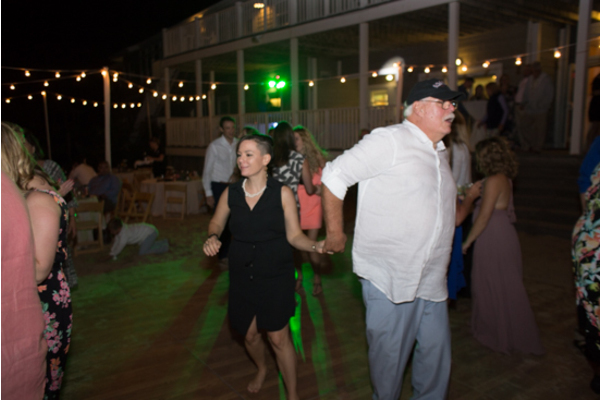 Our NJ Wedding Photographer didn’t miss a beat of this special fun dance. 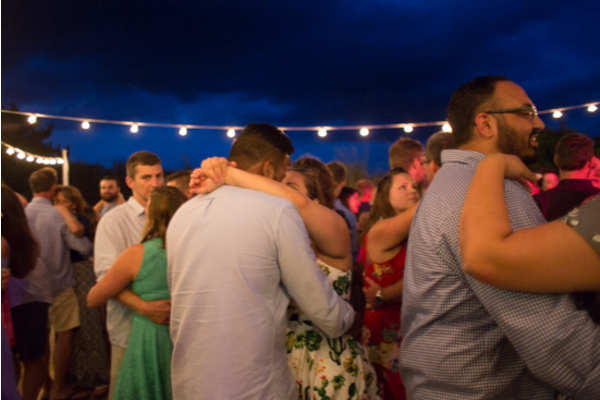 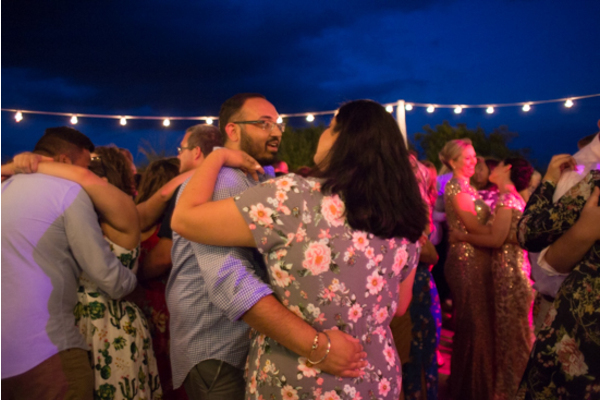 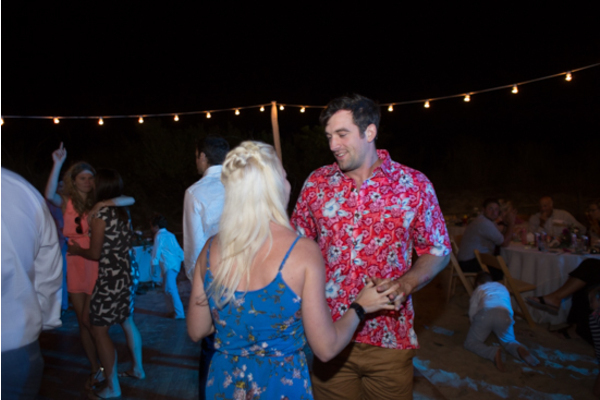 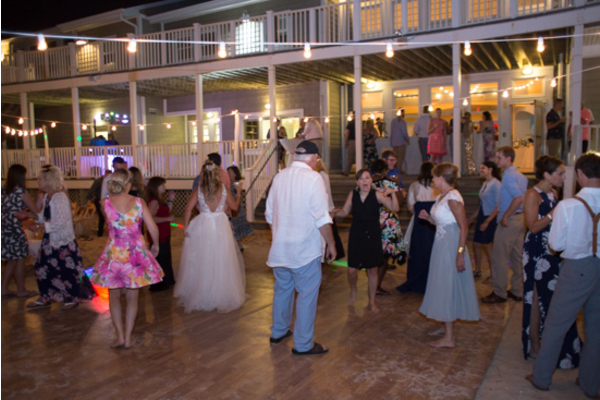 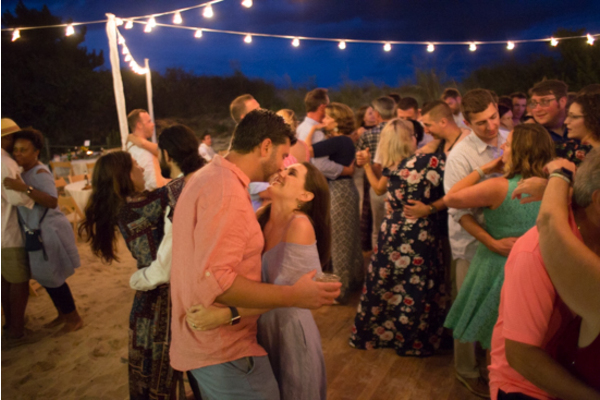 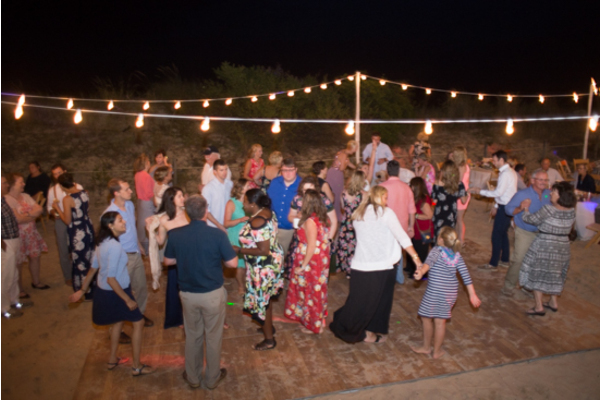 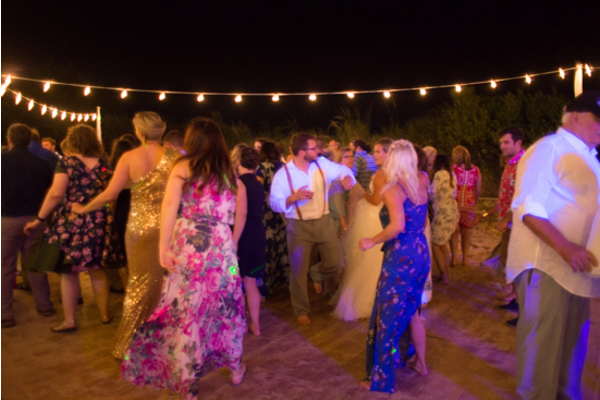 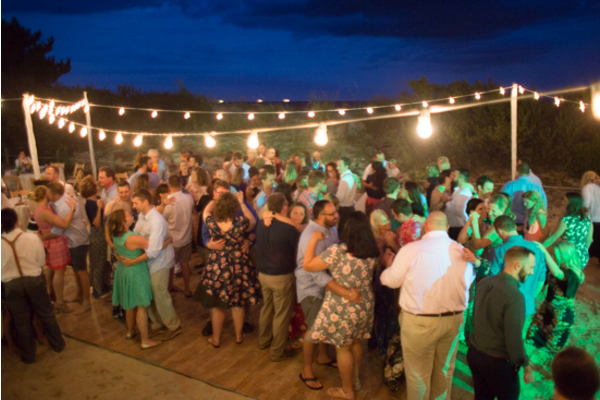 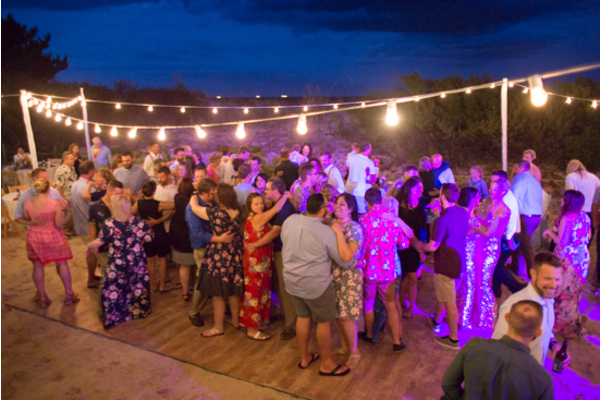 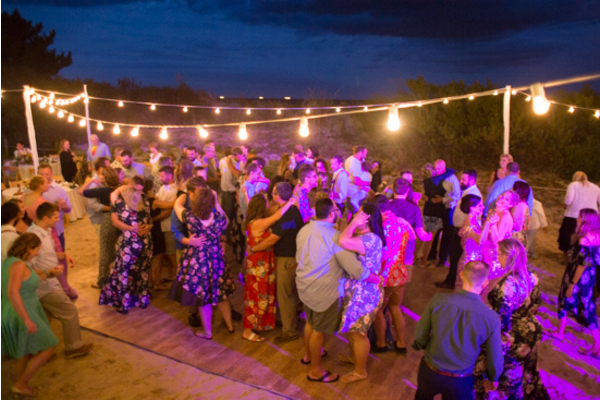 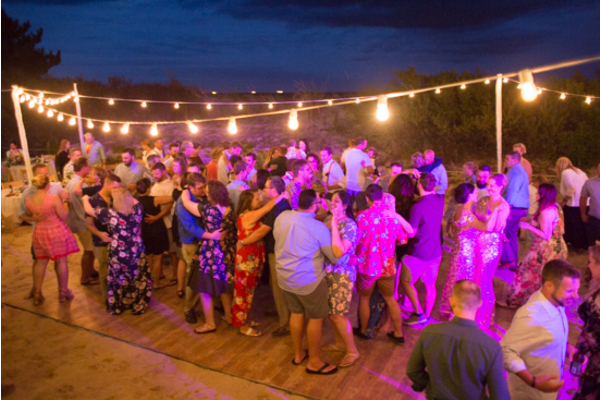 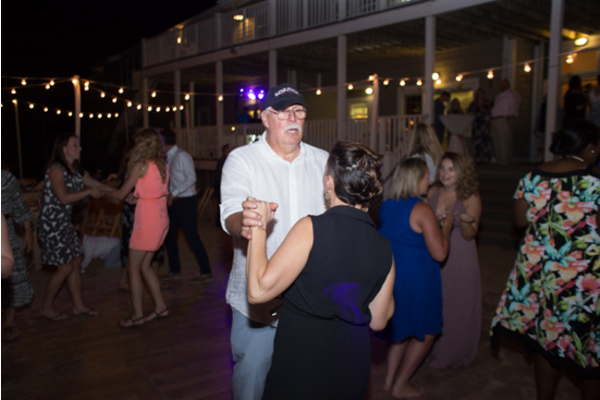 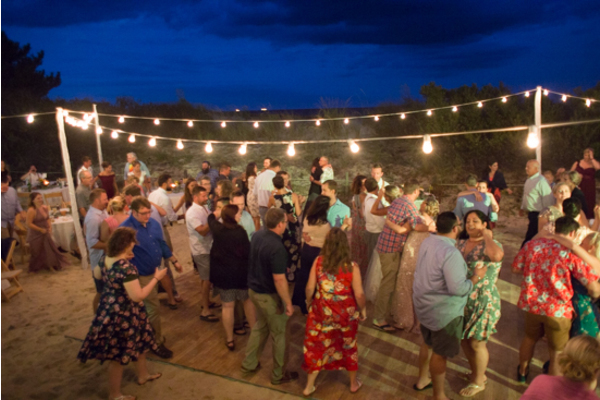 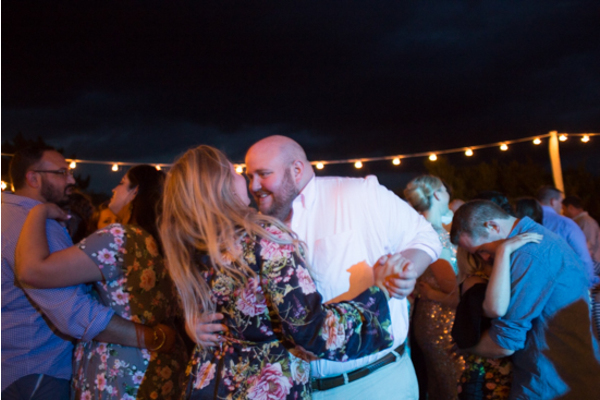 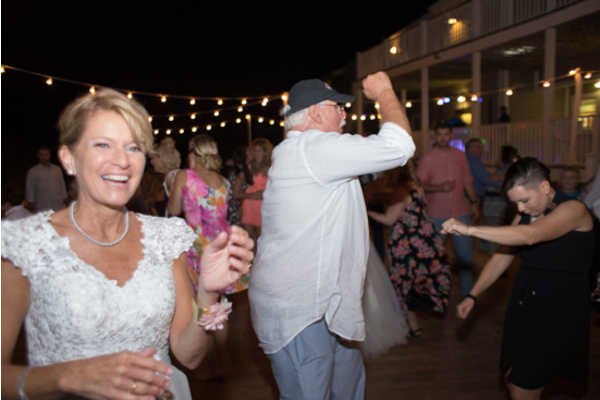 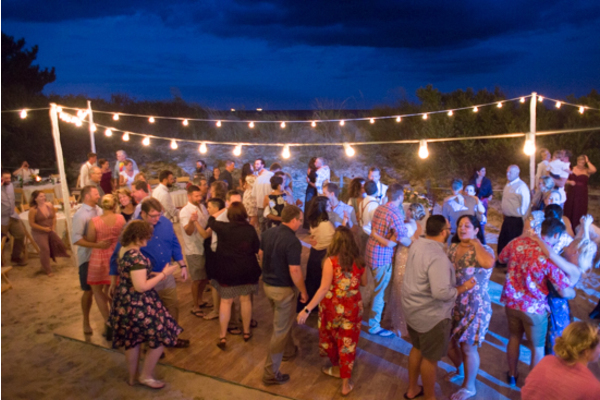 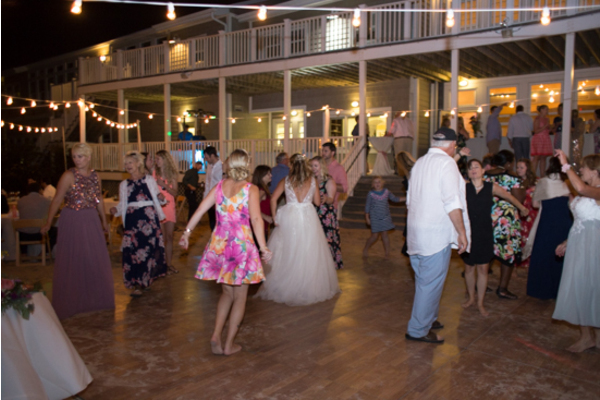 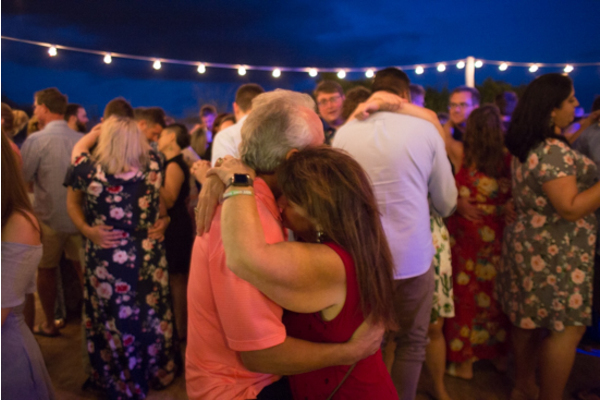 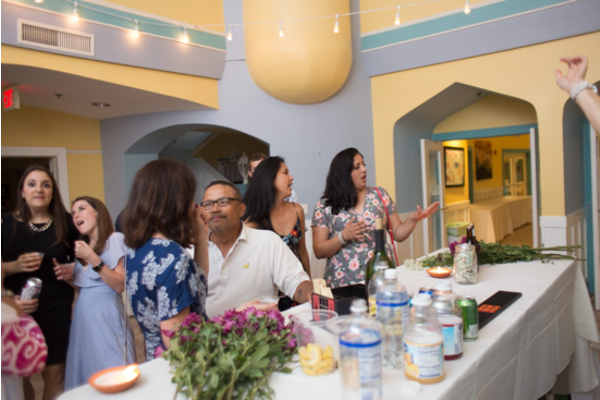 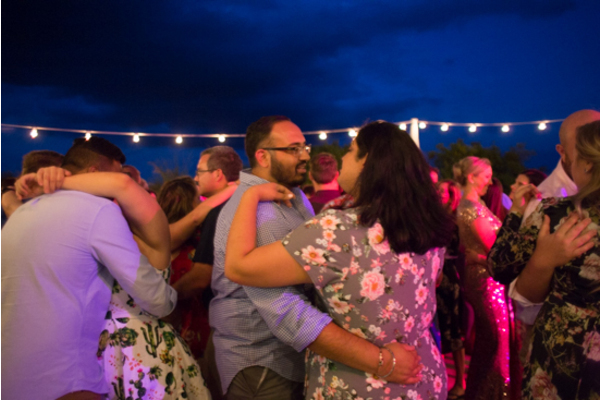 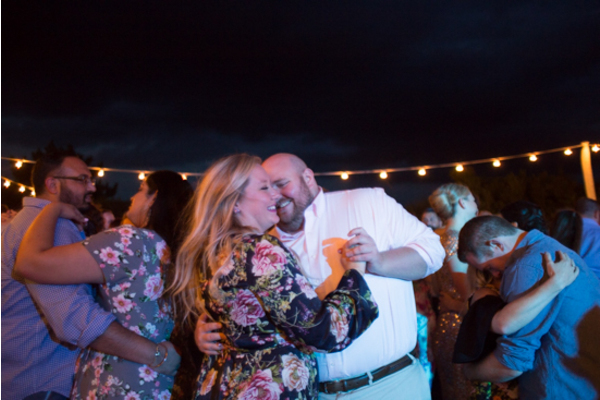 Once the speeches and cake cutting took place, guests spent the remainder of the night dancing under beautiful lights unable to hide the love they had for the newlyweds. 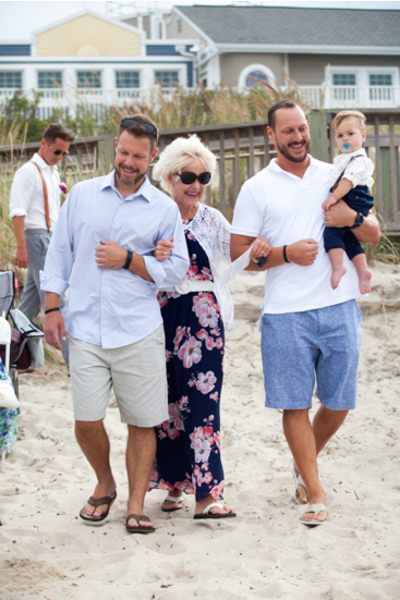 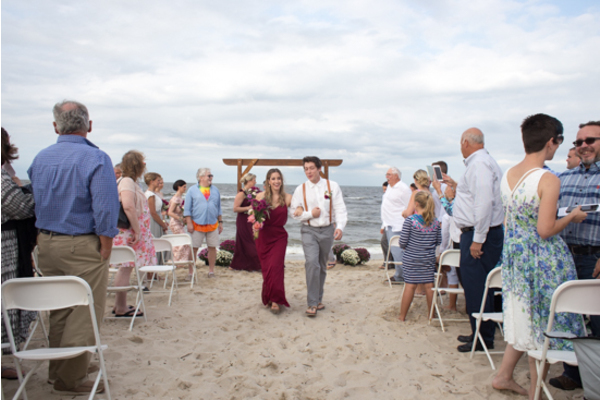 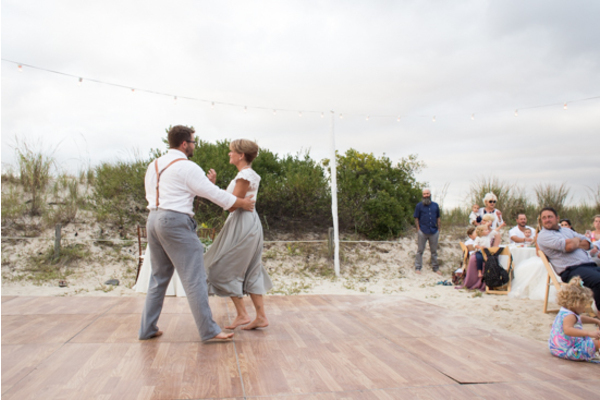 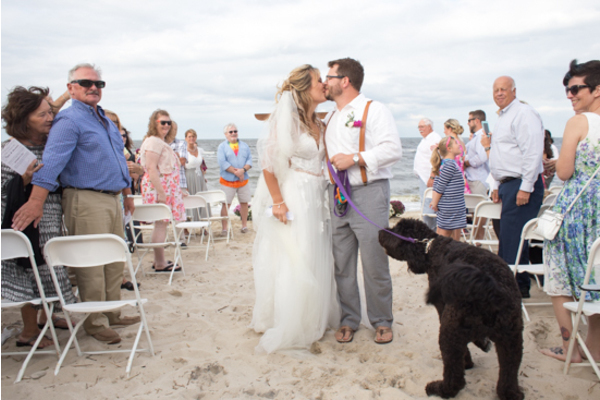 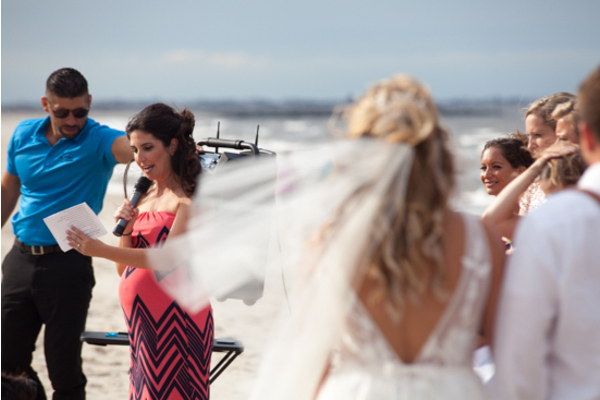 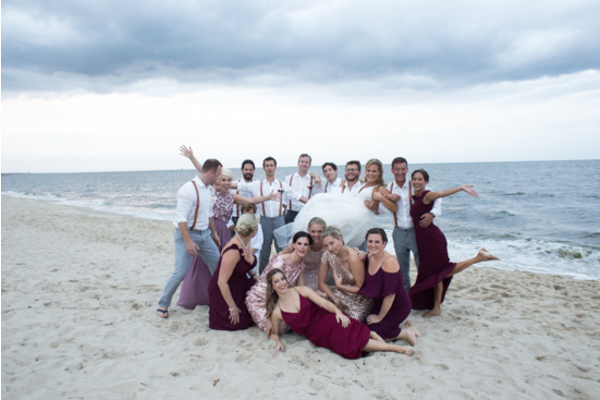 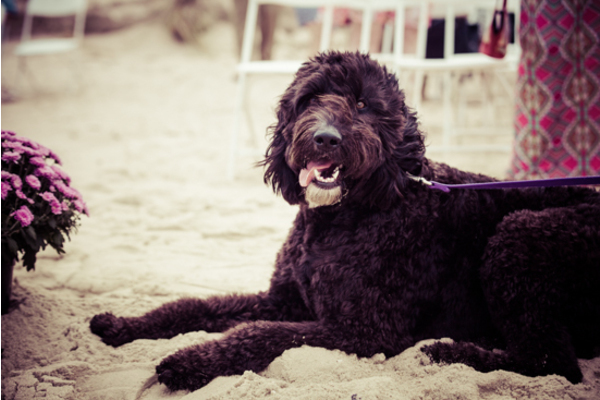 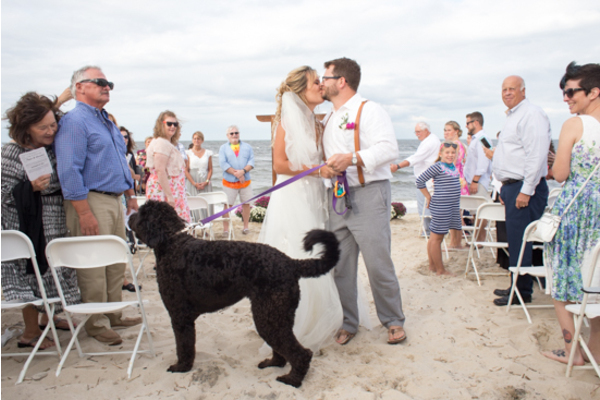 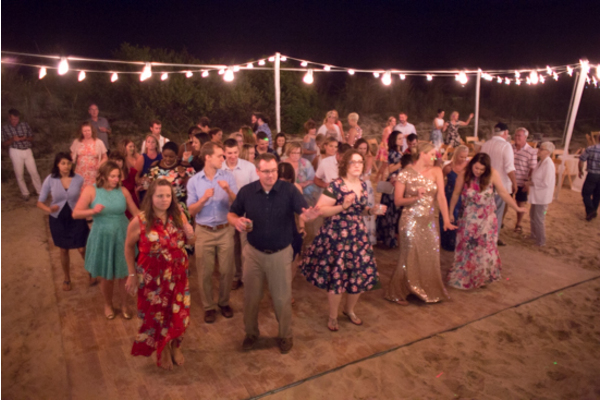 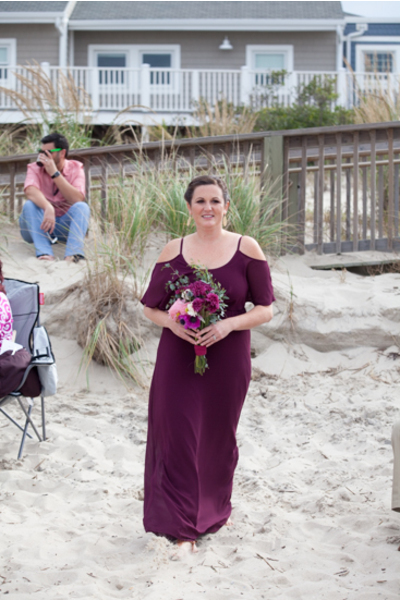 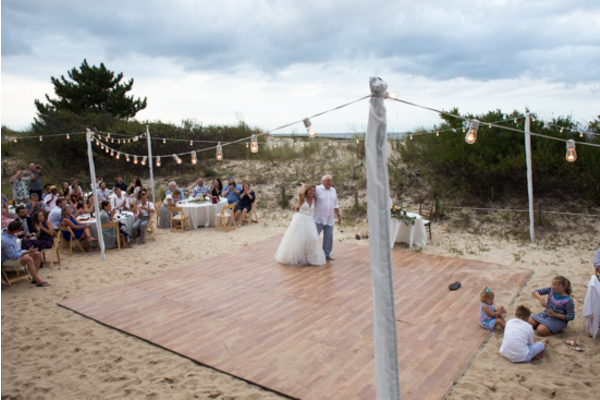 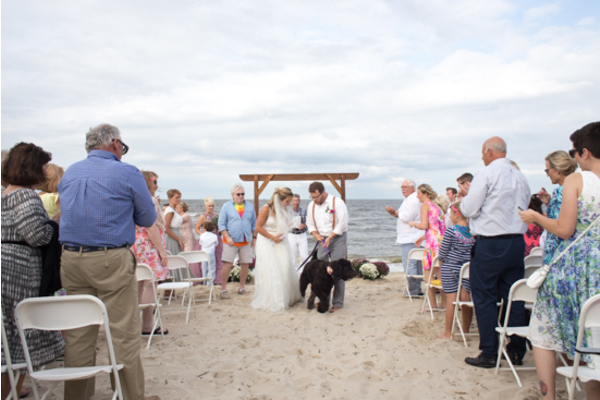 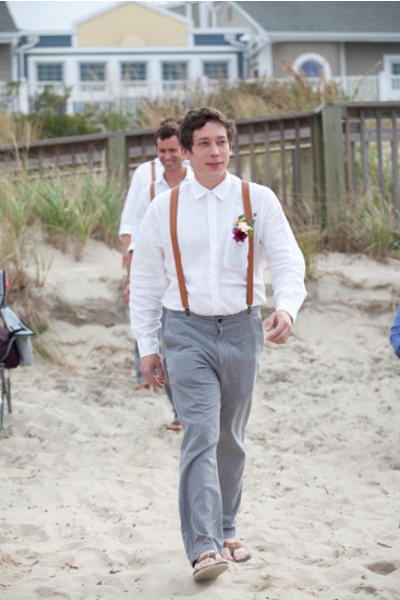 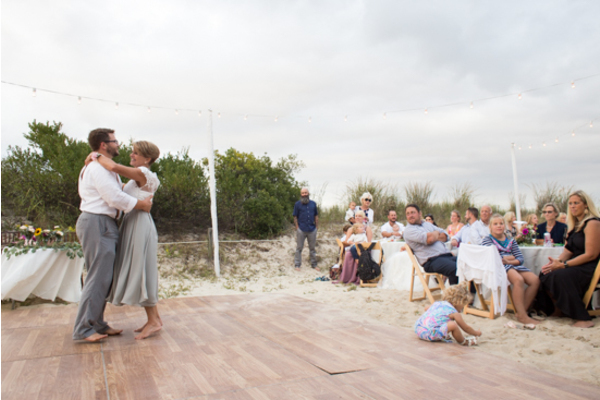 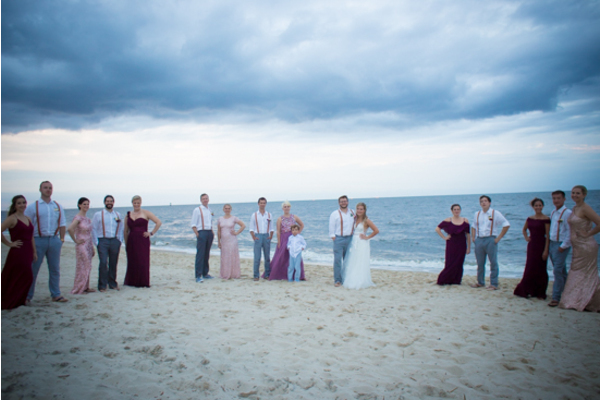 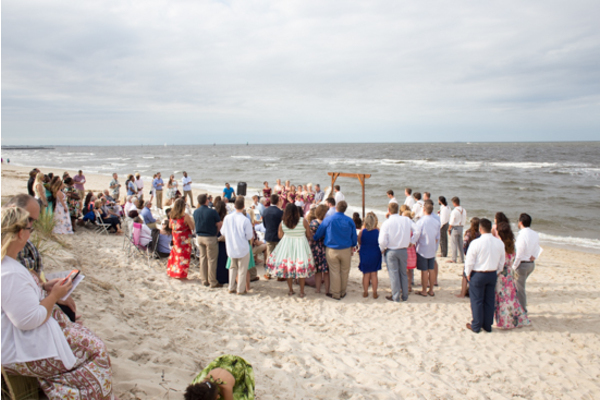 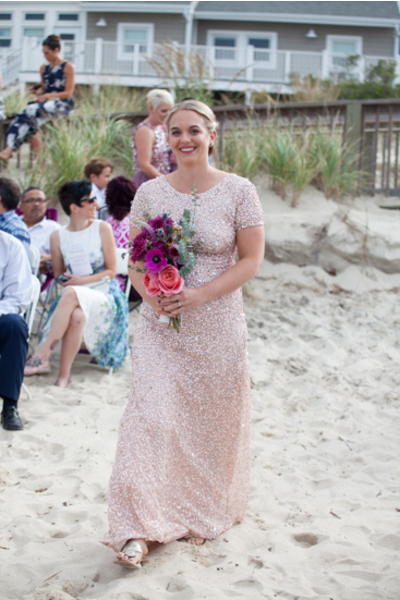 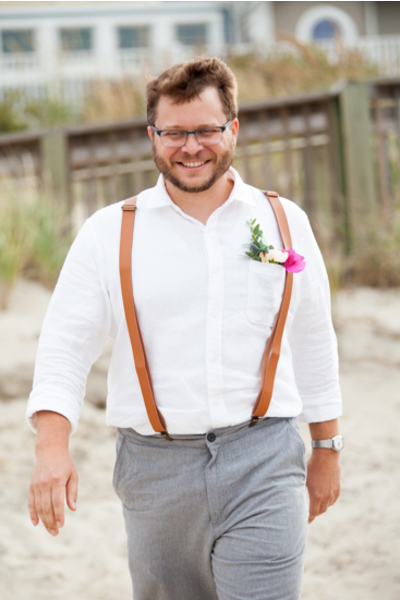 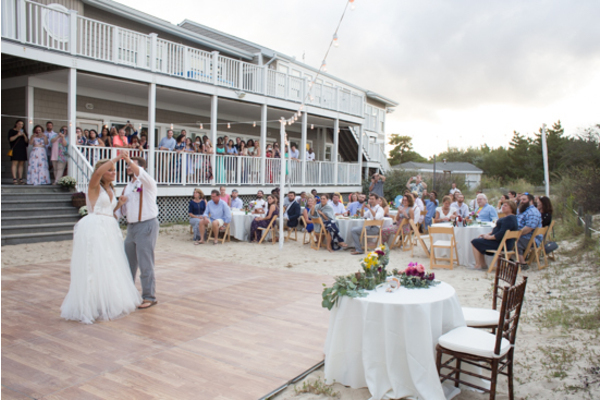 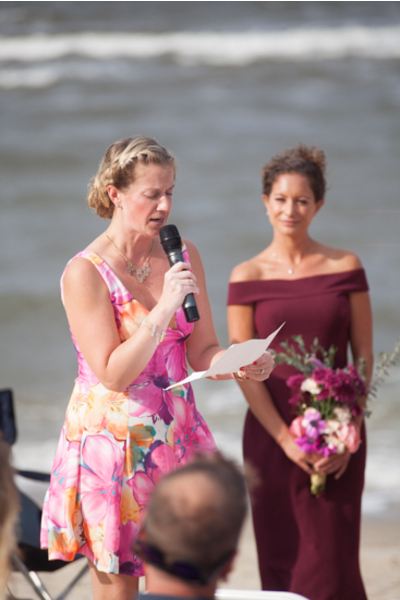 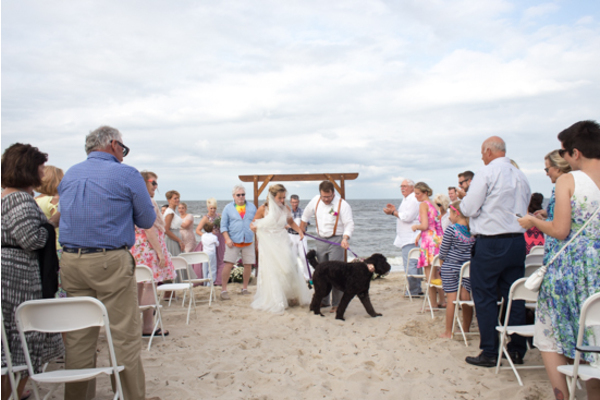 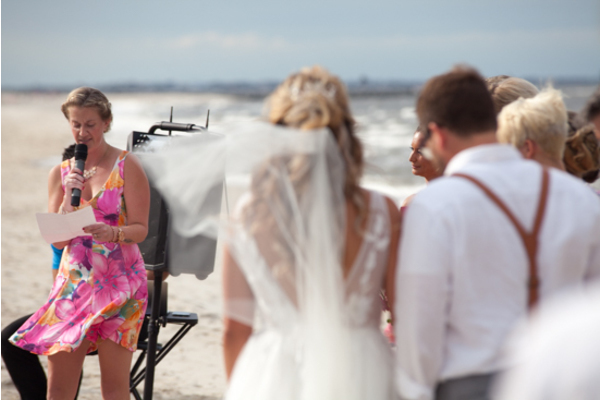 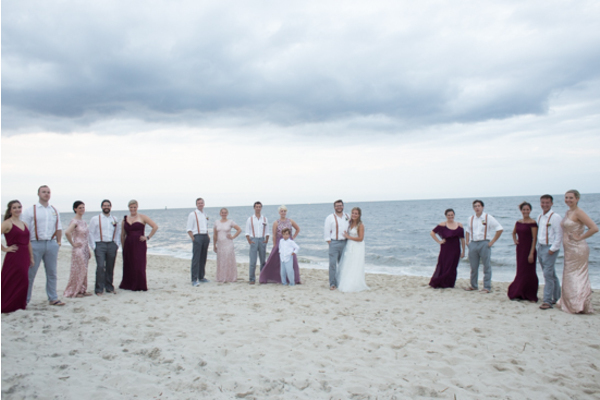 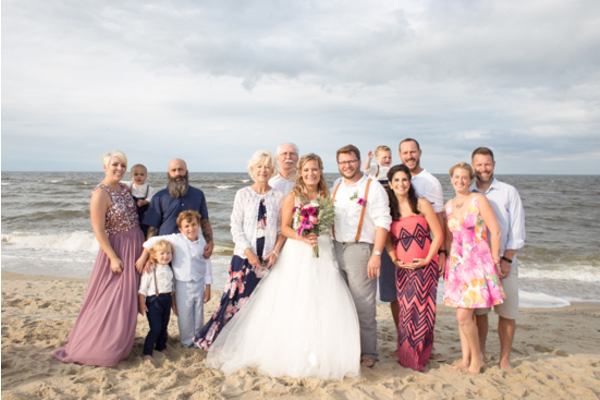 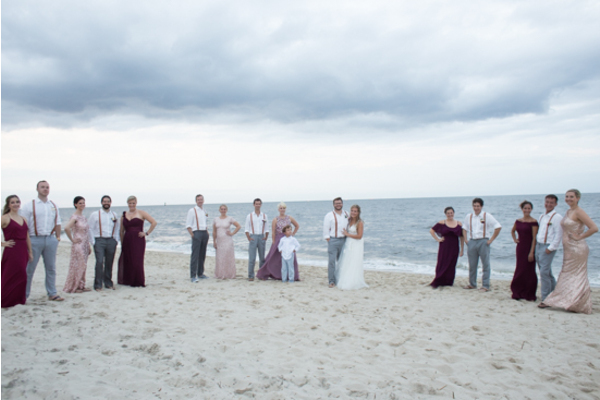 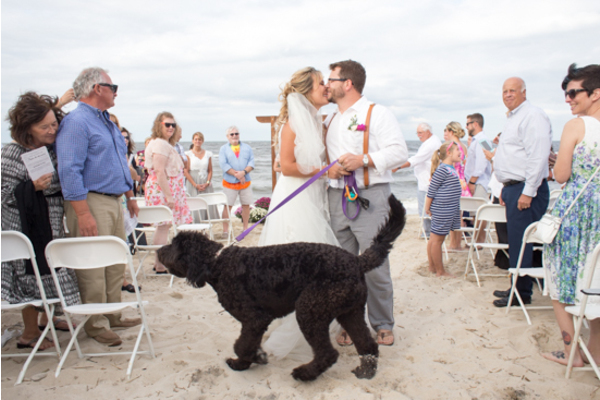 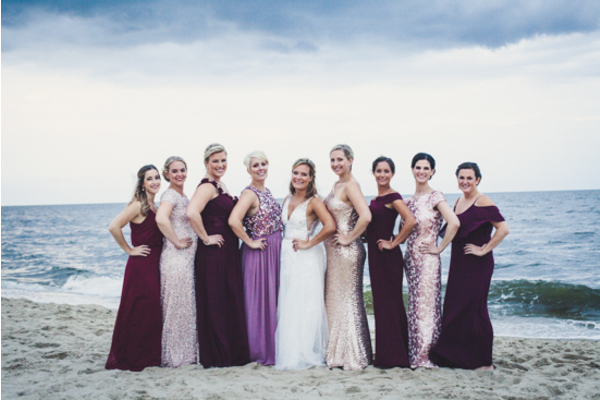 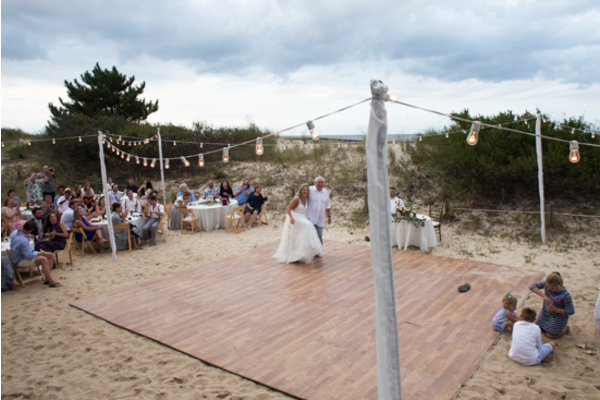 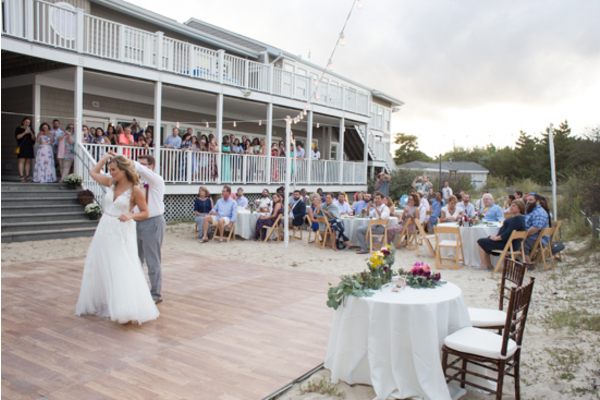 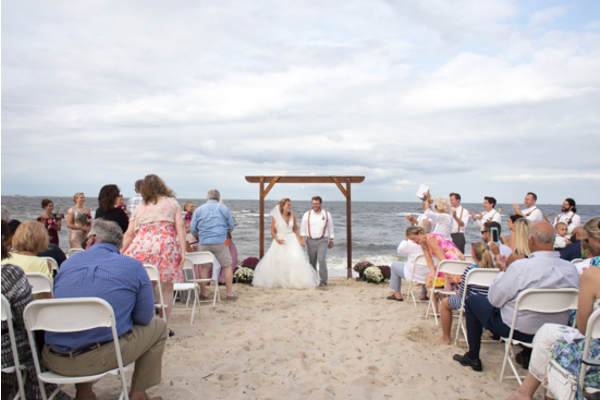 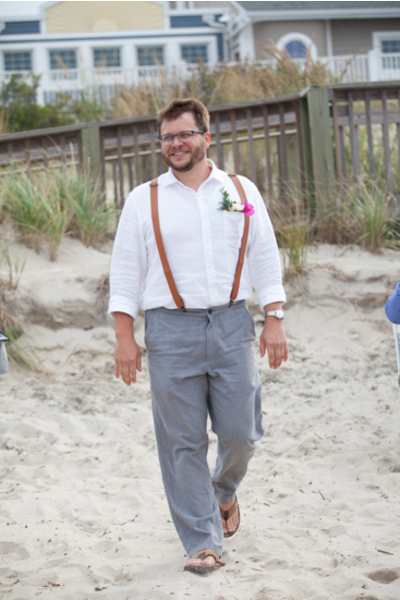 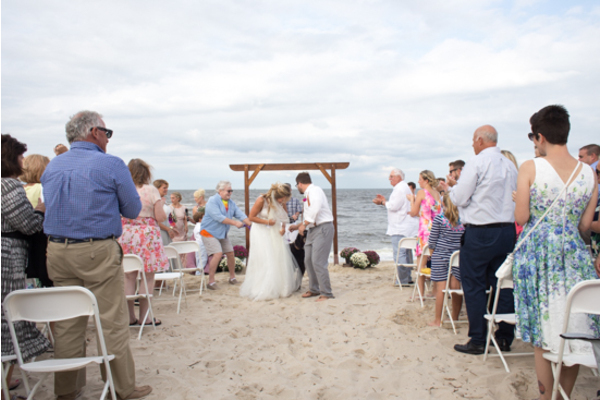 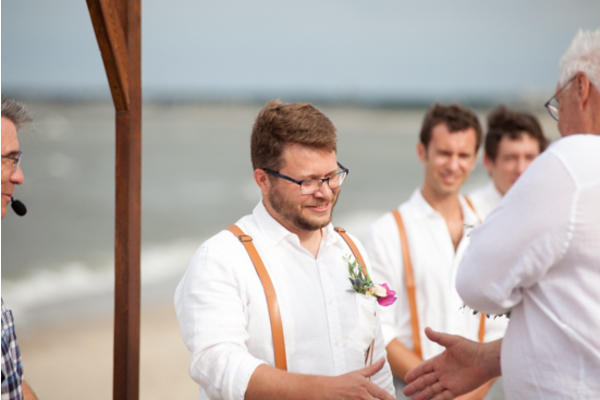 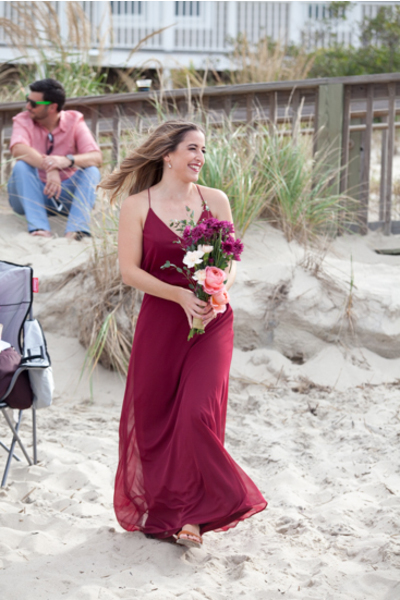 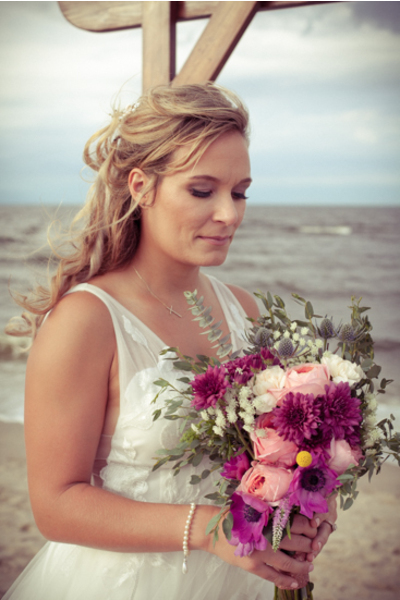 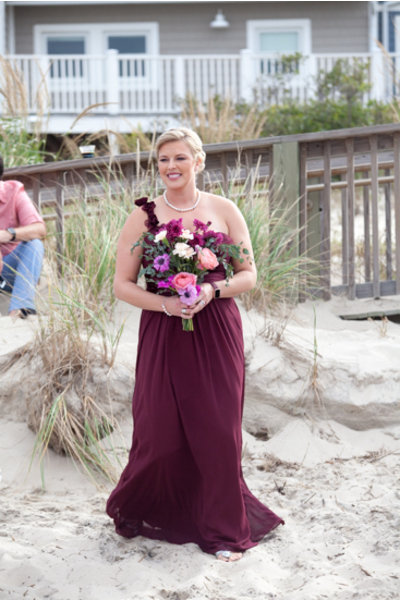 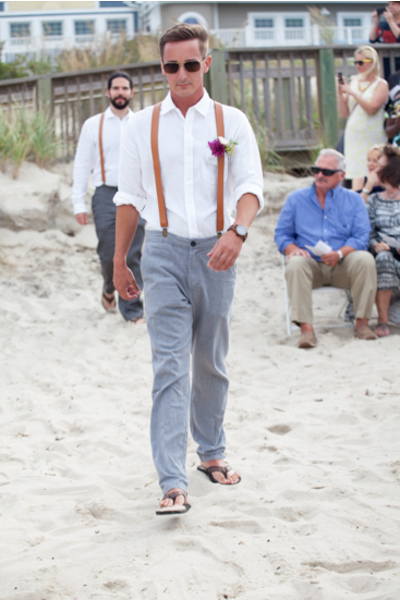 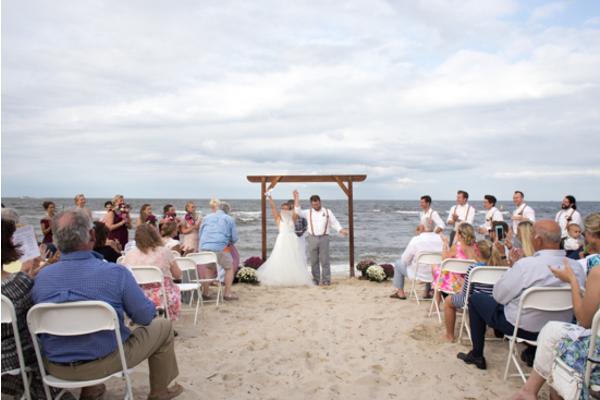 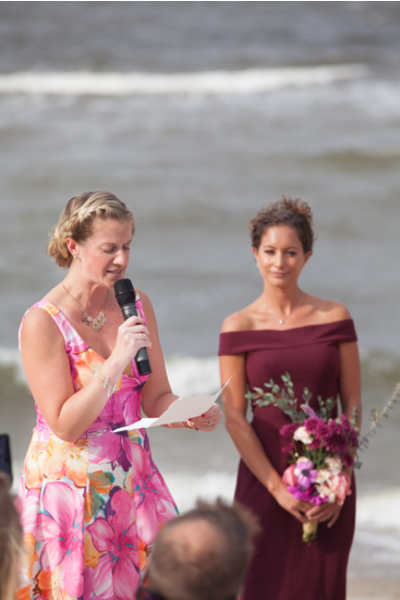 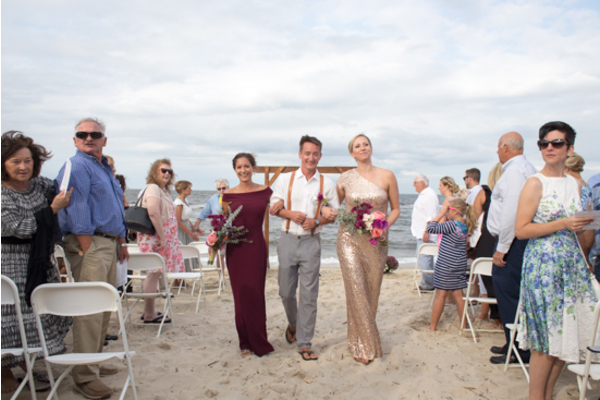 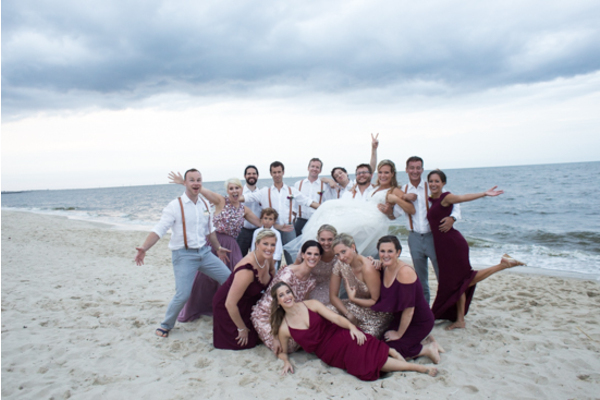 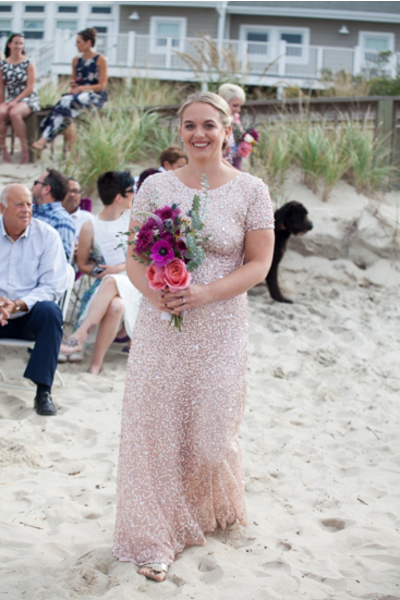 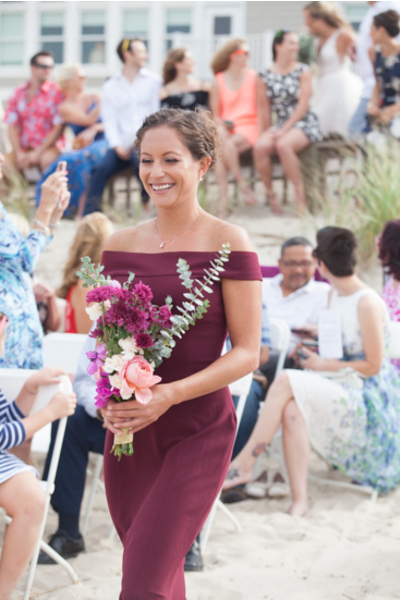 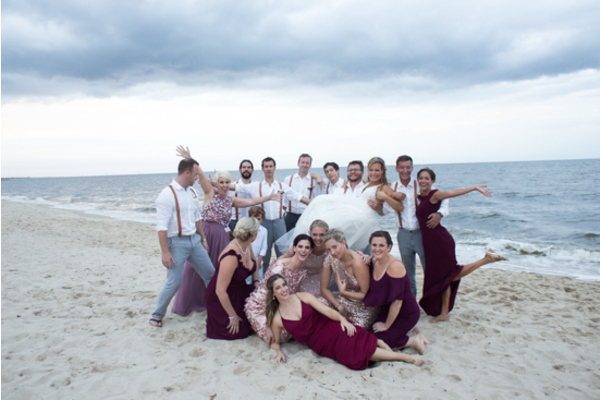 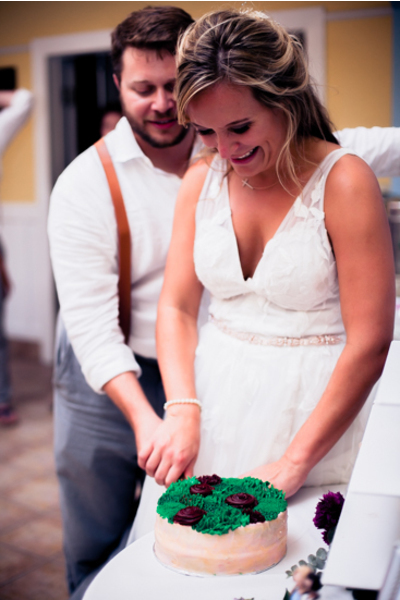 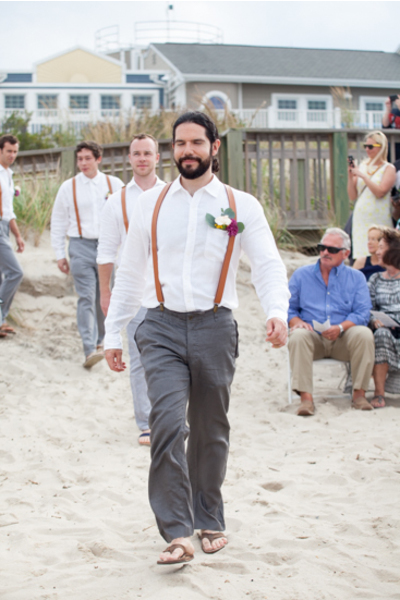 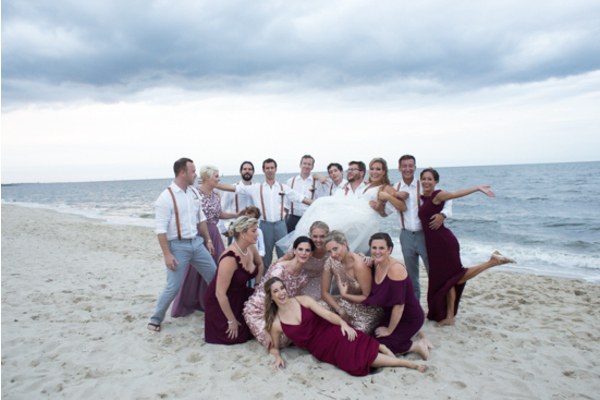 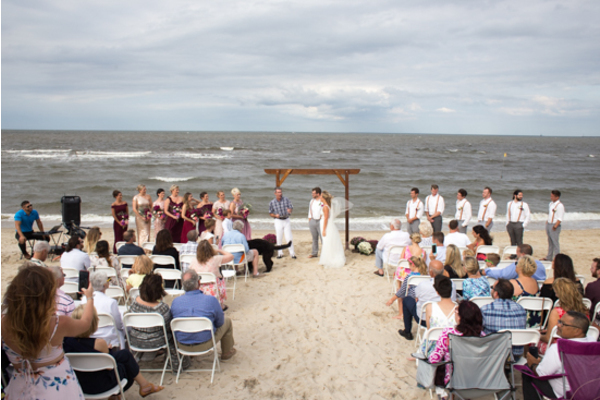 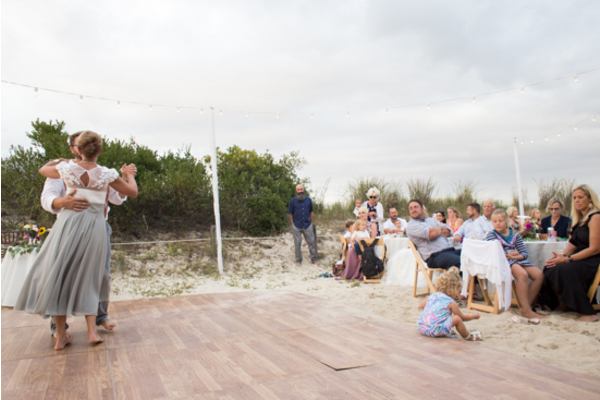 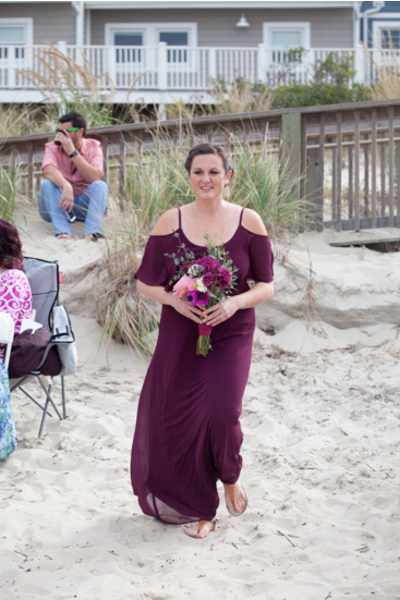 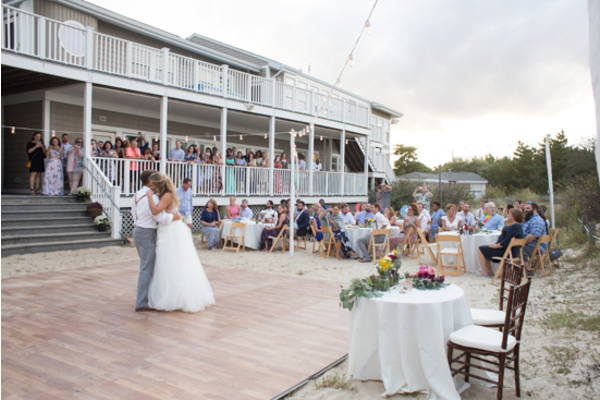 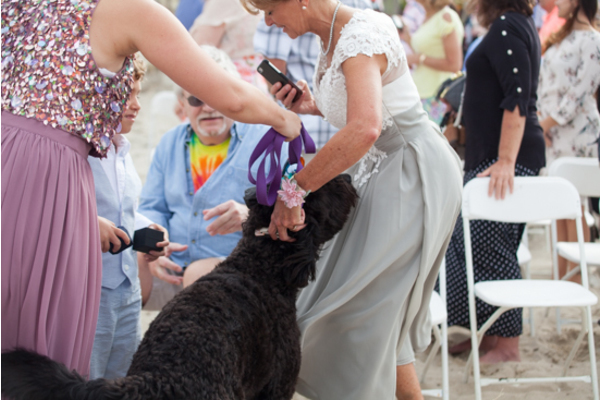 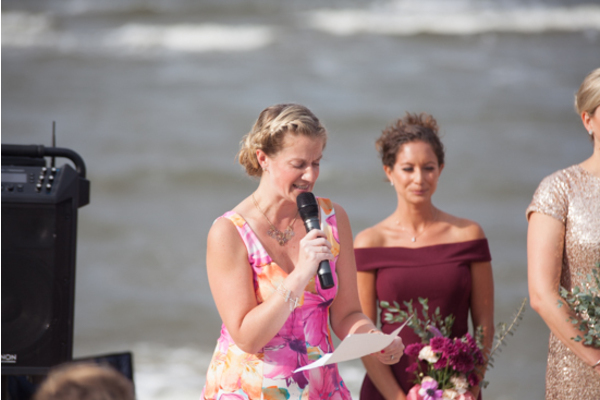 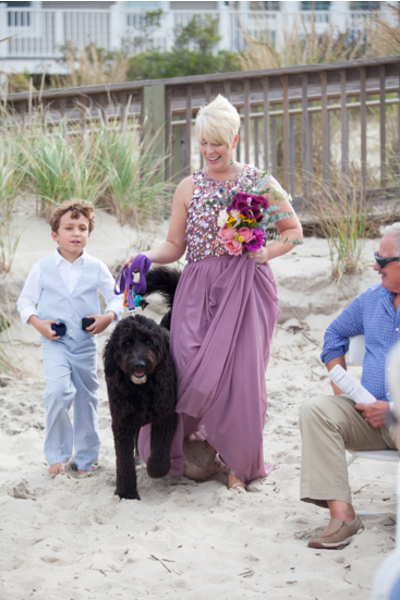 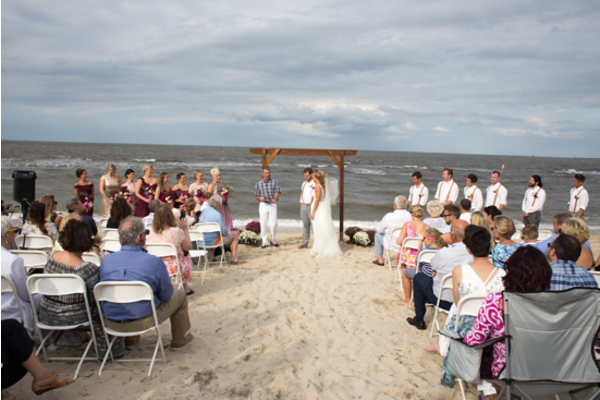 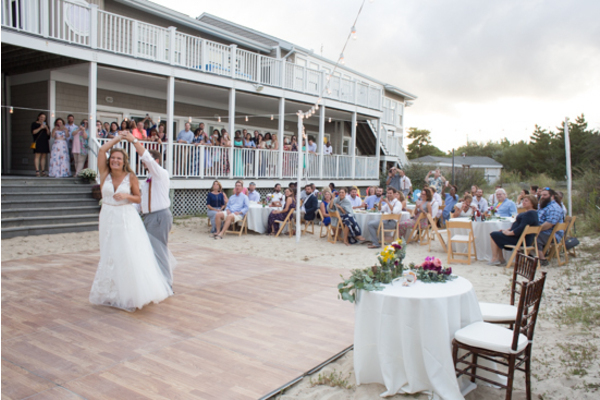 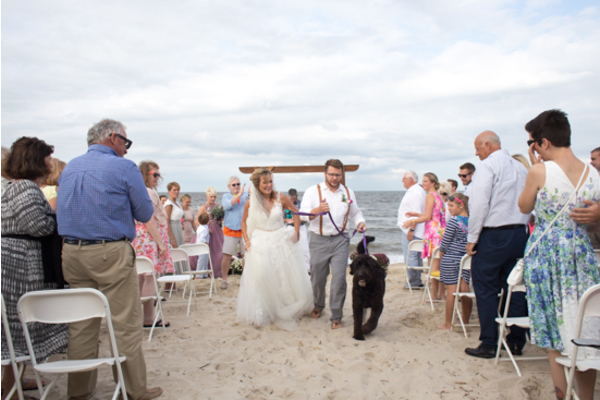 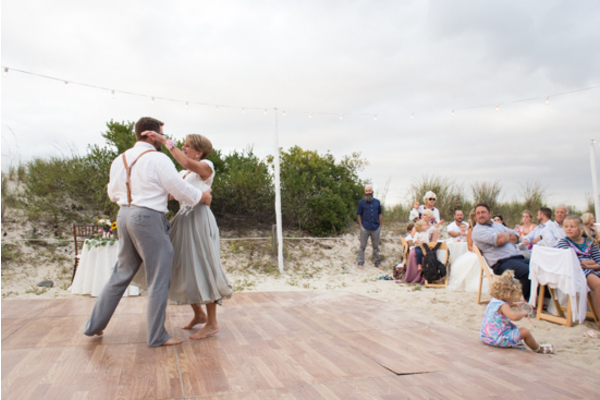 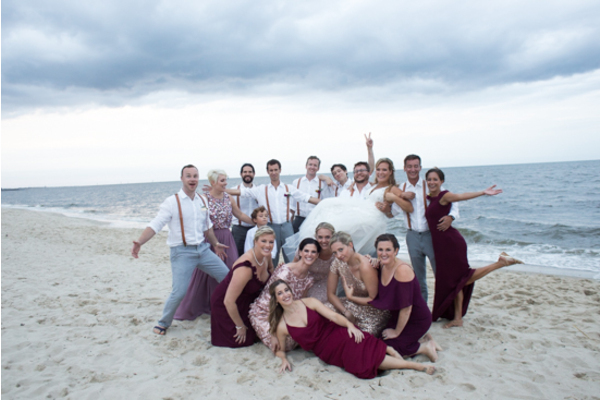 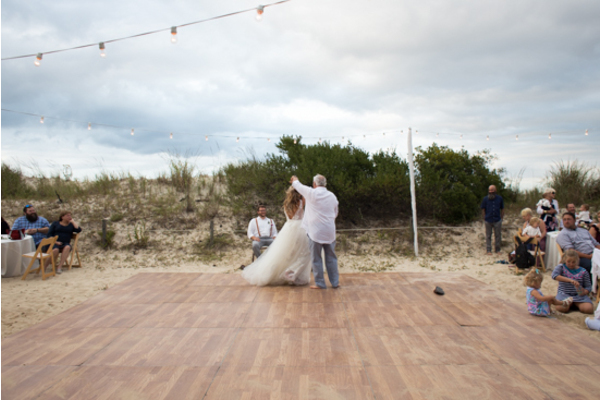 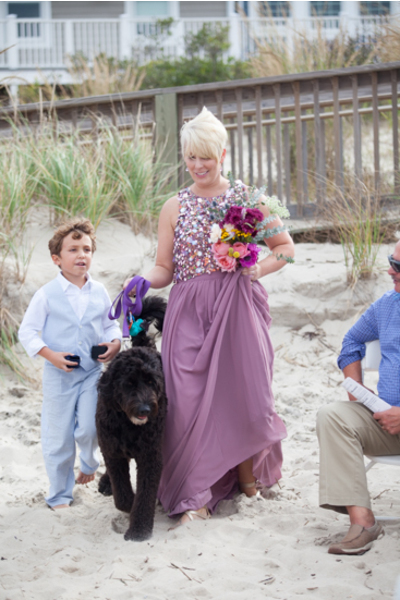 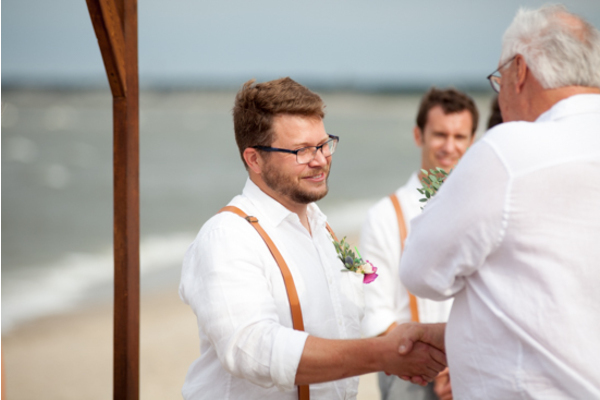 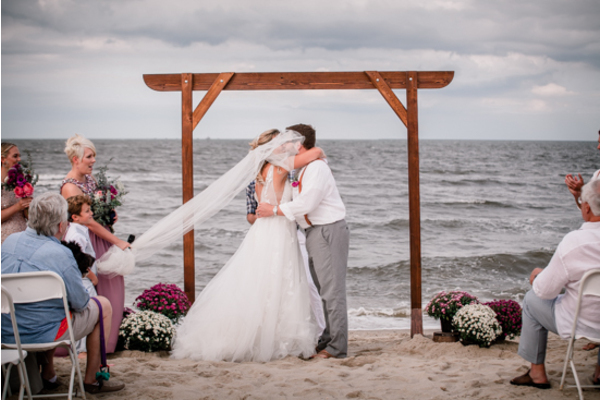 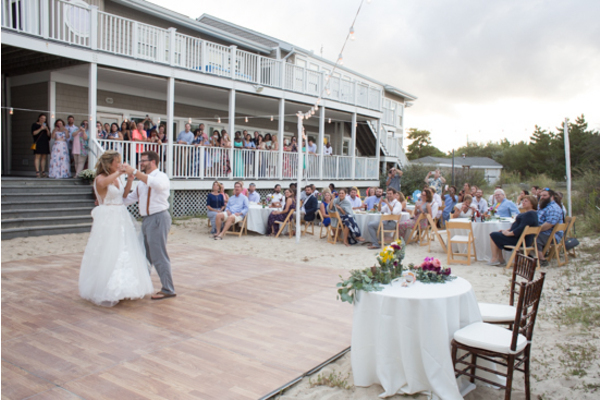 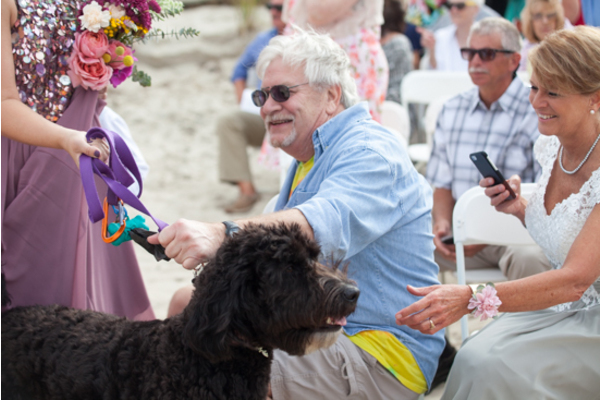 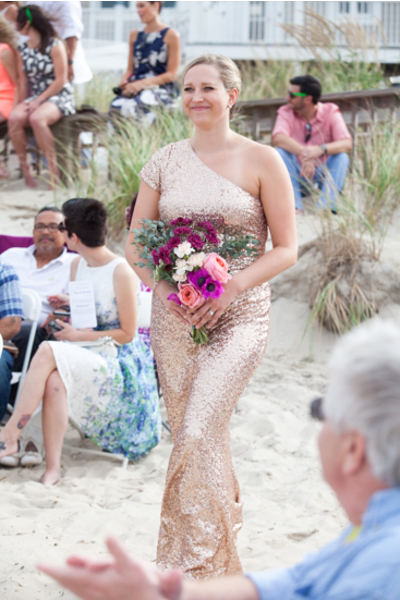 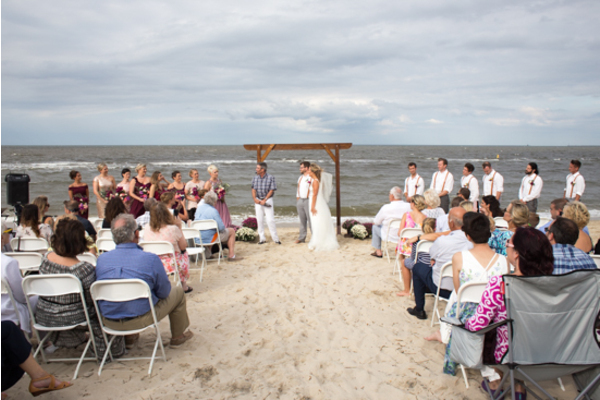 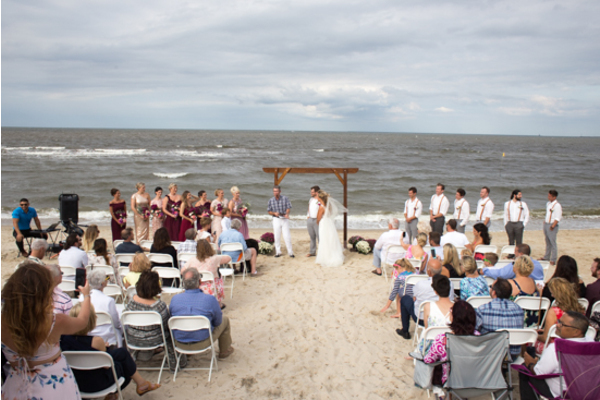 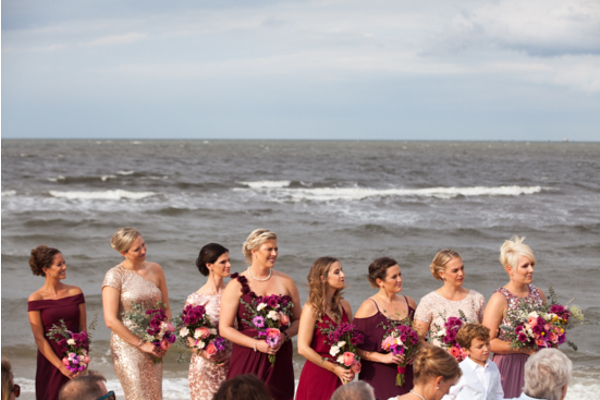 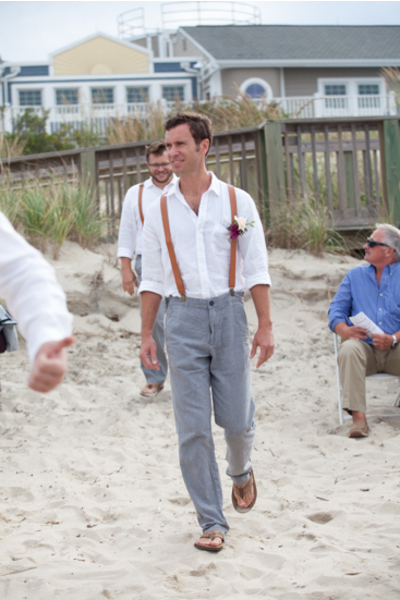 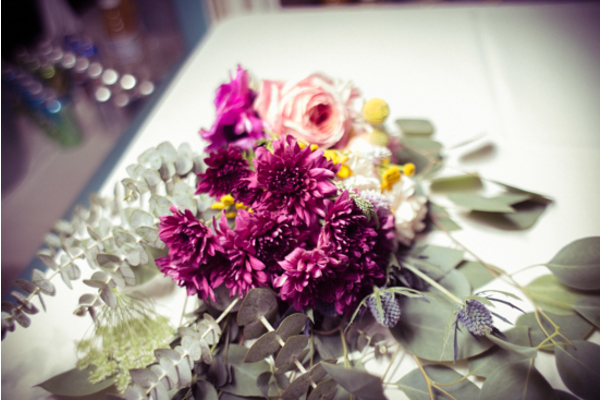 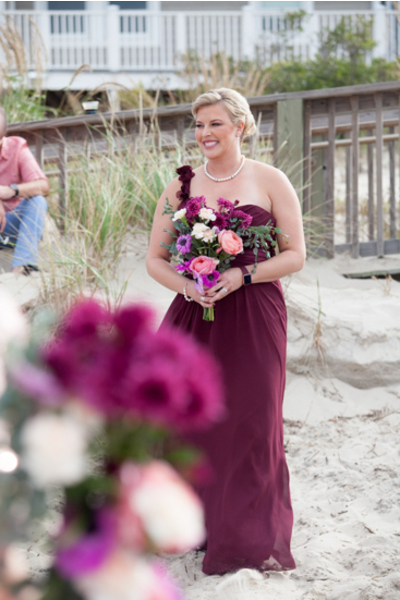 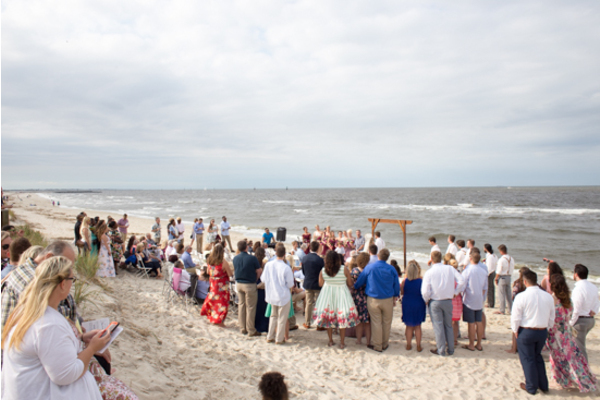 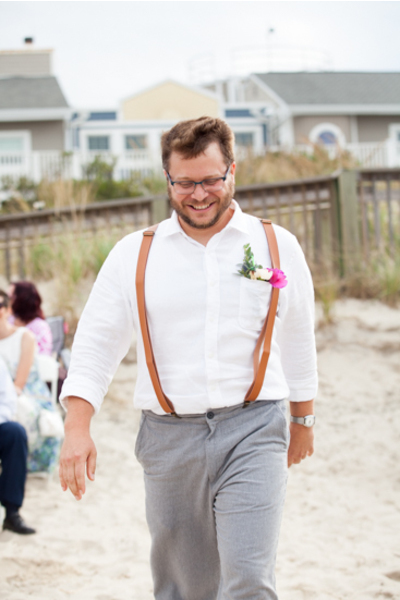 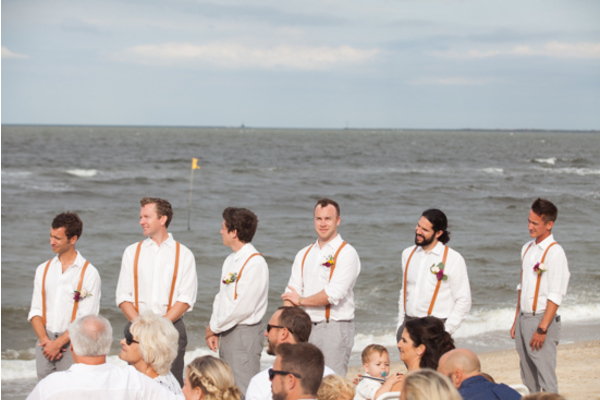 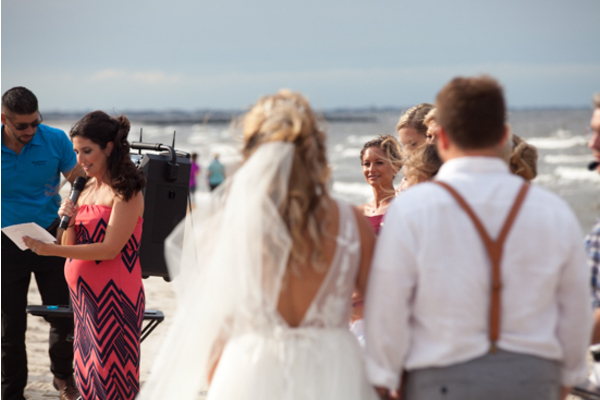 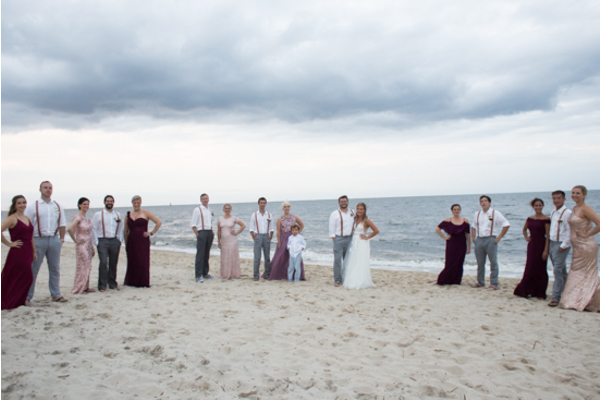 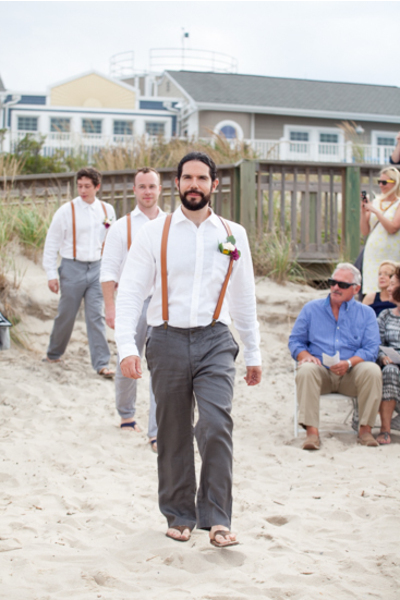 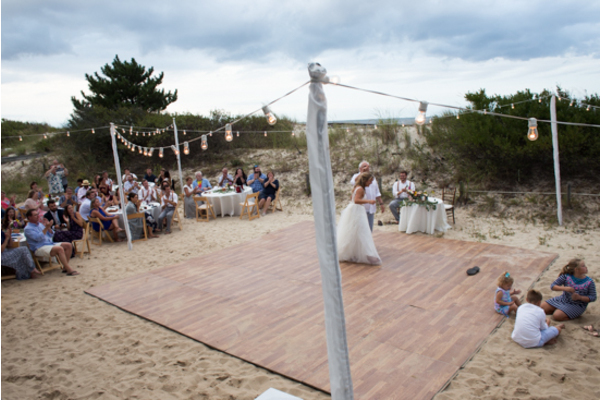 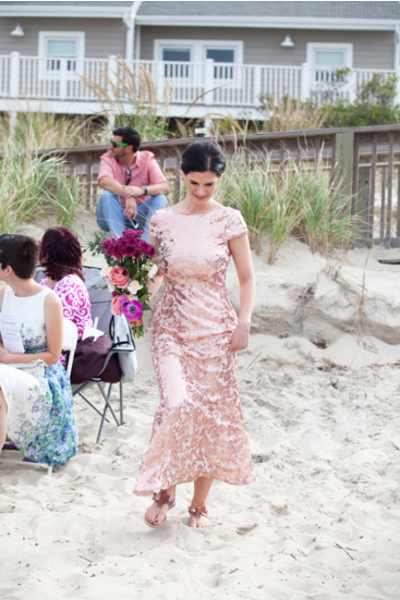 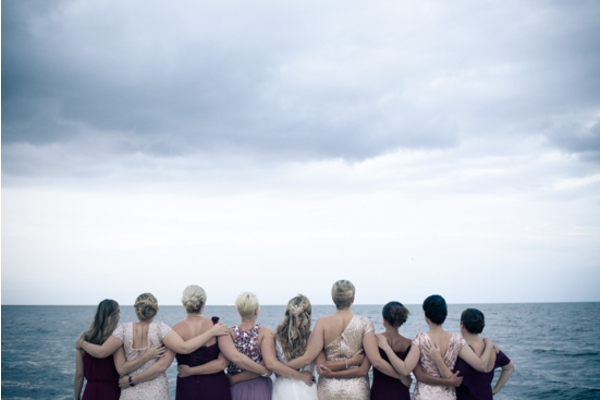 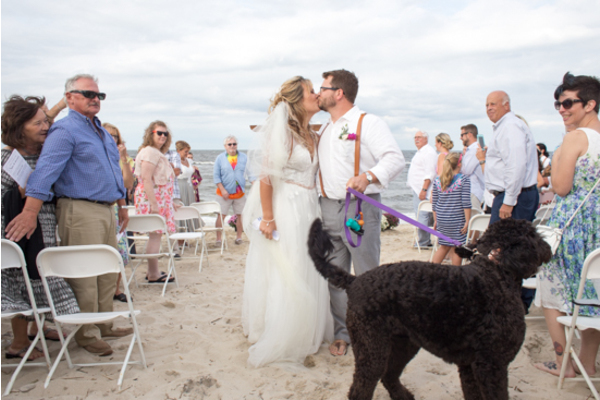 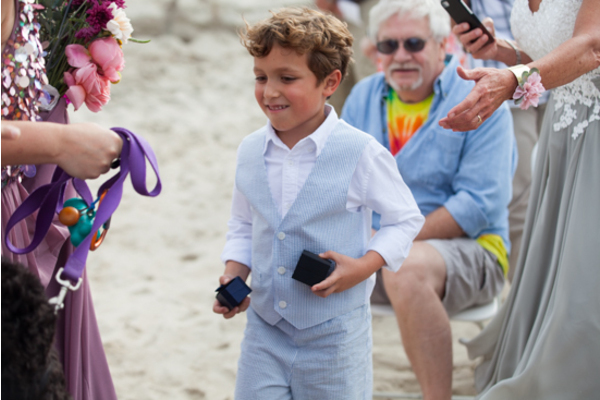 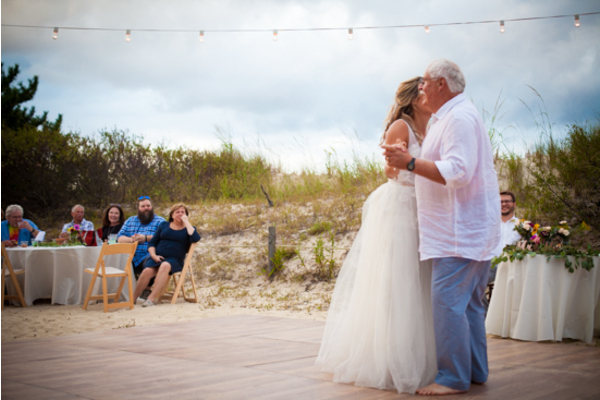 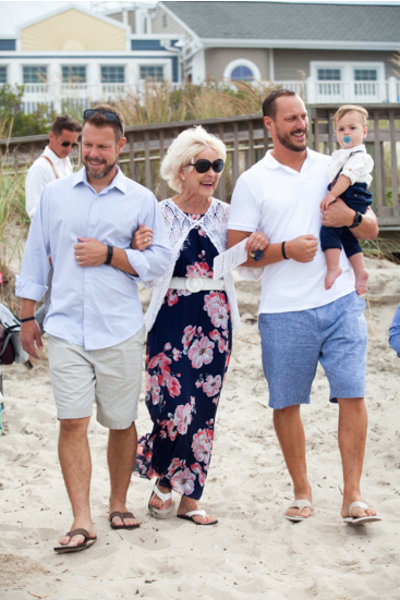 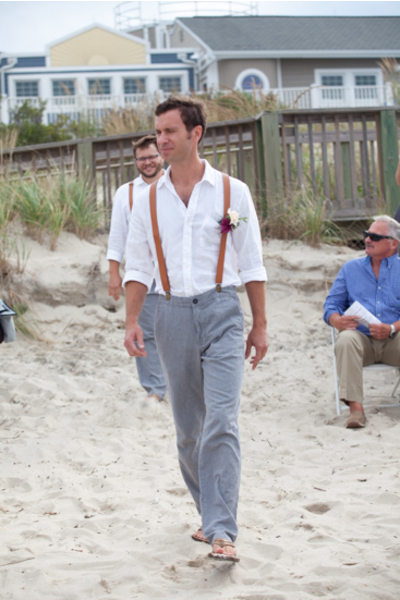 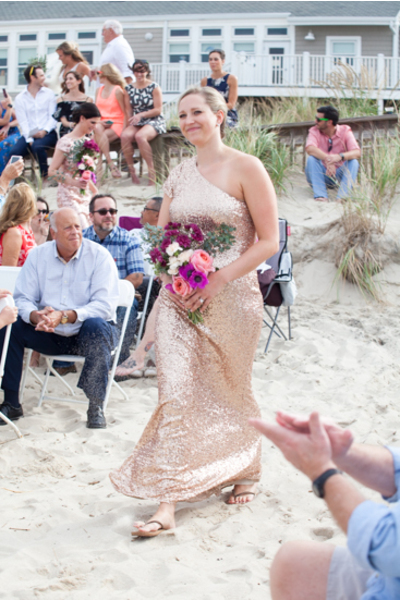 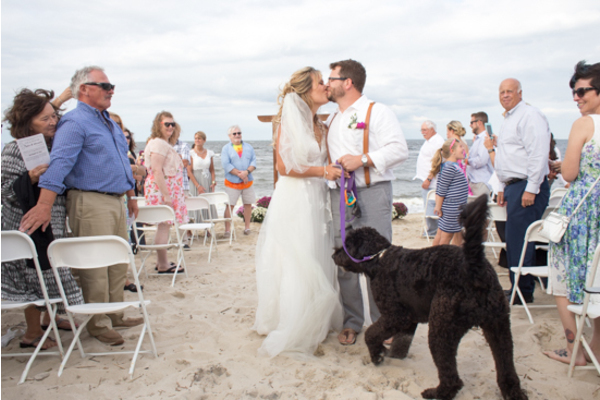 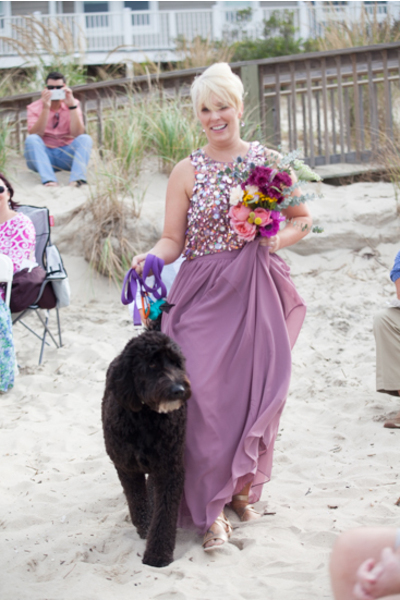 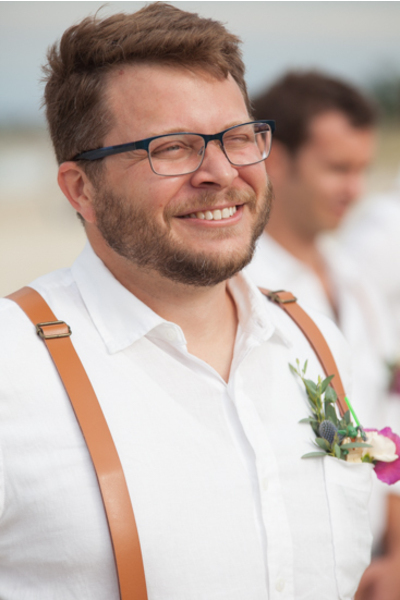 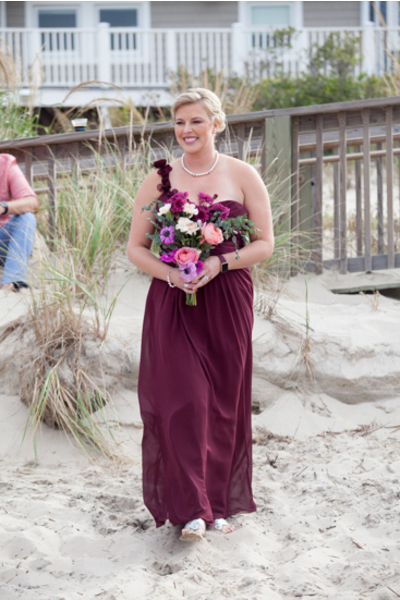 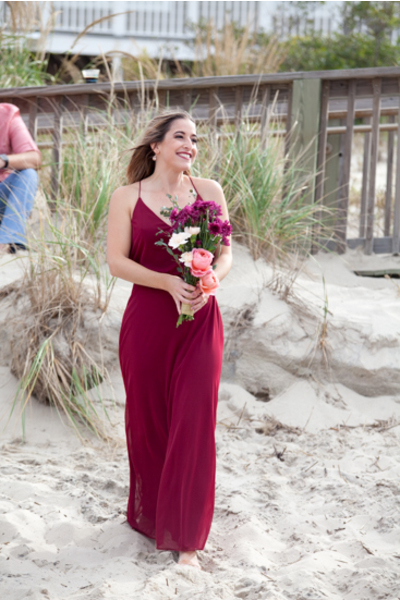 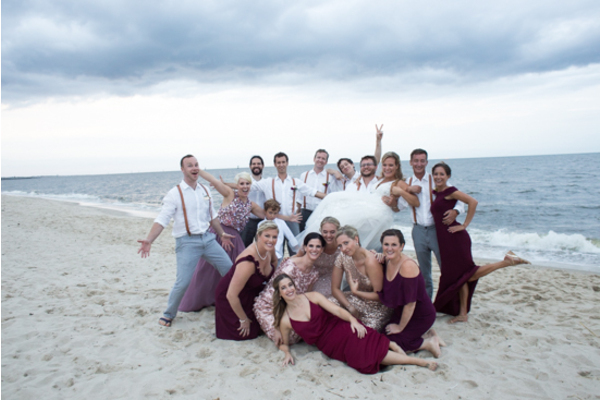 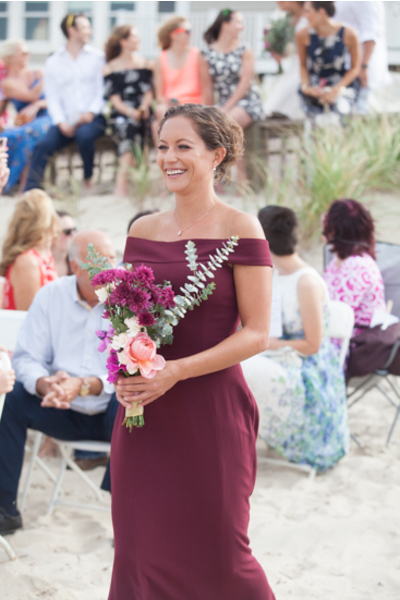 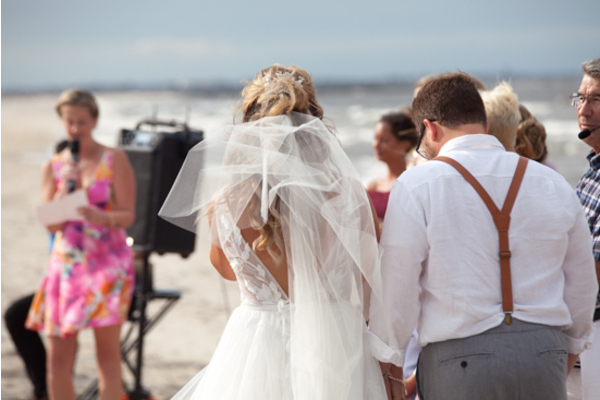 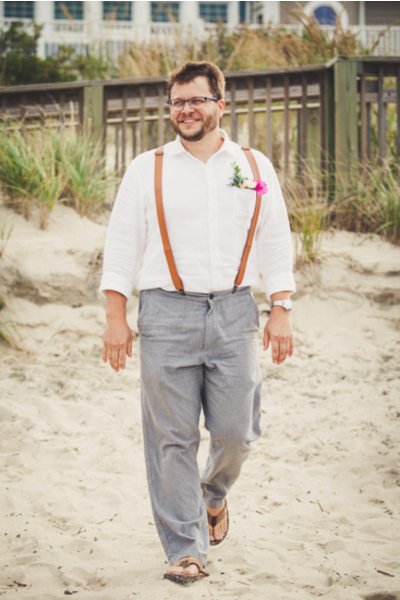 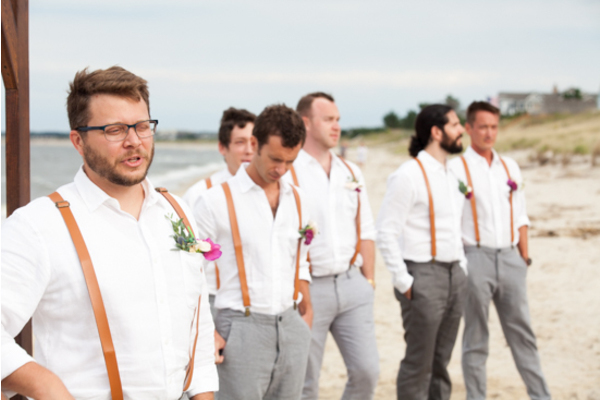 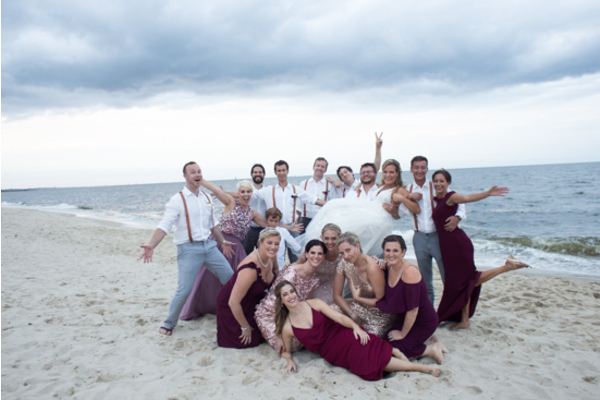 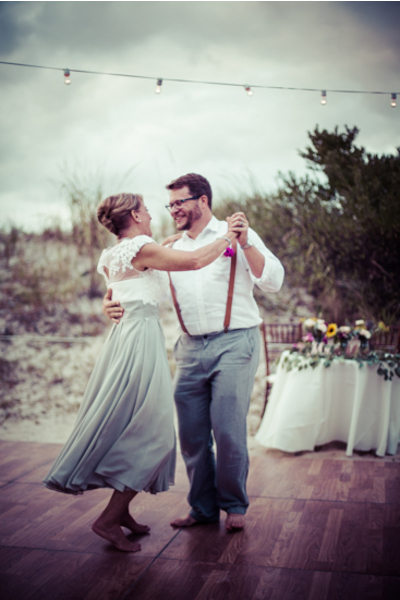 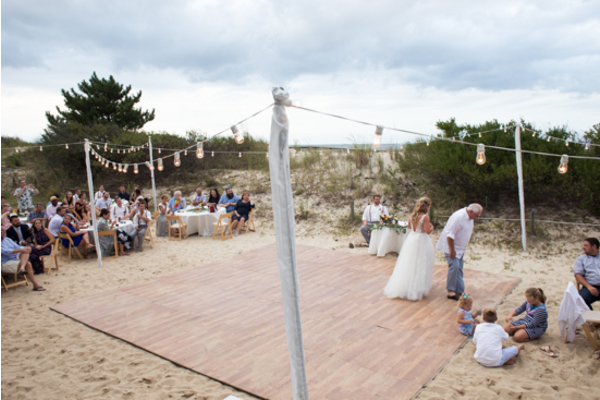 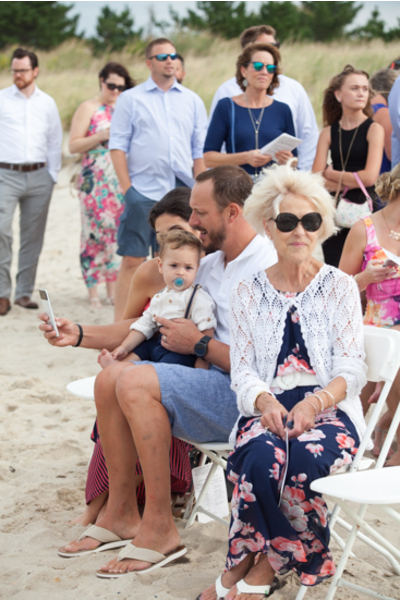 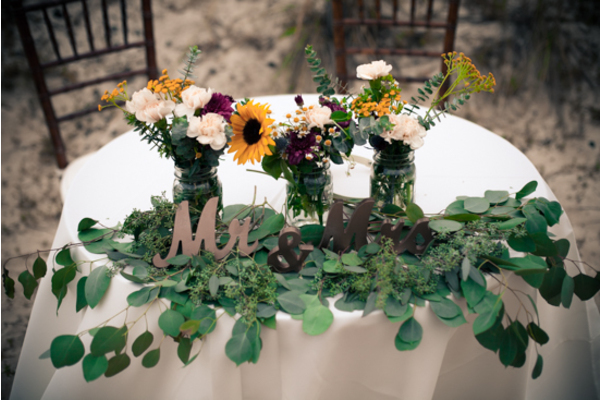 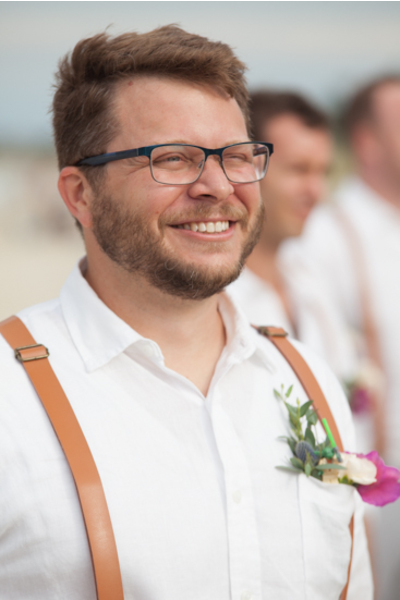 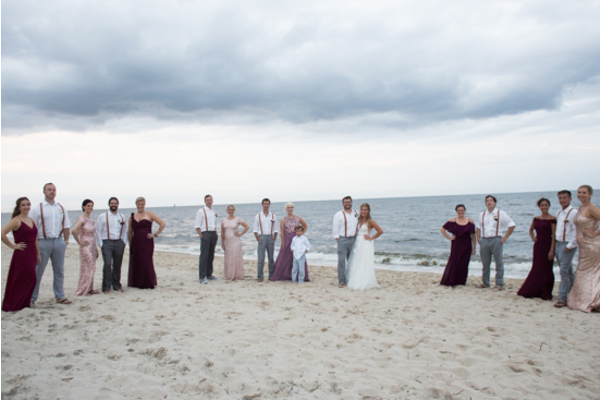 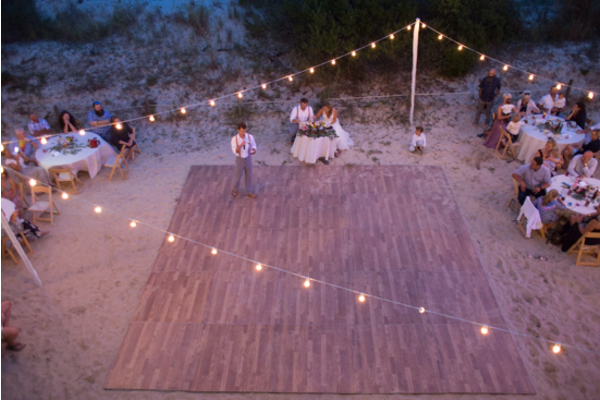 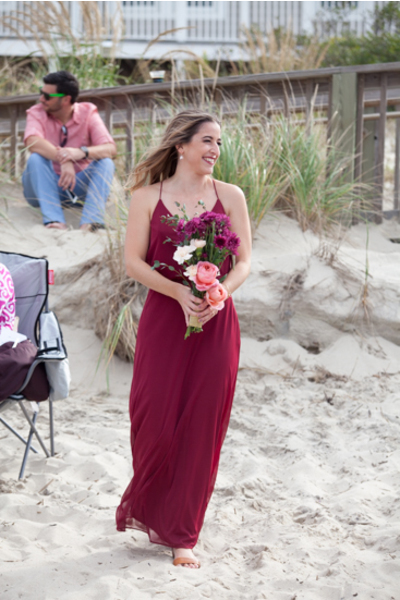 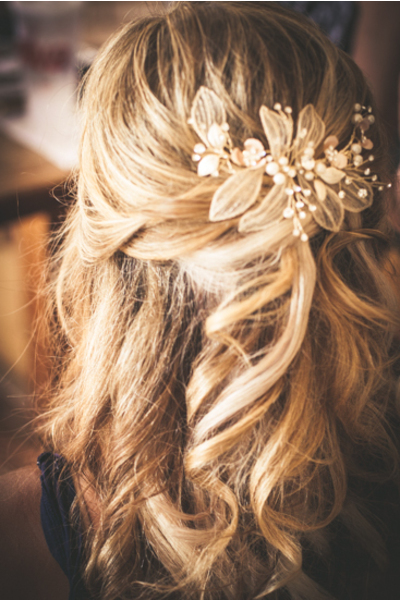 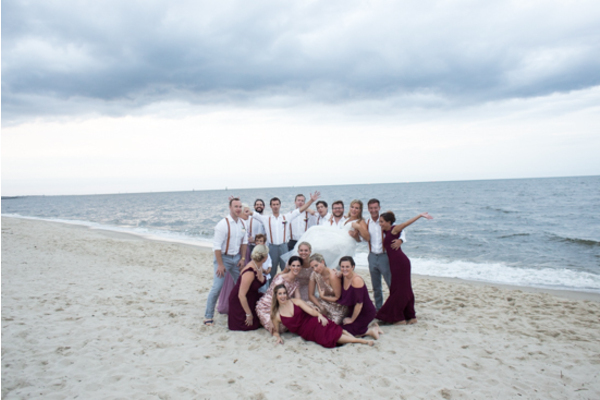 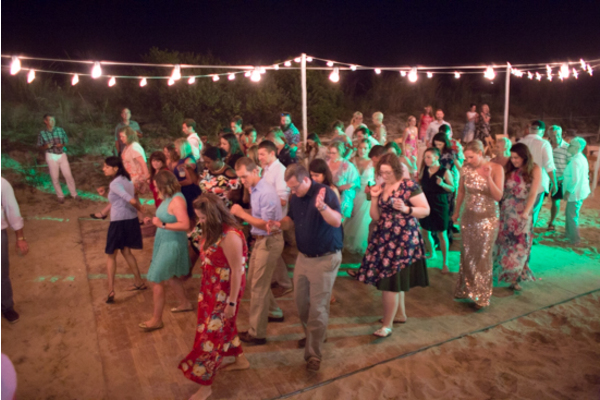 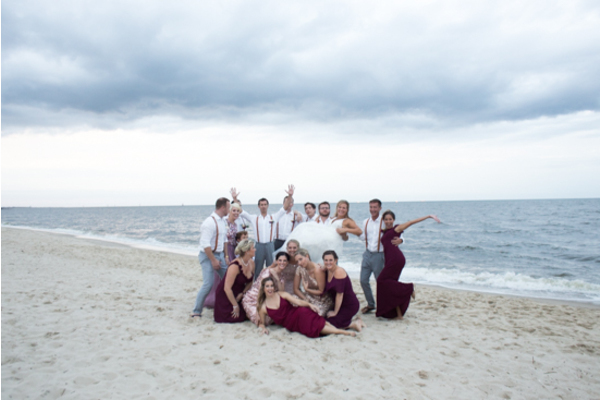 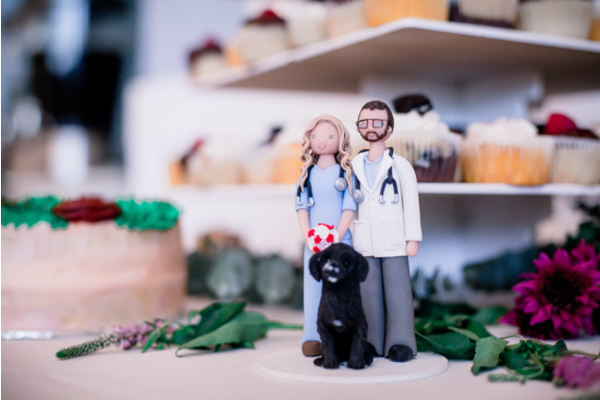 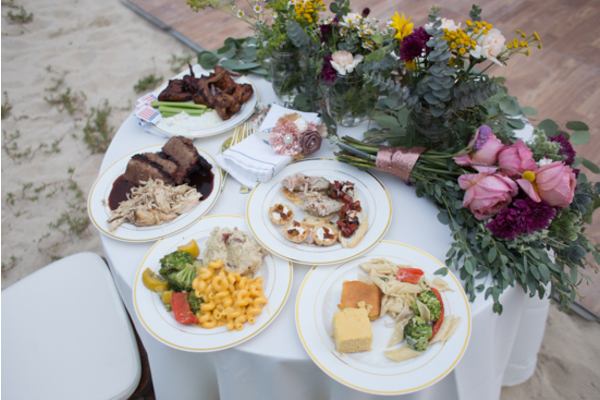 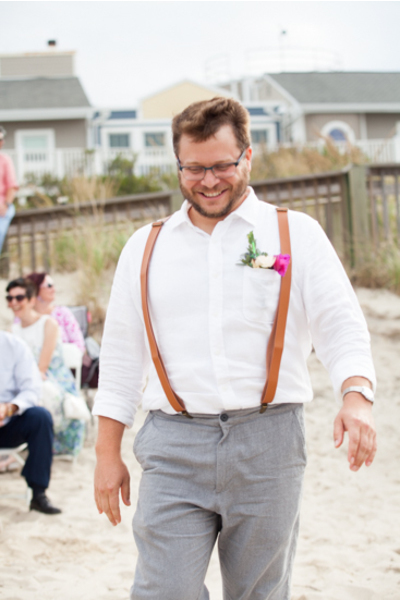 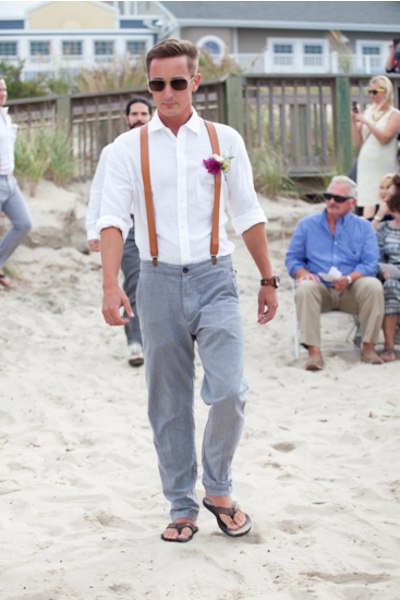 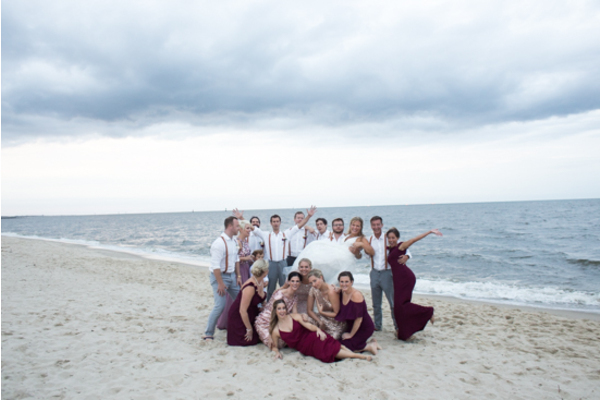 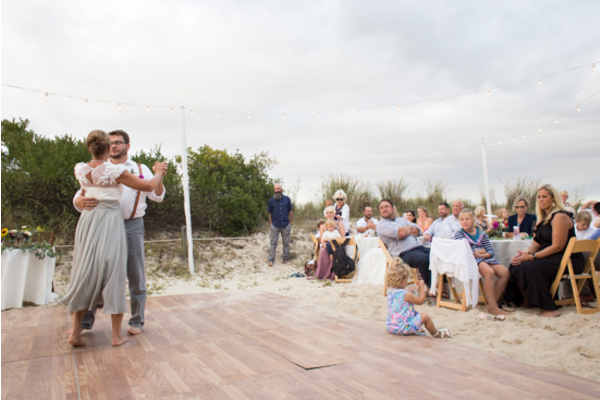 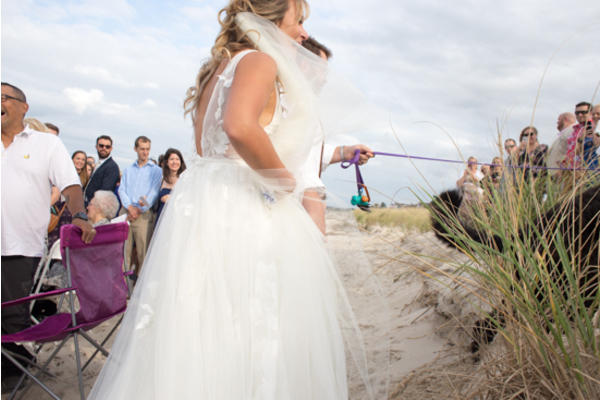 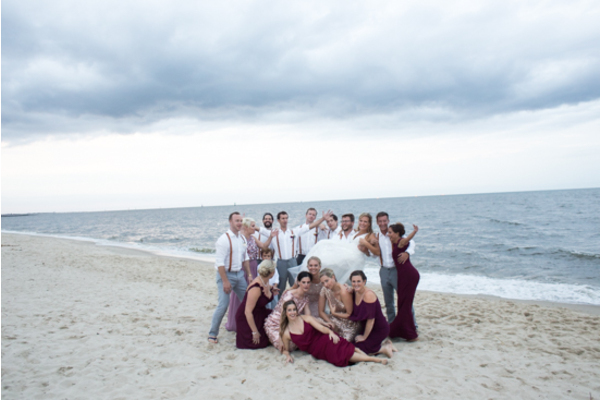 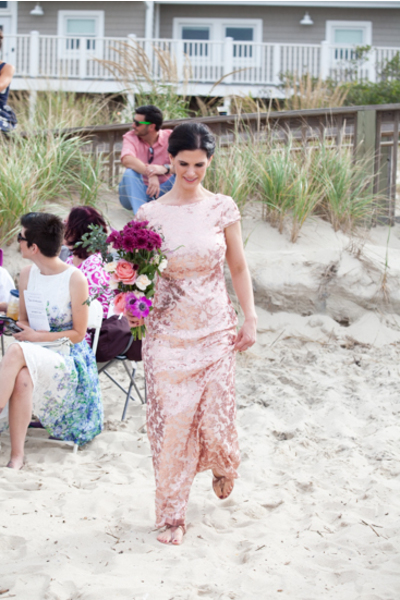 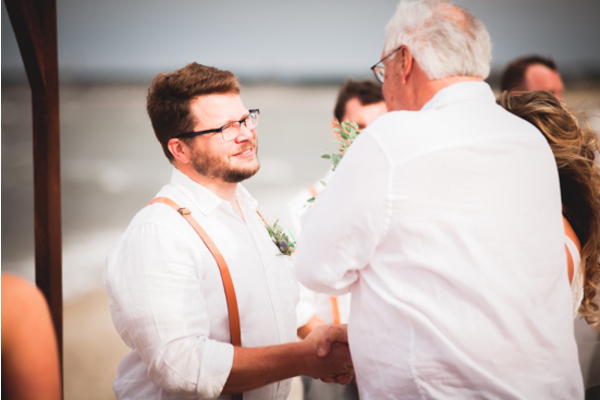 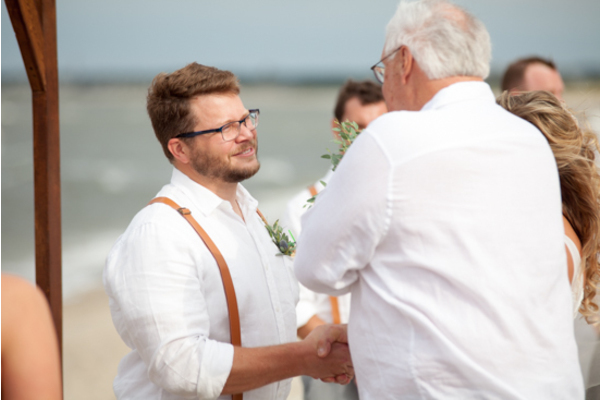 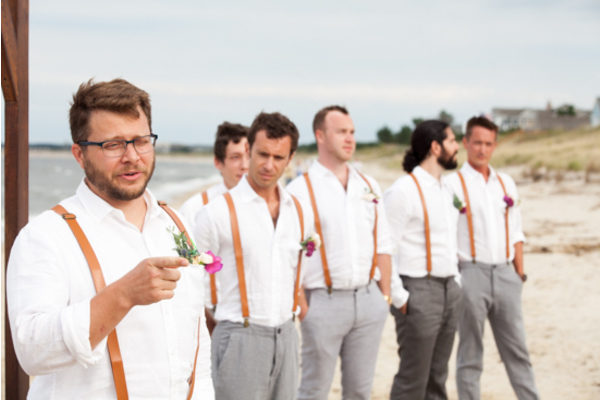 We are so happy to have been apart of this beautiful beach wedding! 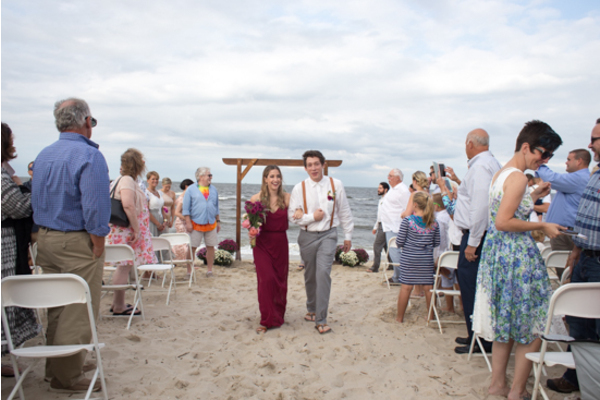 Congratulations, again to Amanda and Tyler! 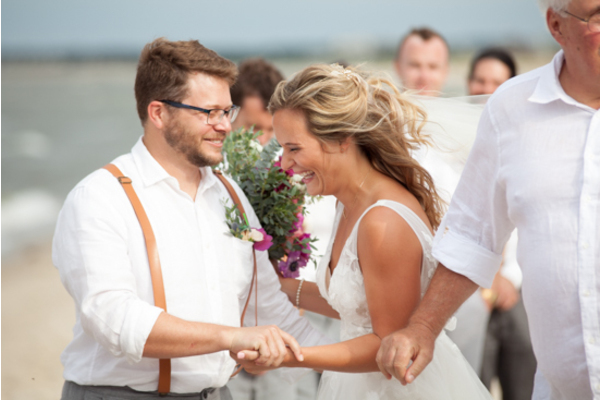 We wish you the best on the start of your lives together!